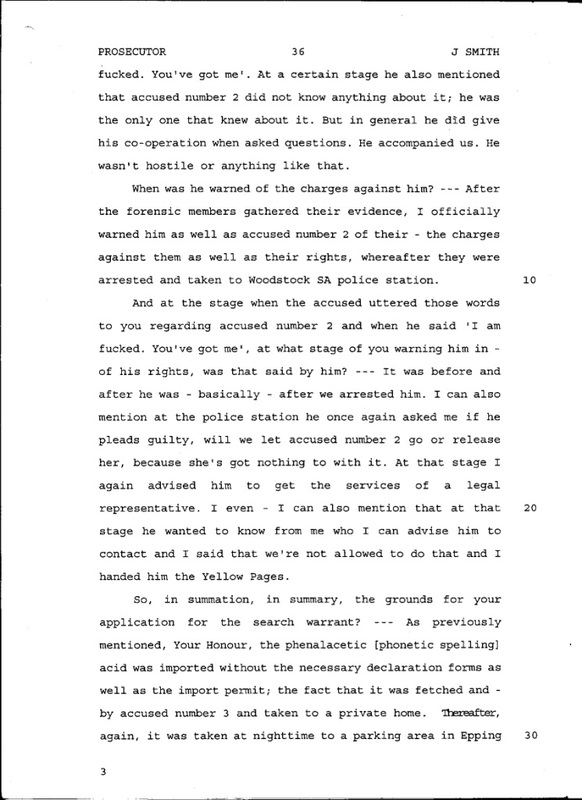 The state arrested me once but tried me three times. 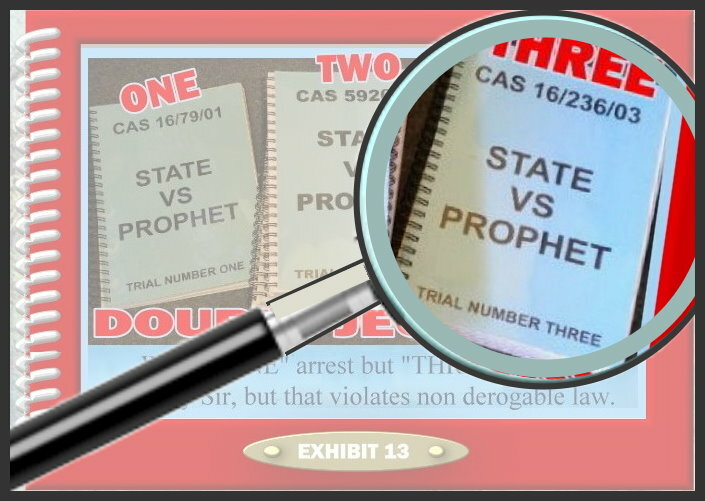 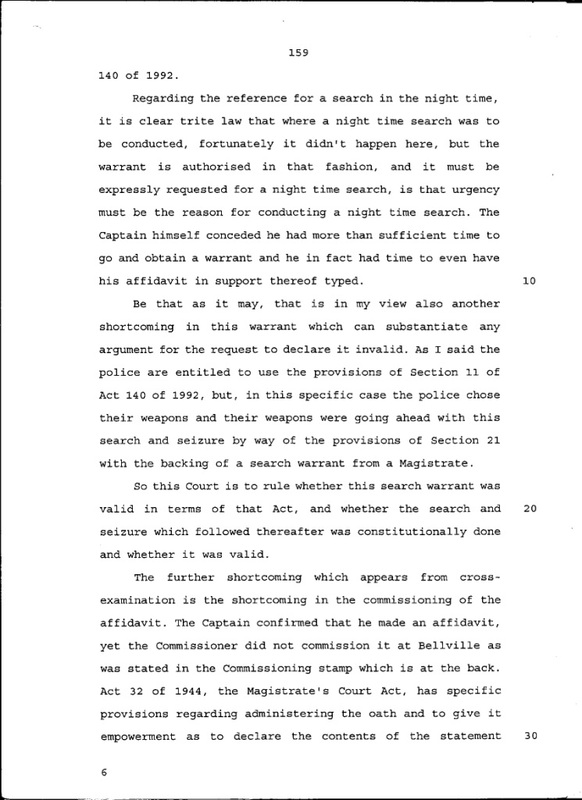 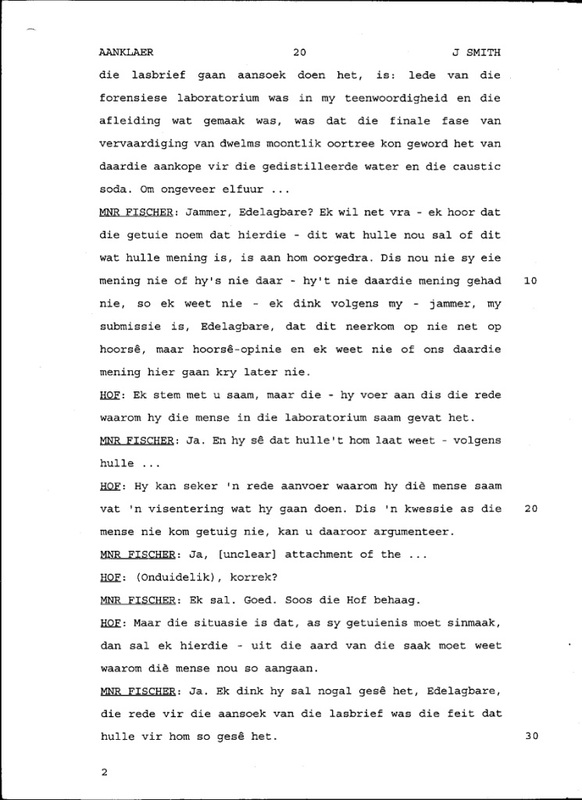 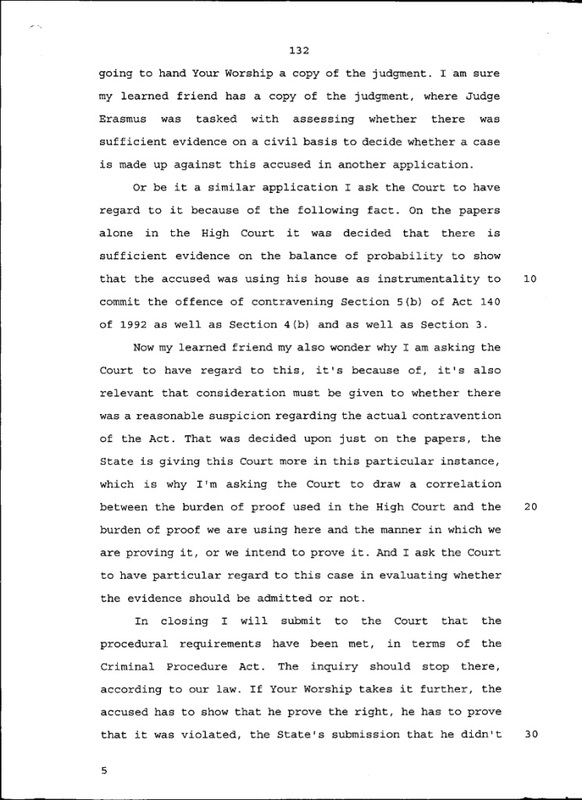 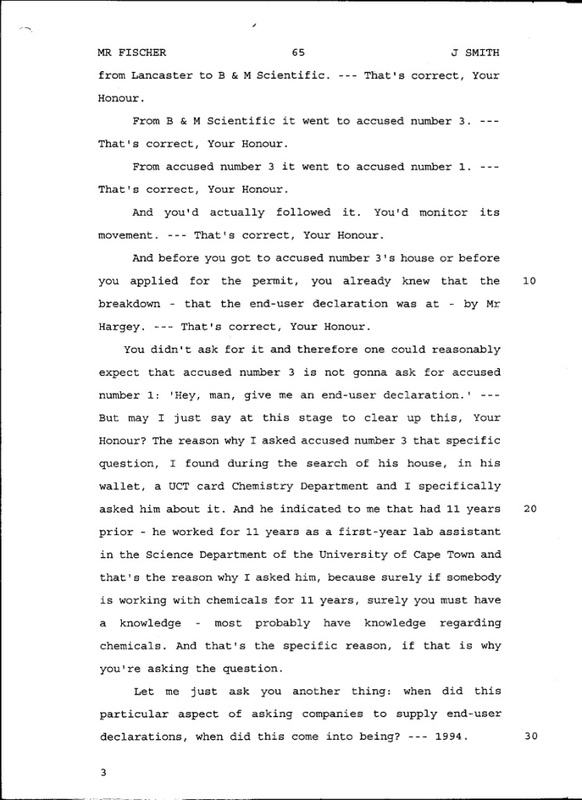 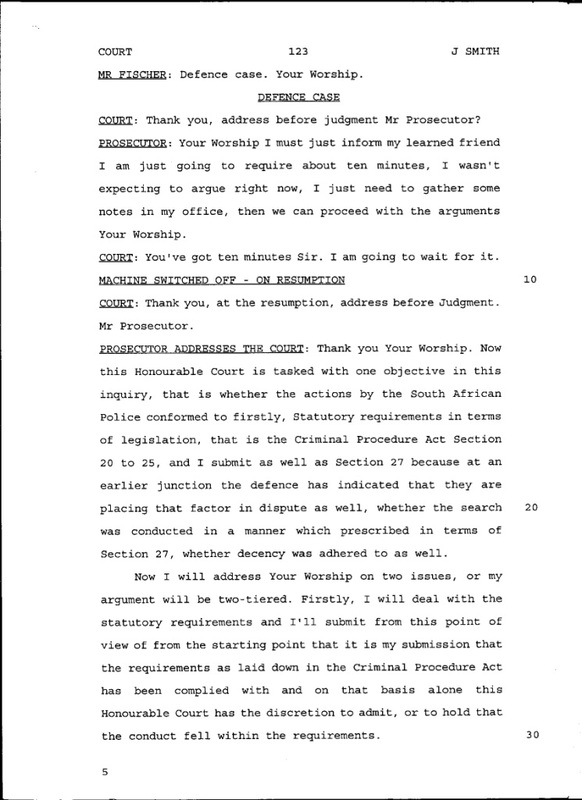 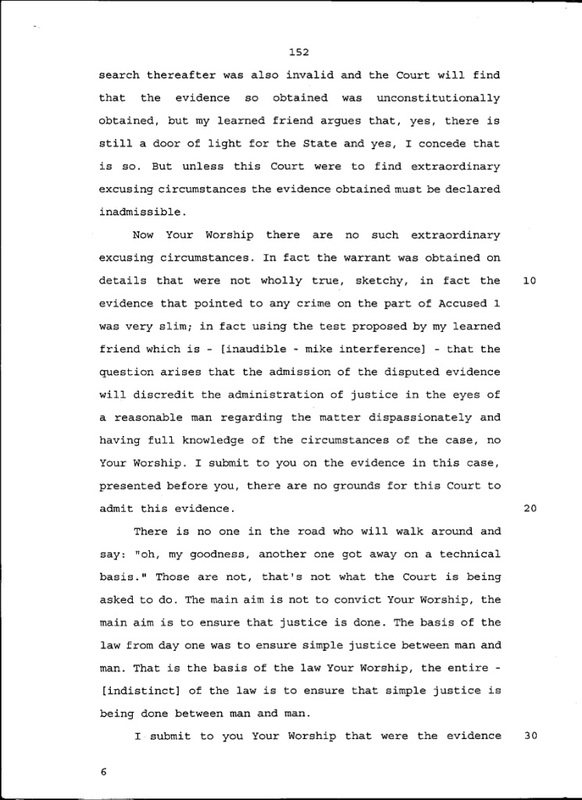 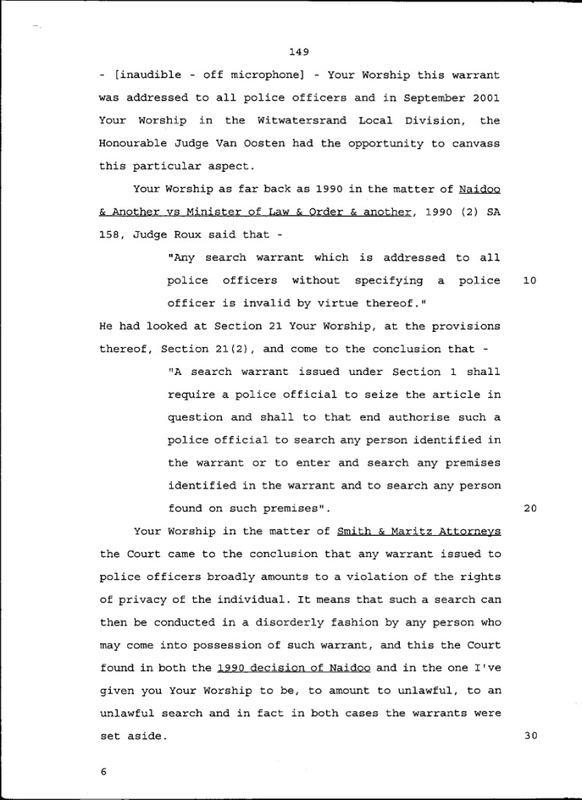 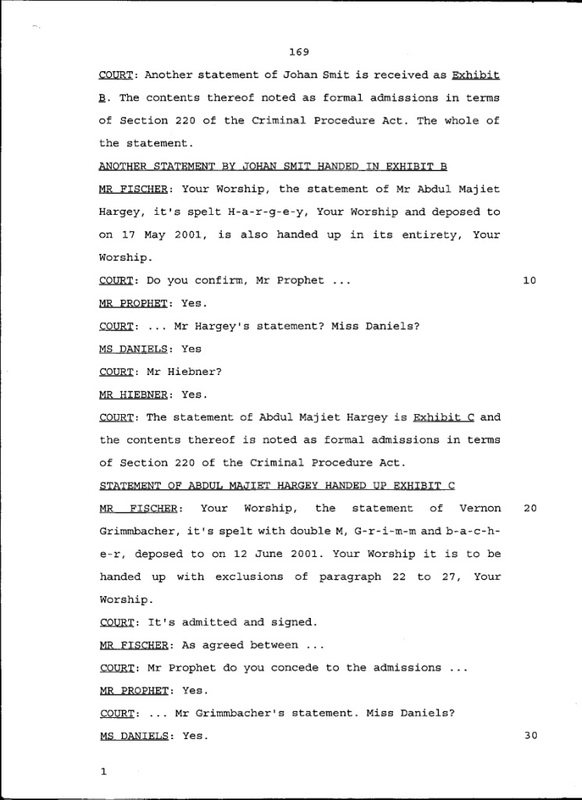 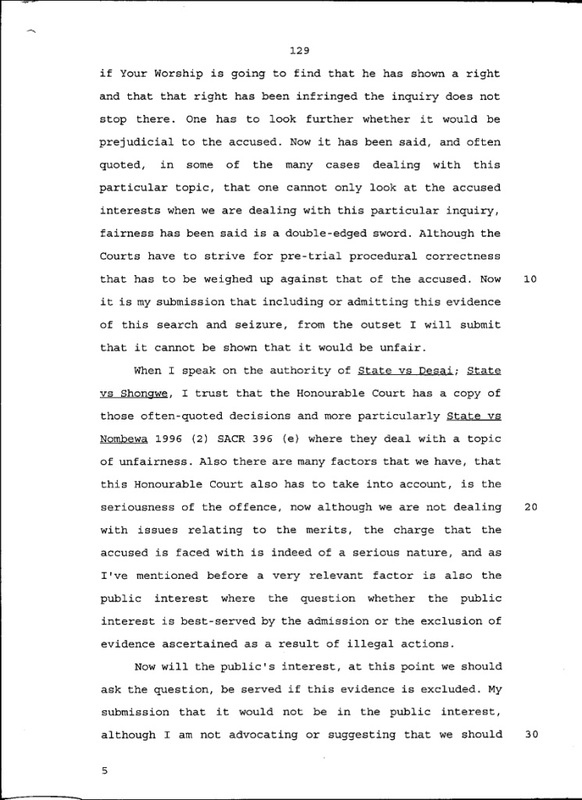 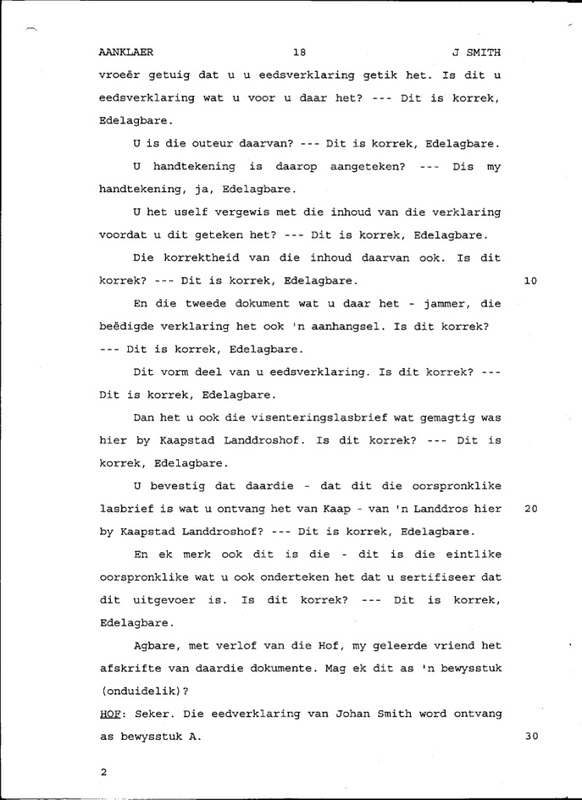 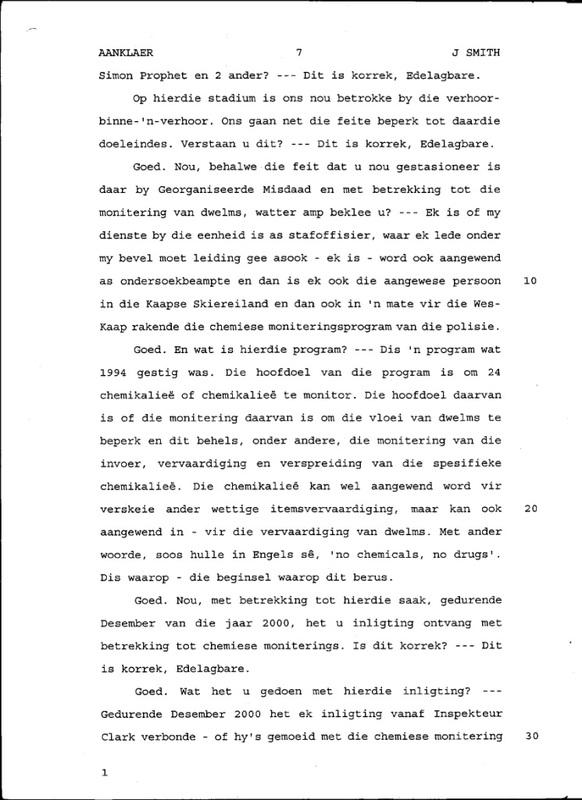 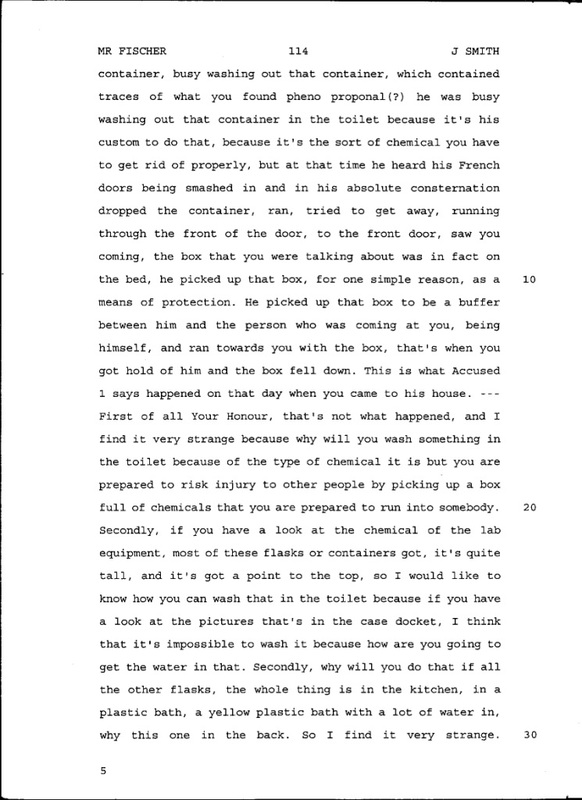 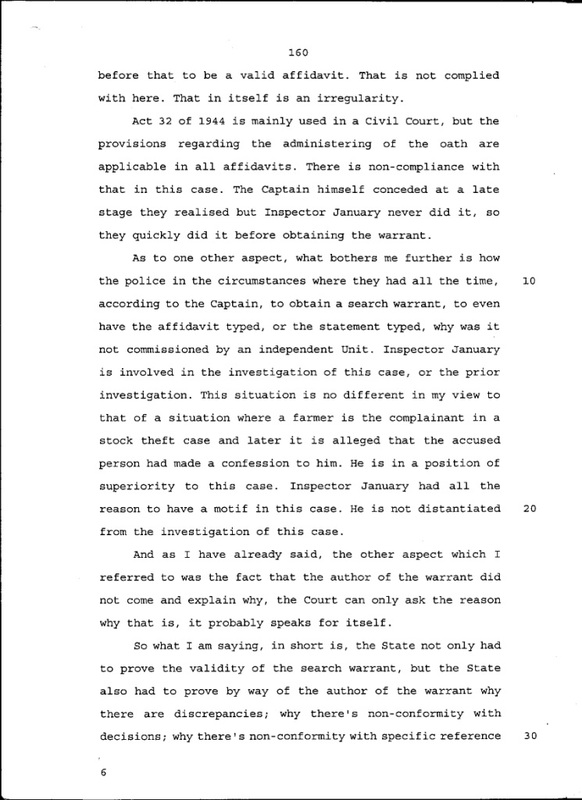 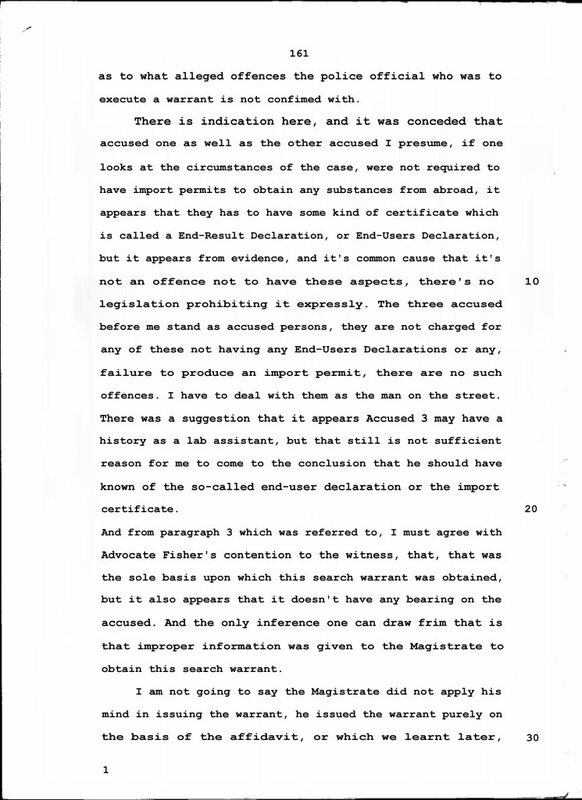 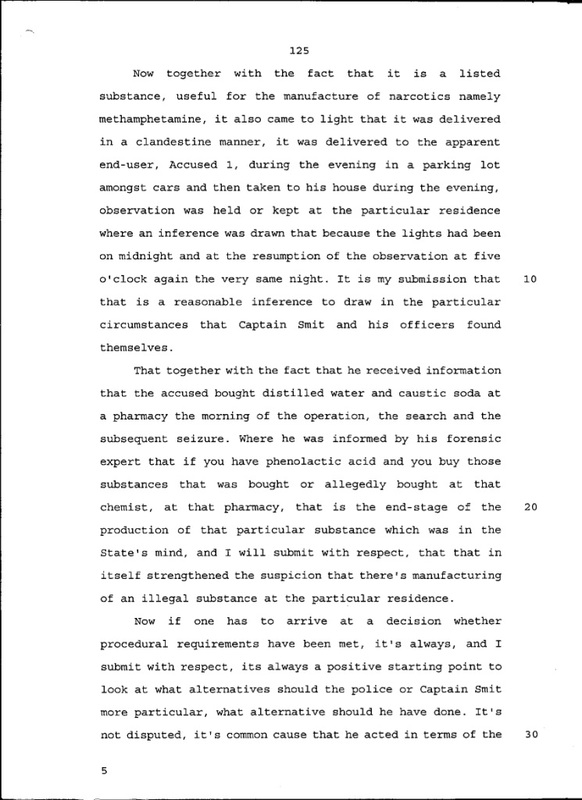 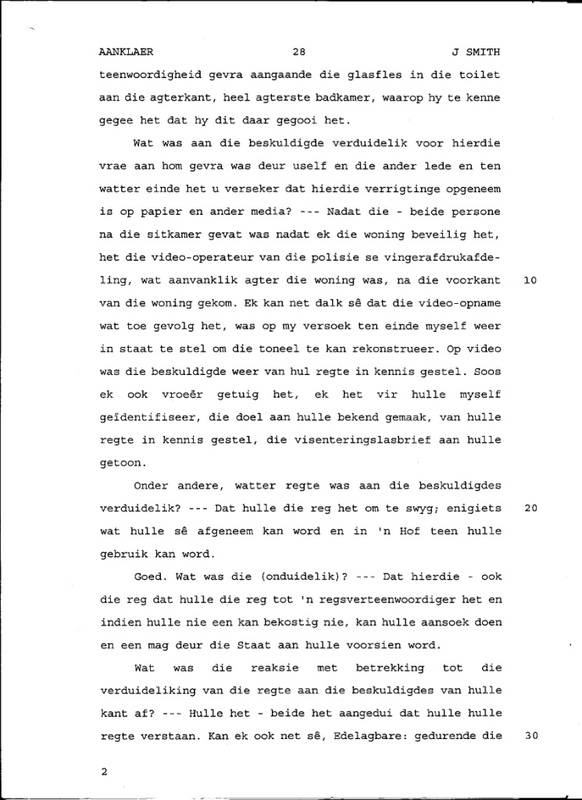 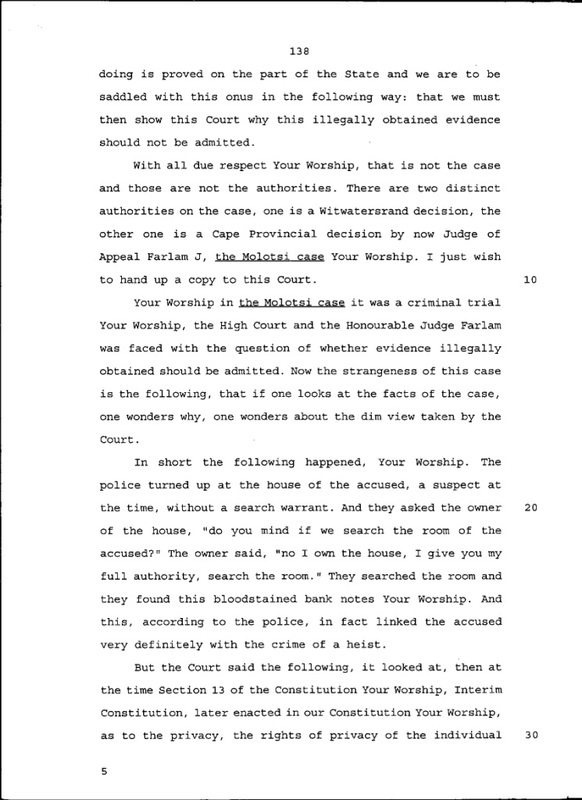 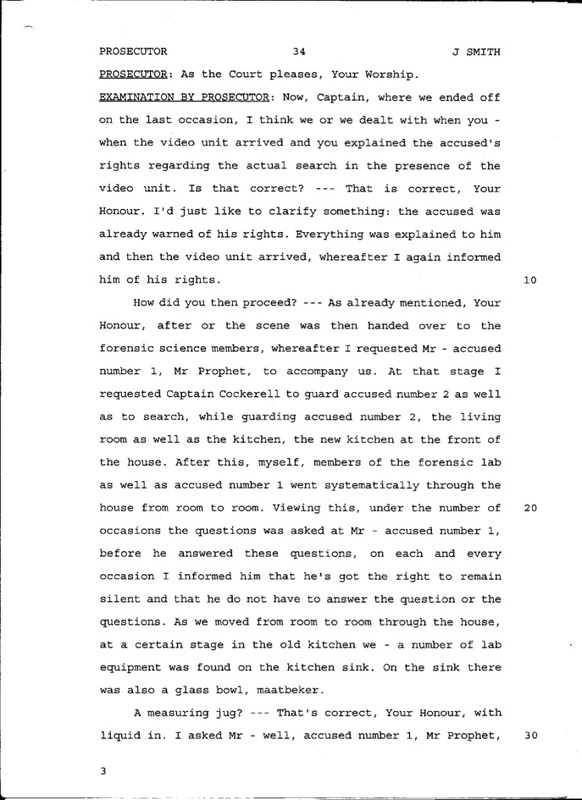 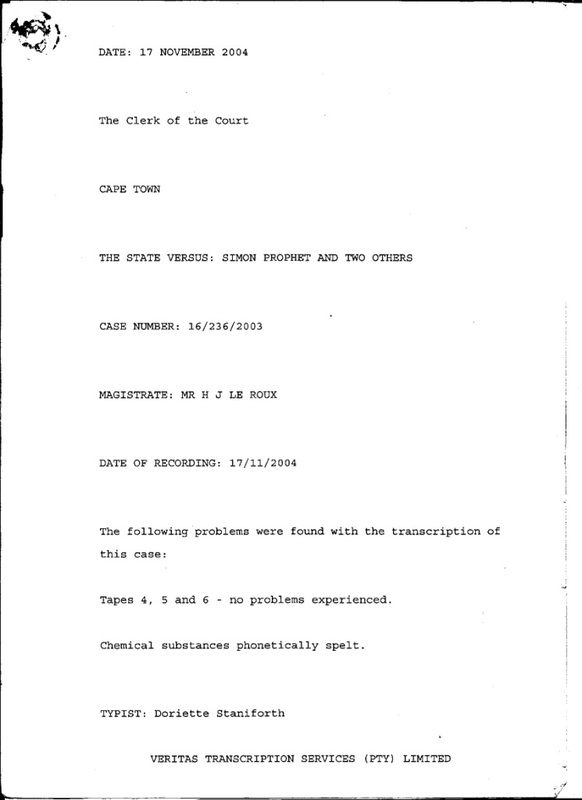 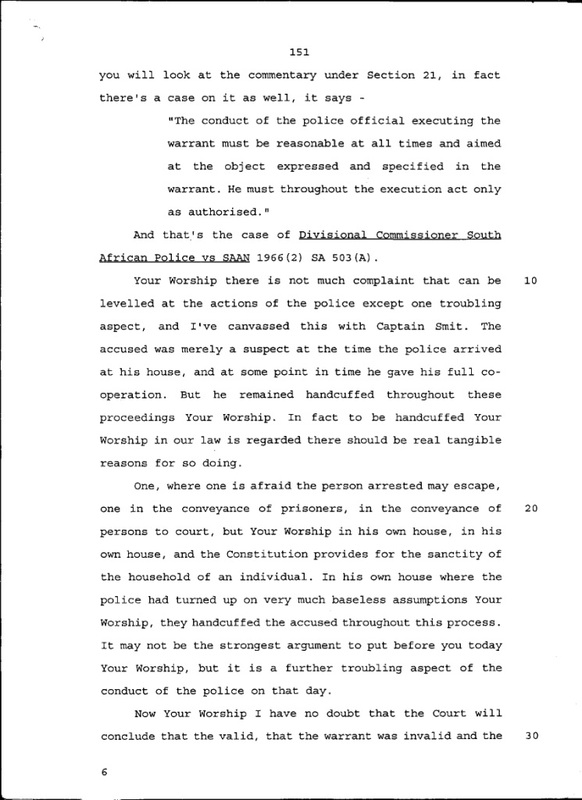 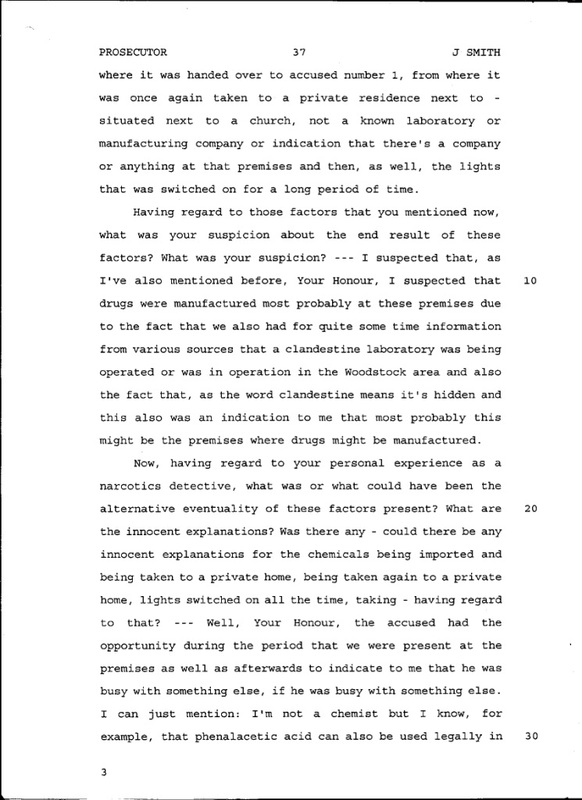 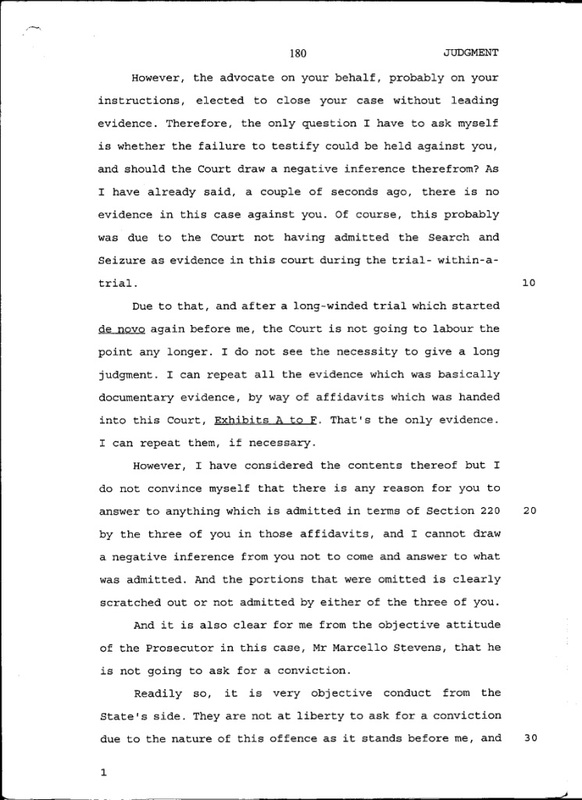 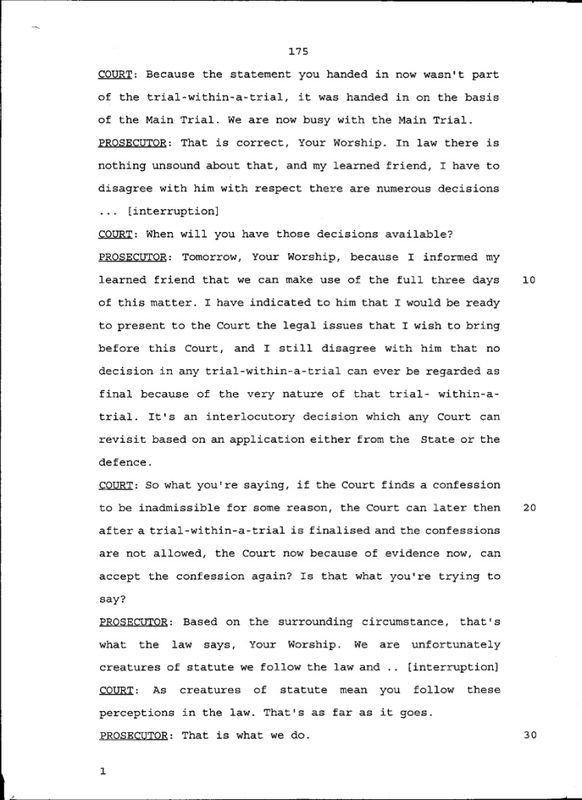 What follows below are the transcripts from the third trial which was the second criminal trial. 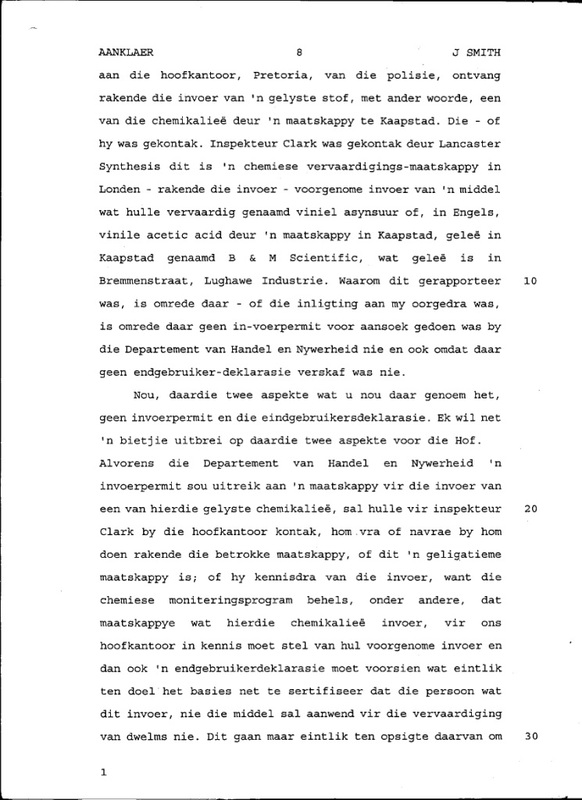 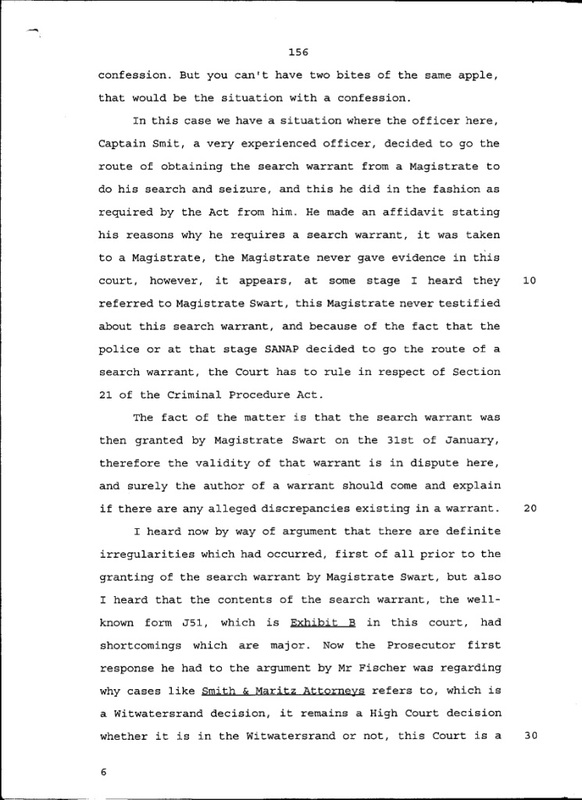 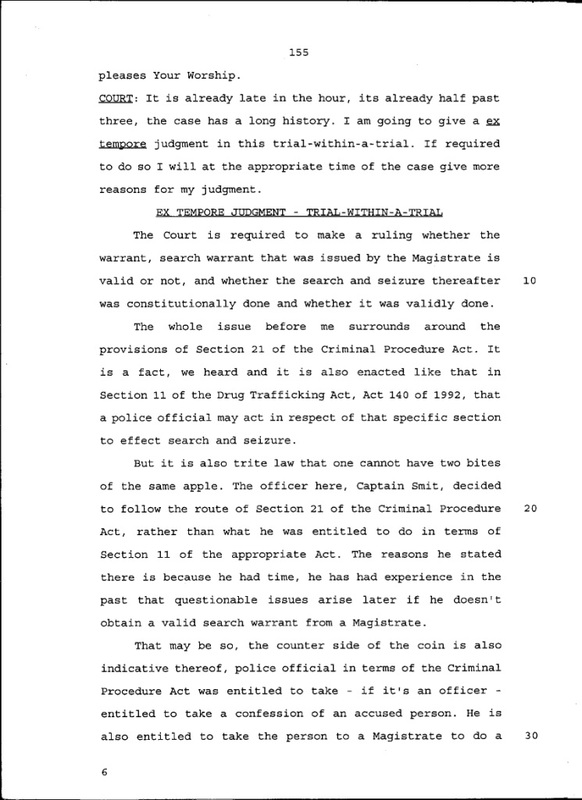 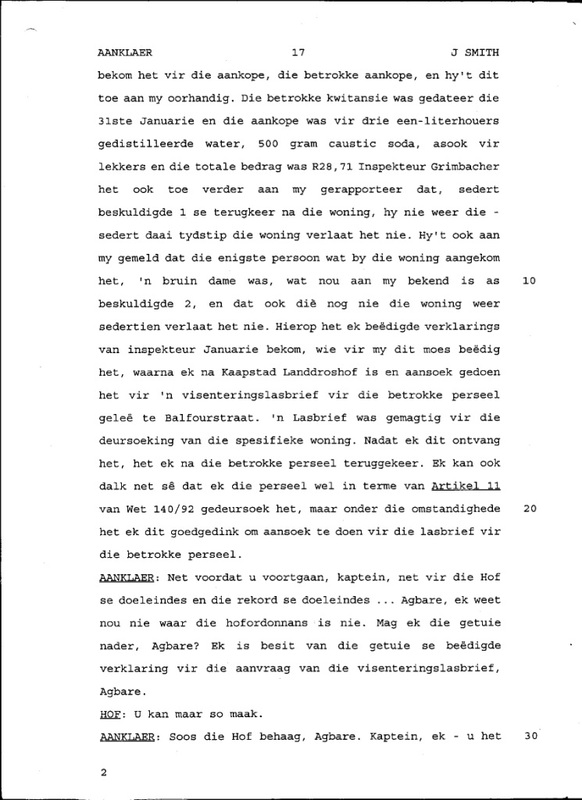 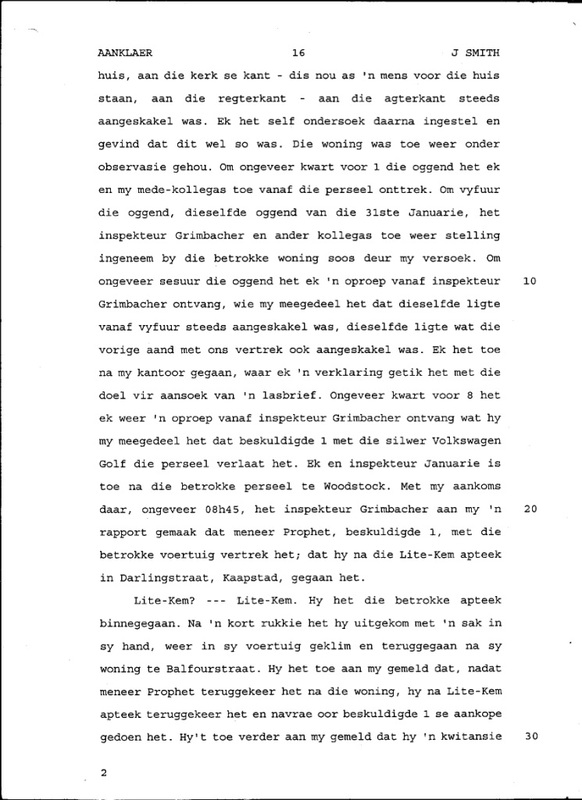 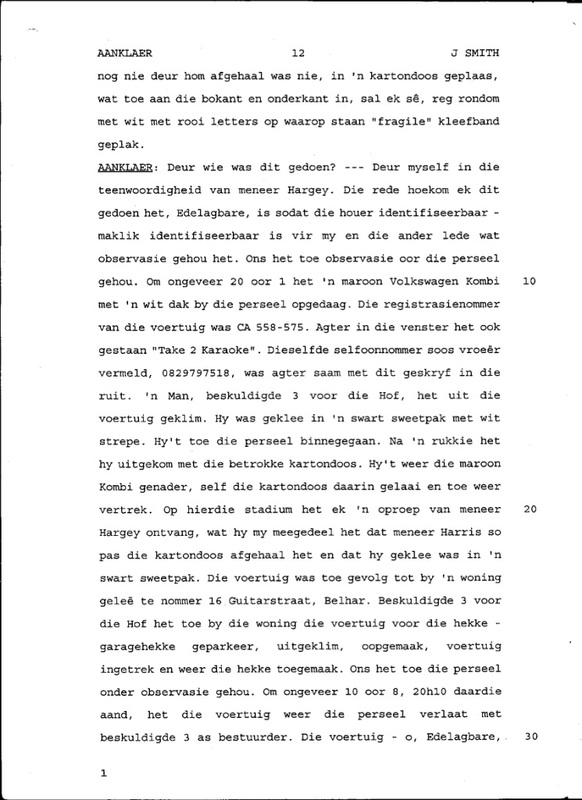 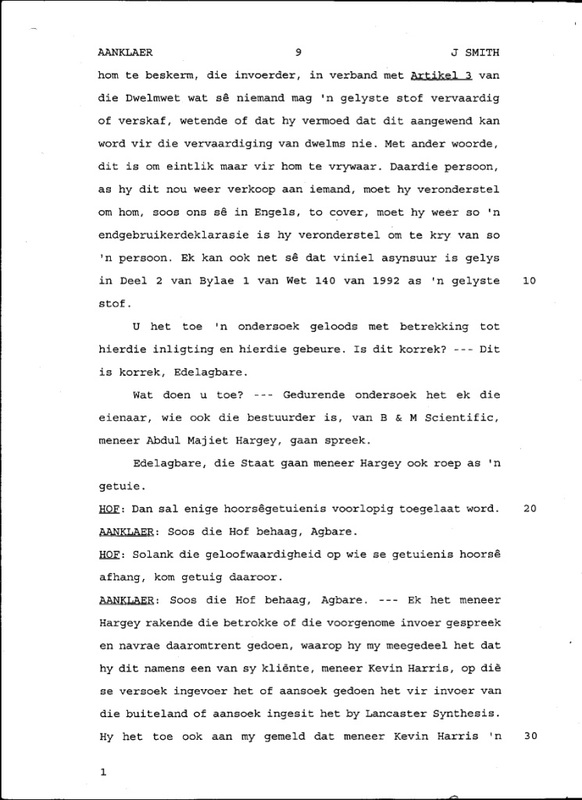 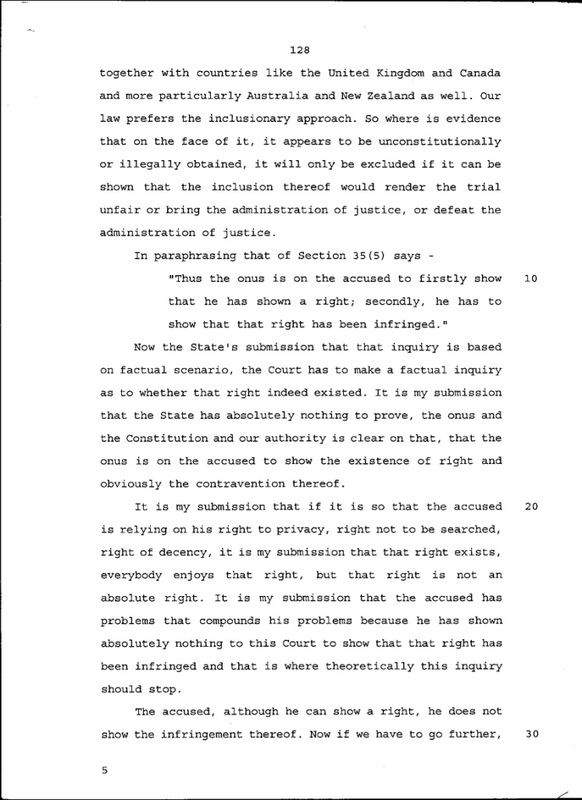 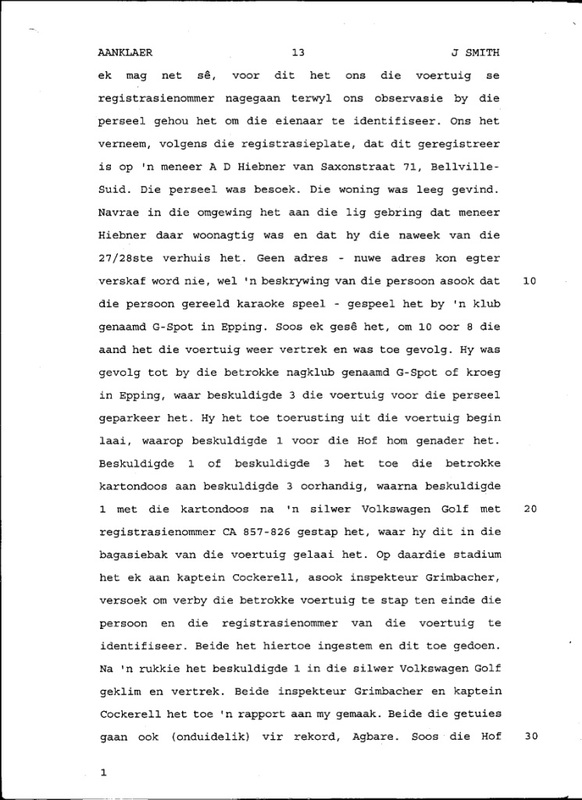 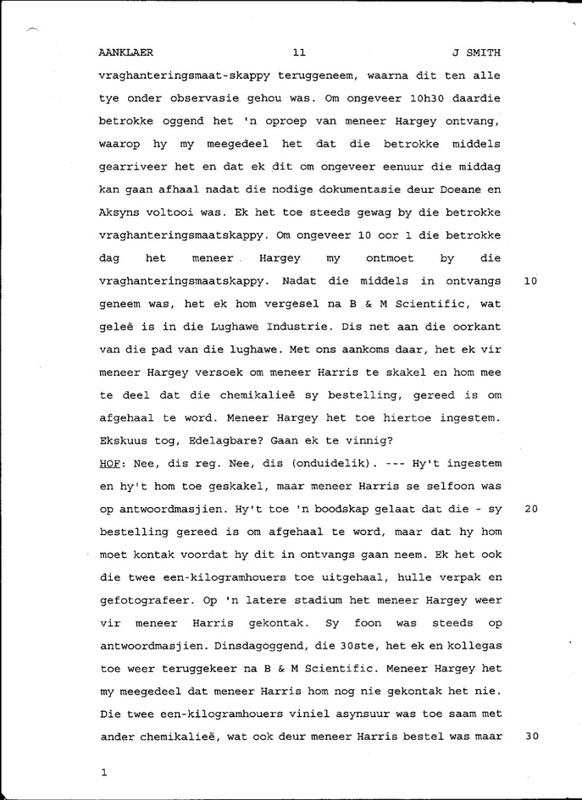 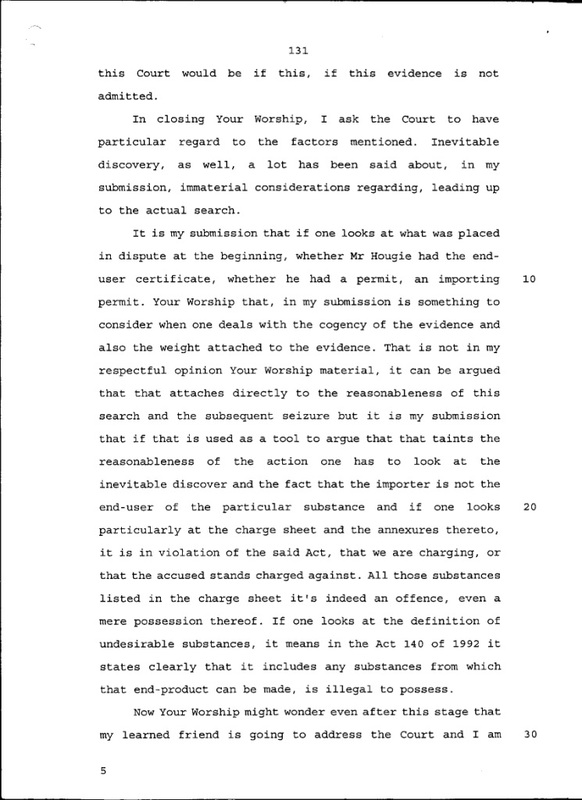 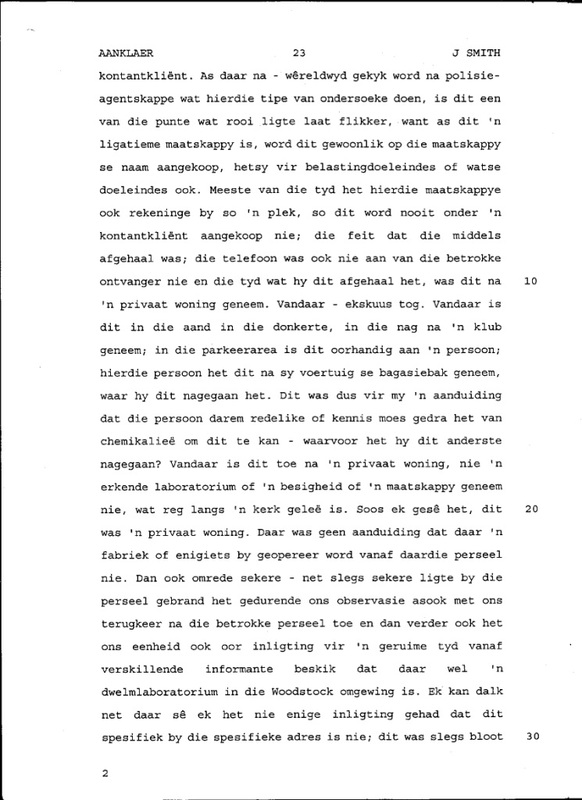 The Constitutional Court rejected these transcripts of the second criminal trial and I was not allowed to submit these documents in my appeal against the forfeiture of my home because according to the Constitutional Court I should have submitted the documents into the previous forfeiture trials. 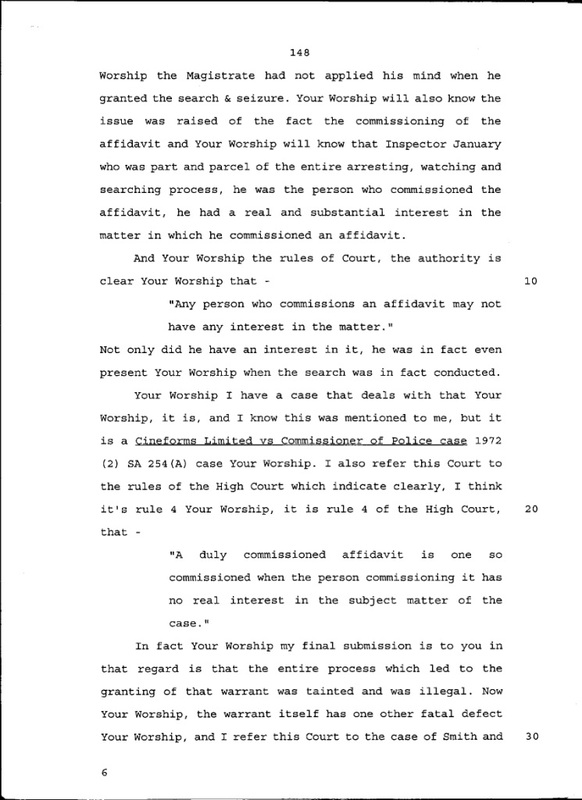 What rubbish coming from Constitutional Court judges. 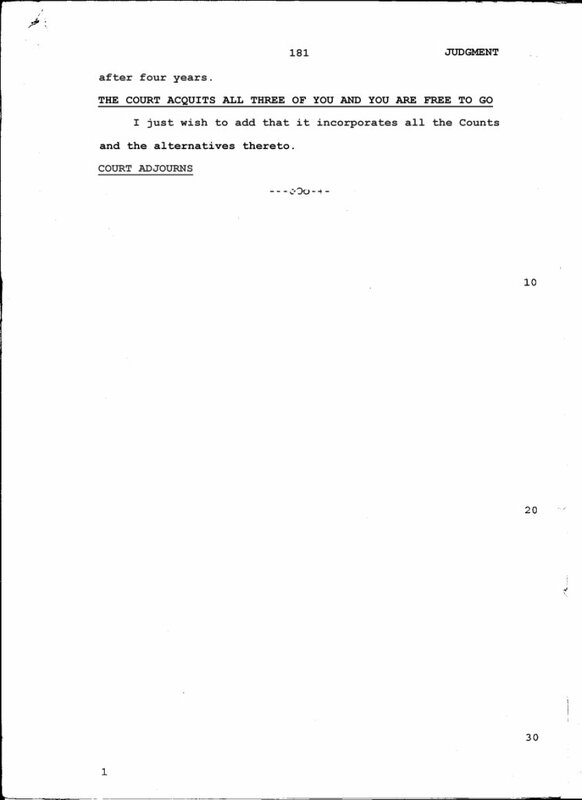 This was nothing but a dirty ploy for the civil courts to escape my innocent owner status. 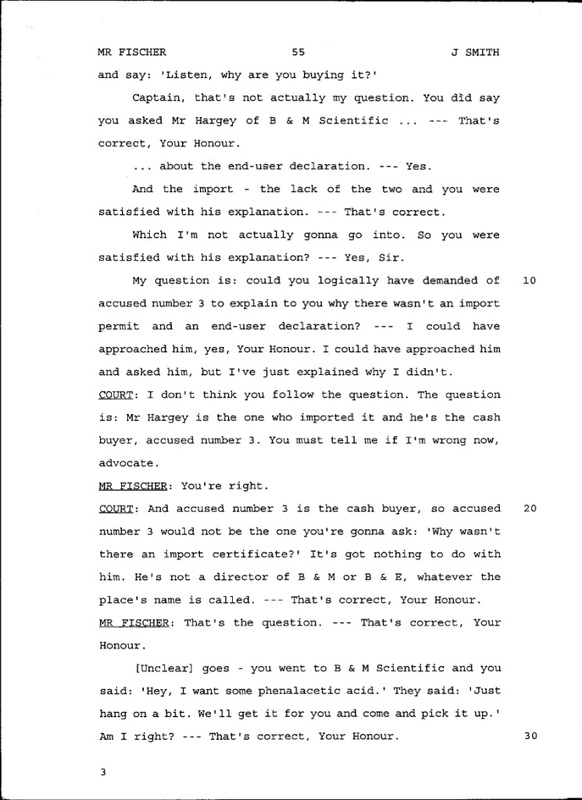 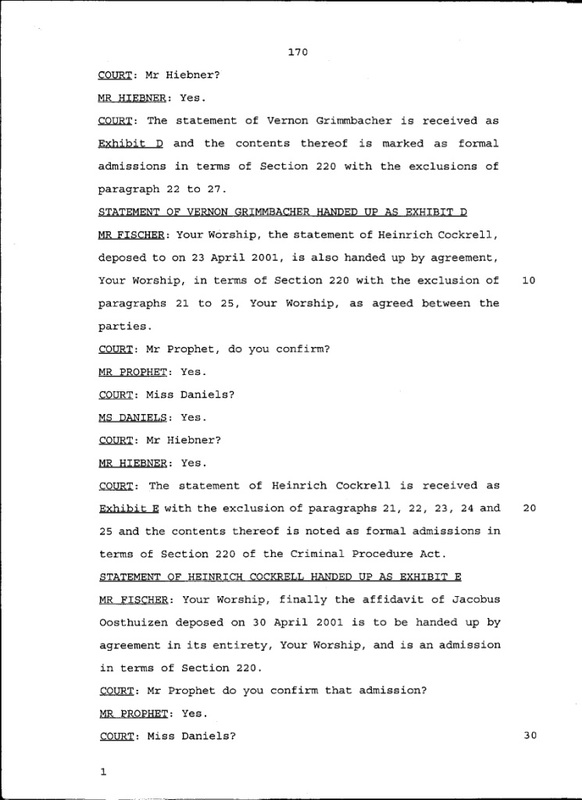 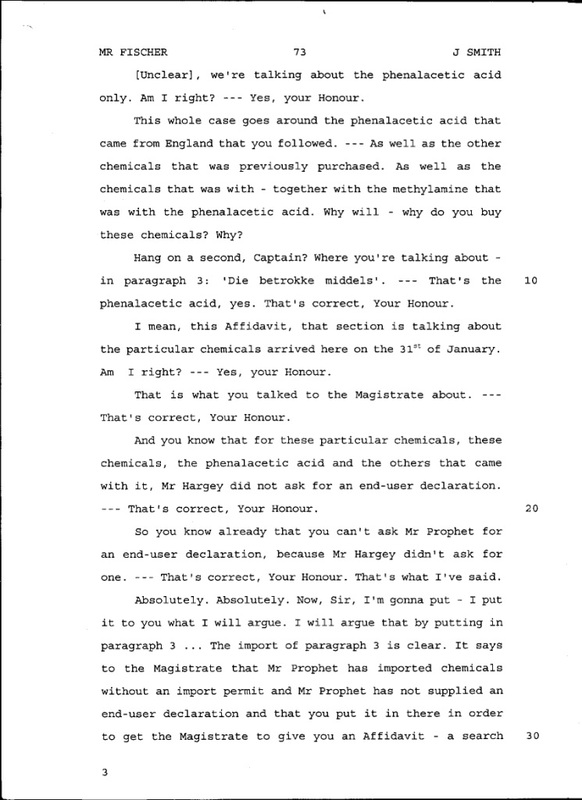 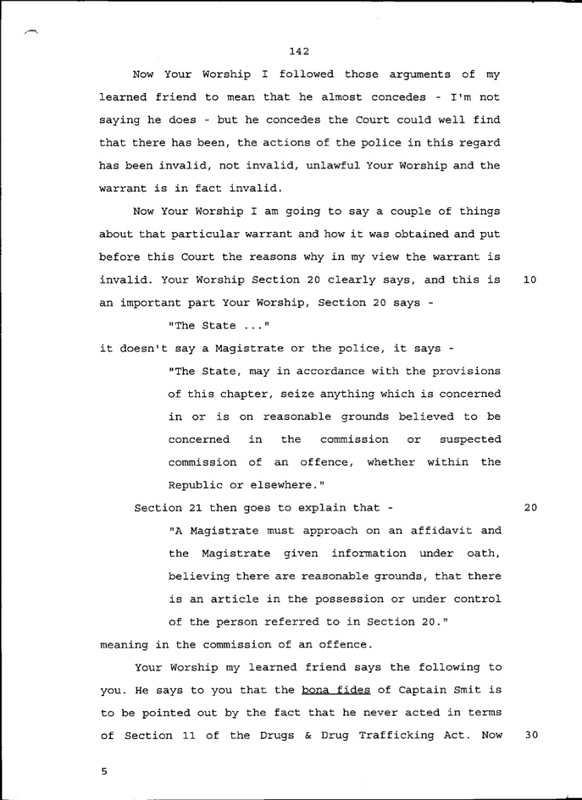 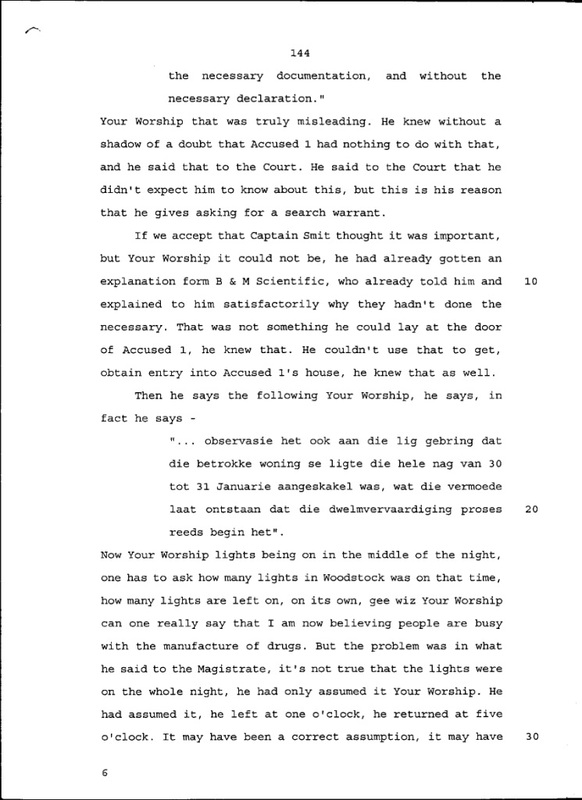 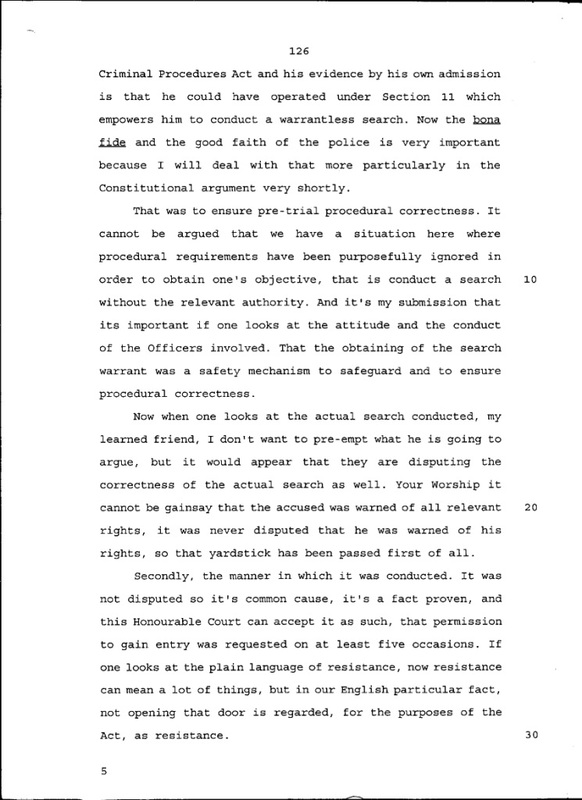 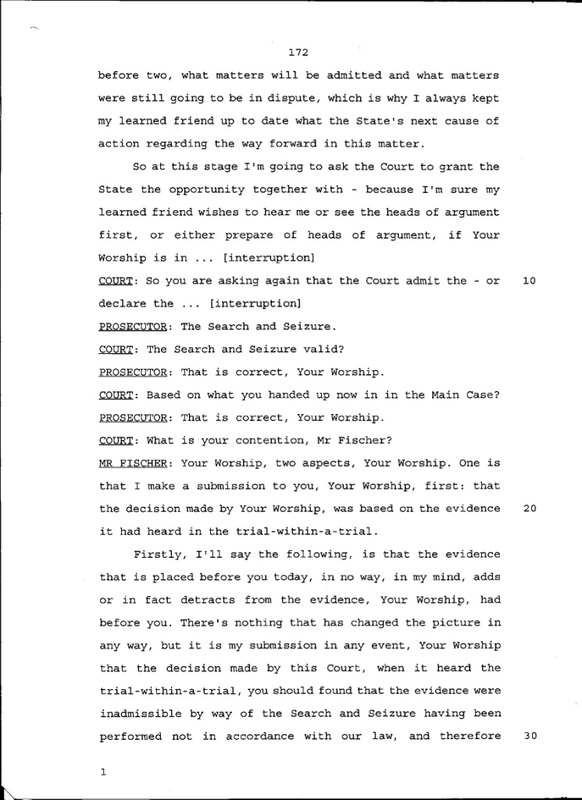 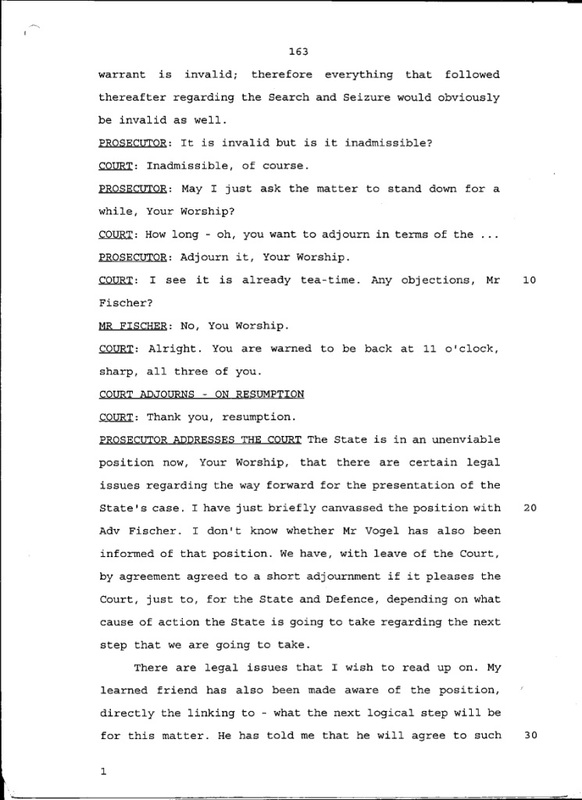 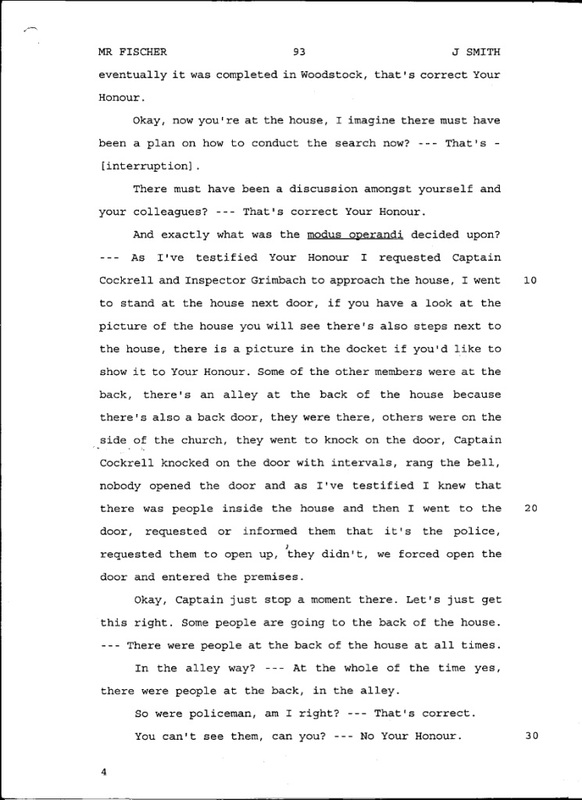 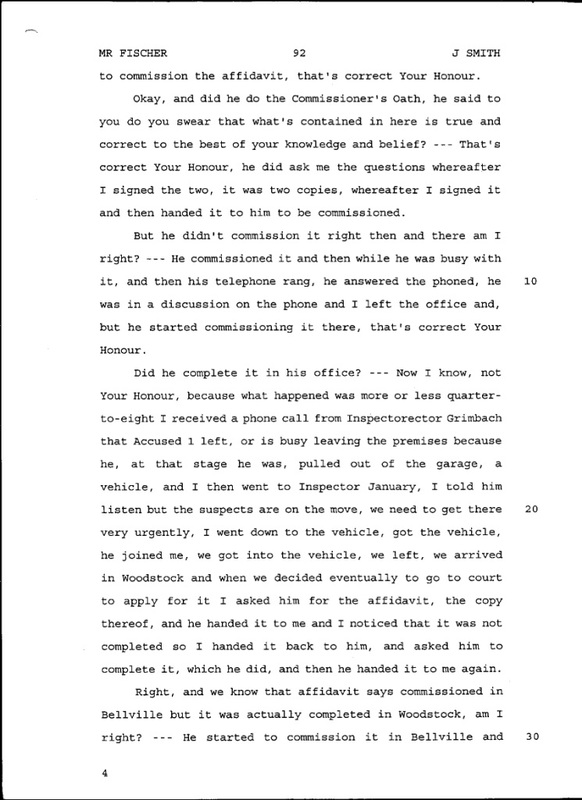 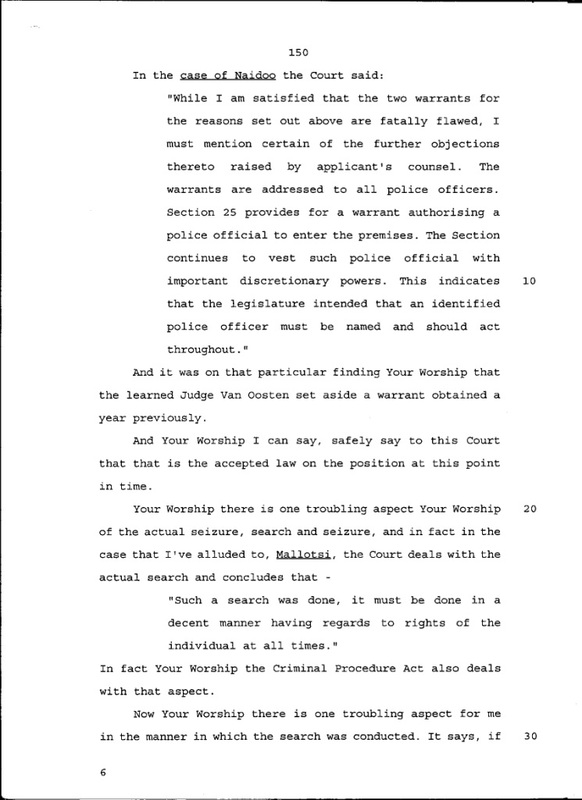 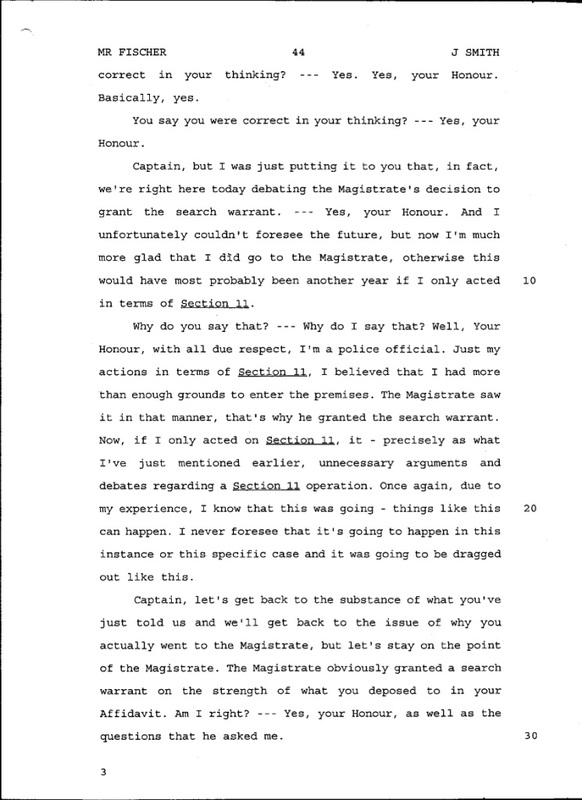 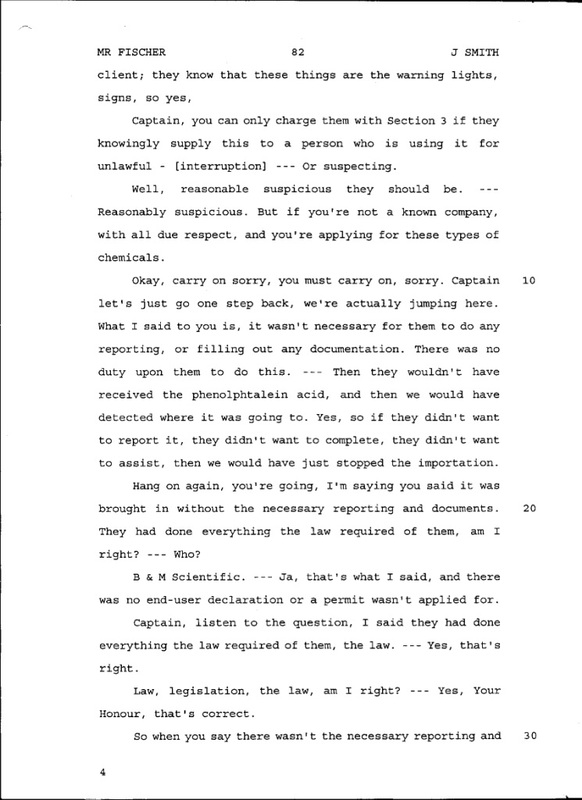 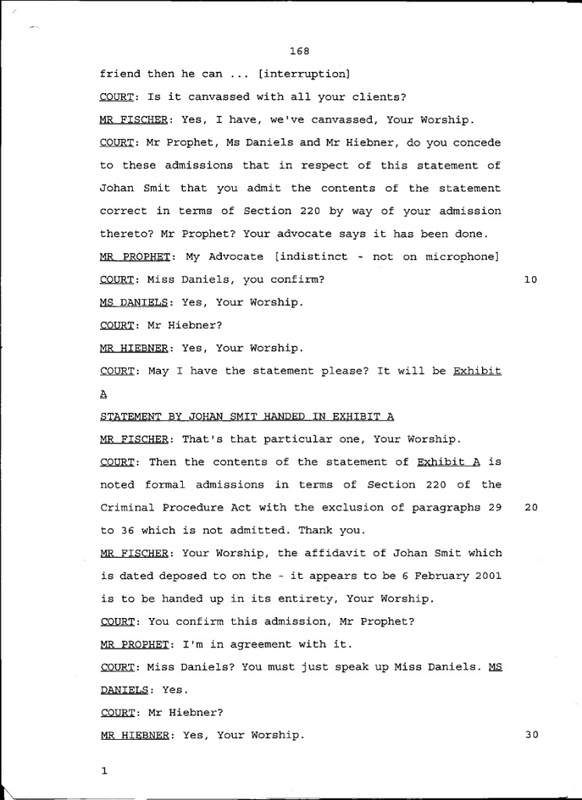 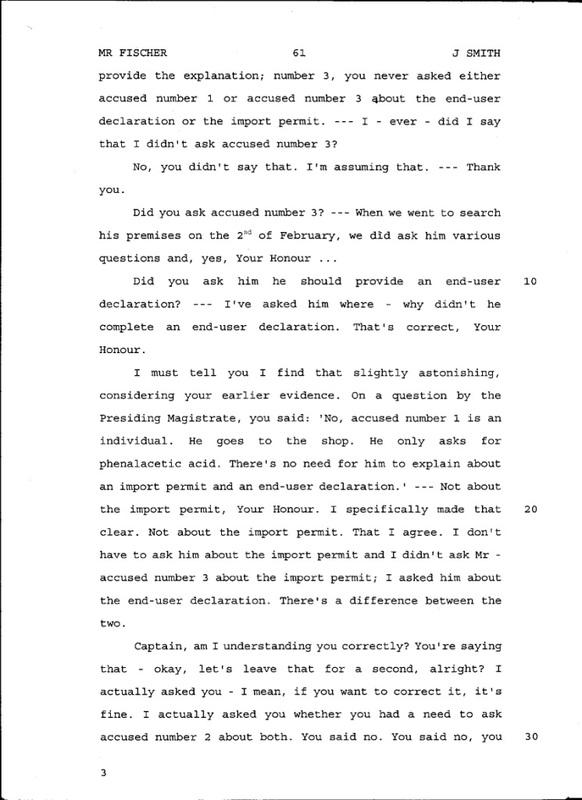 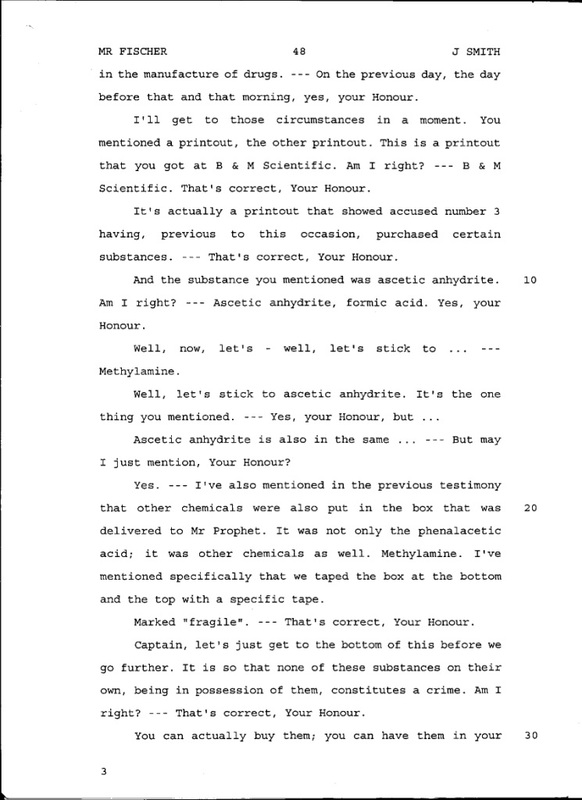 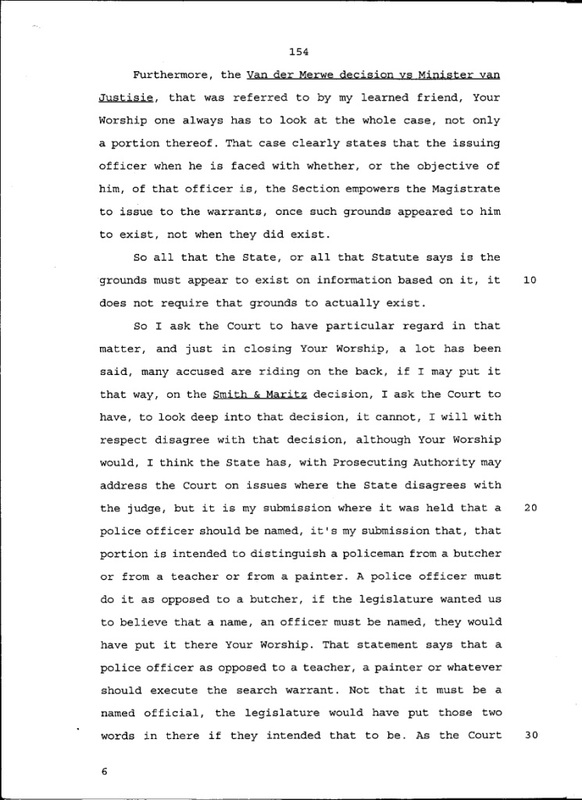 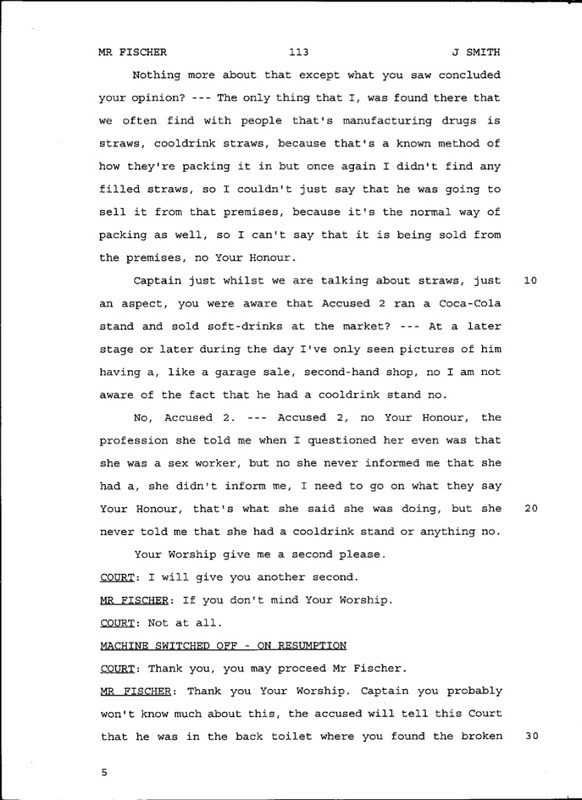 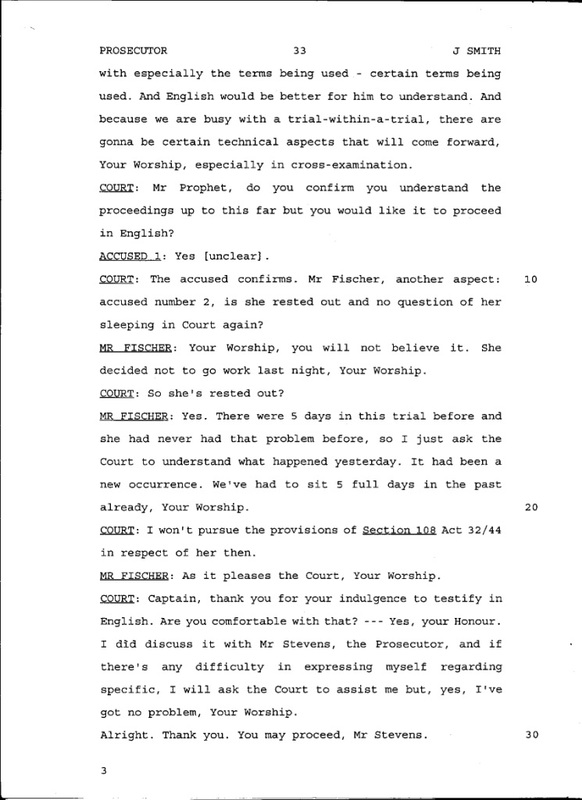 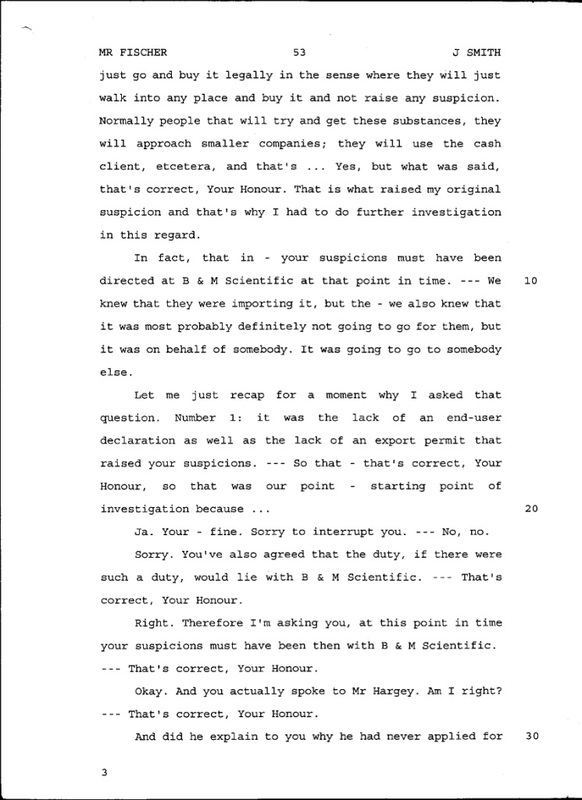 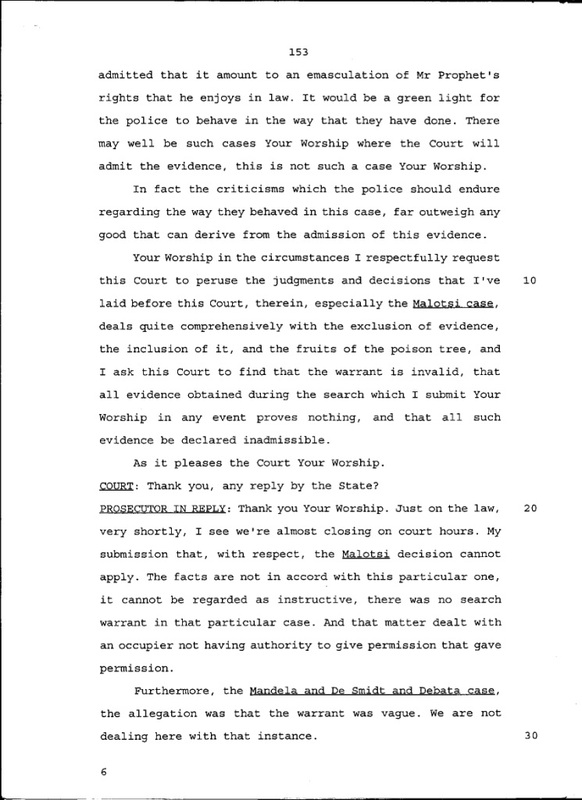 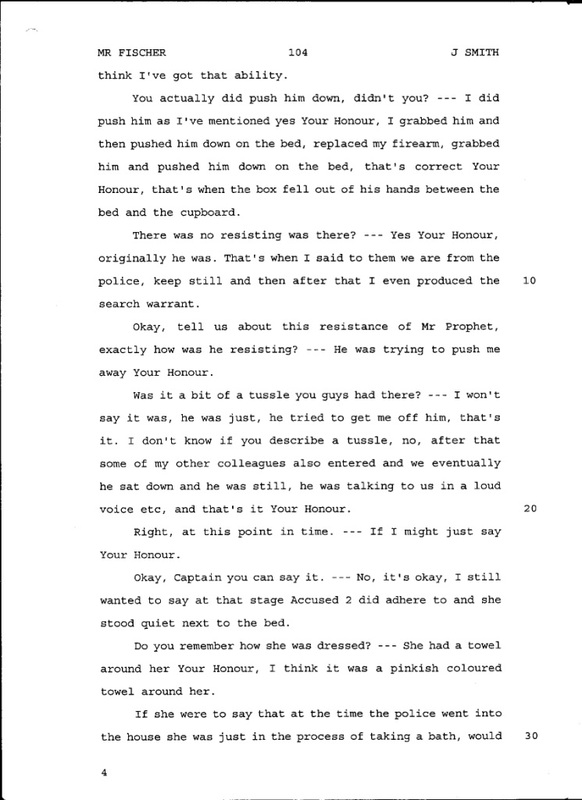 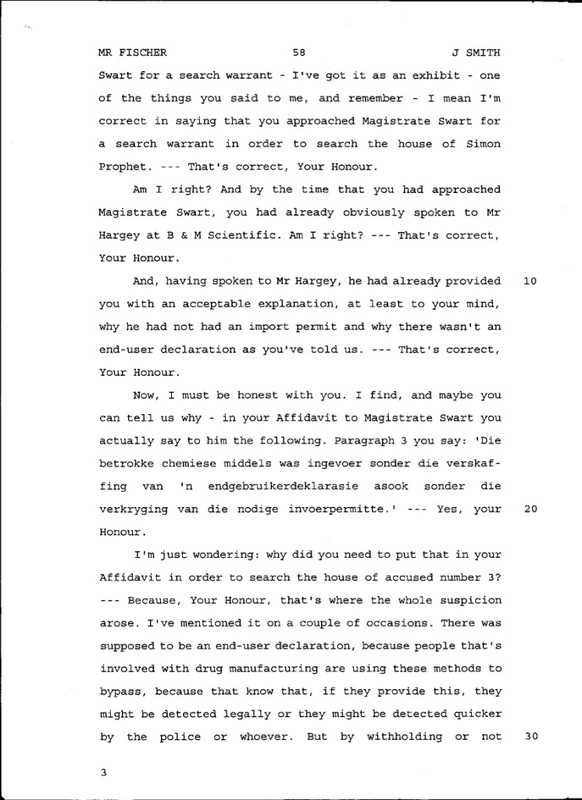 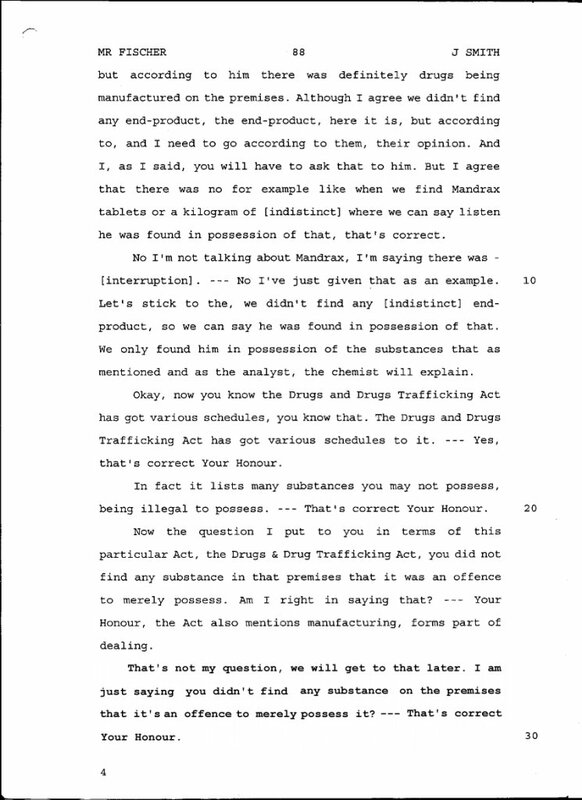 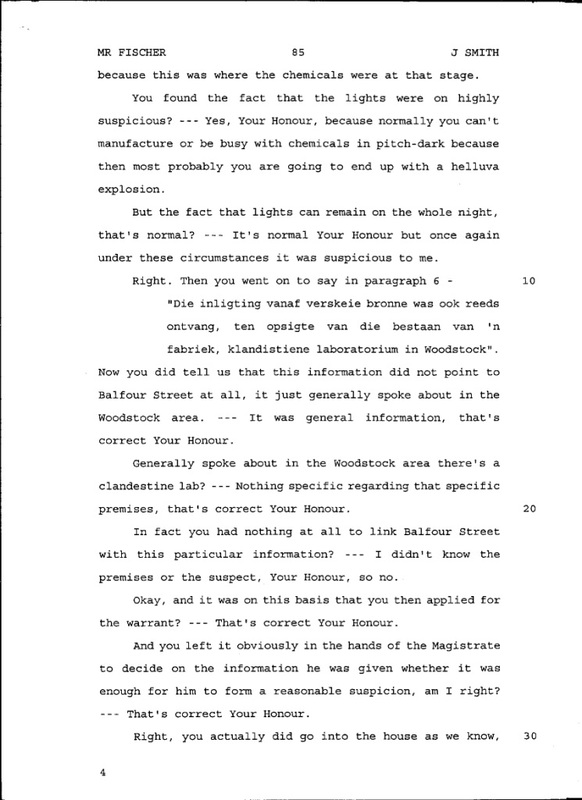 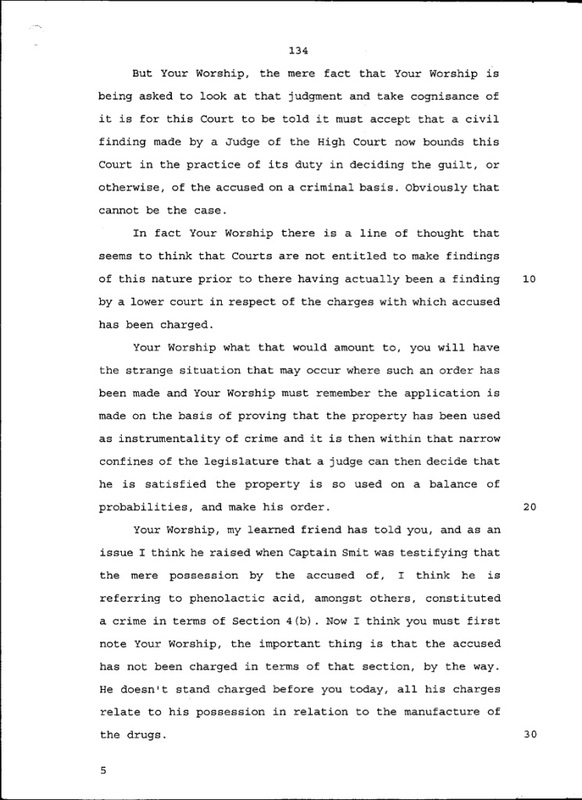 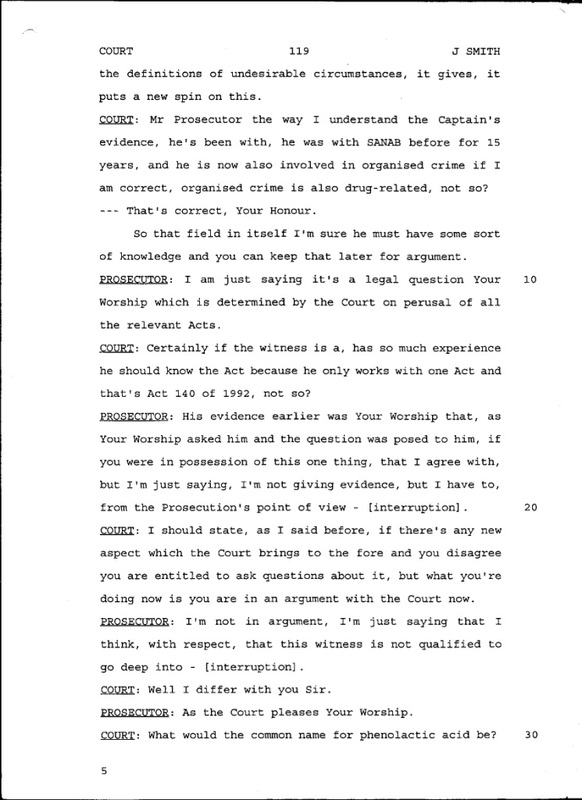 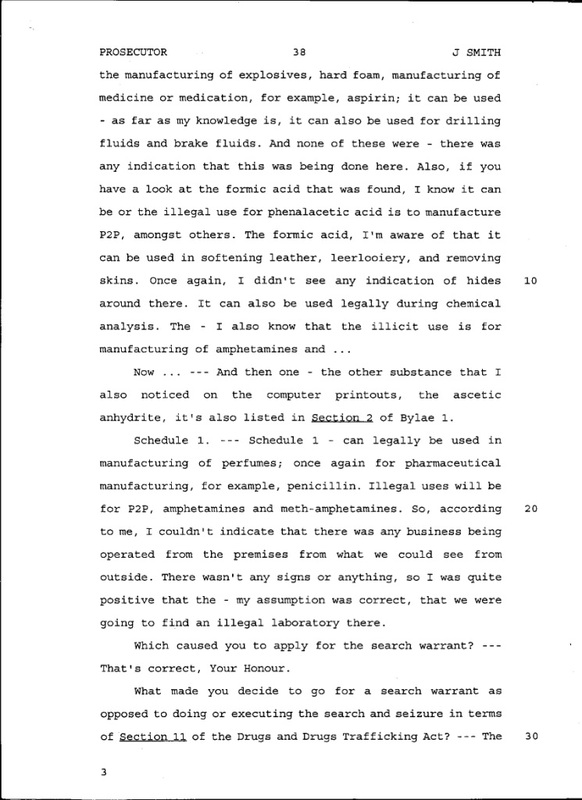 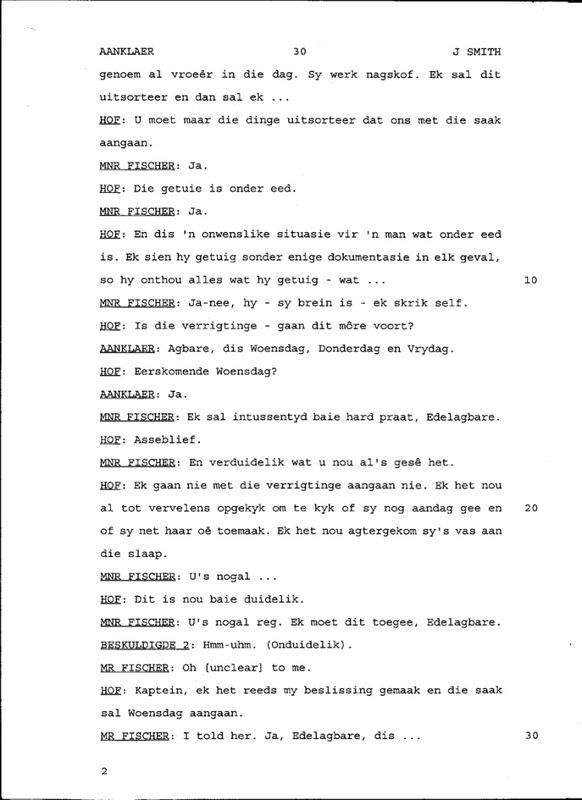 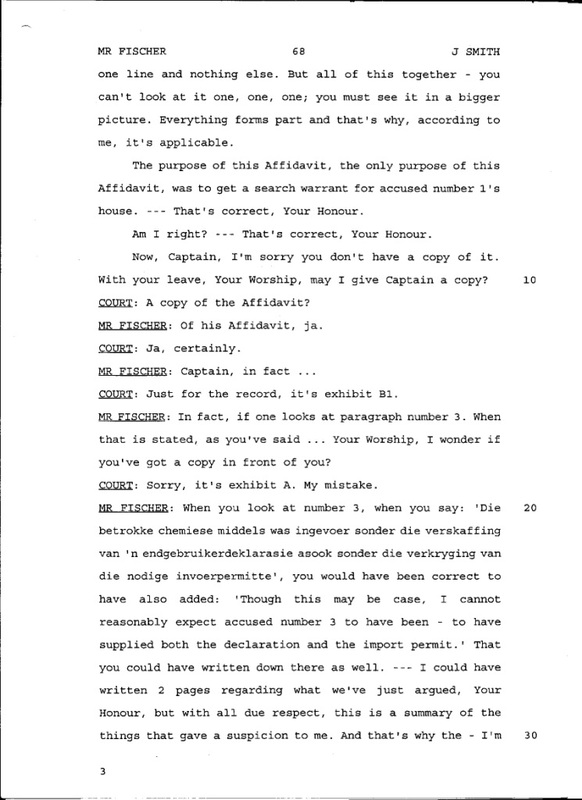 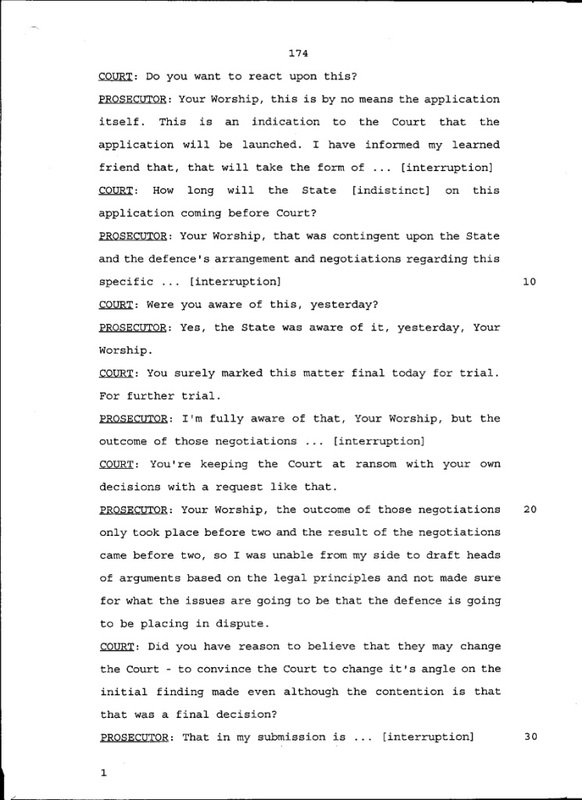 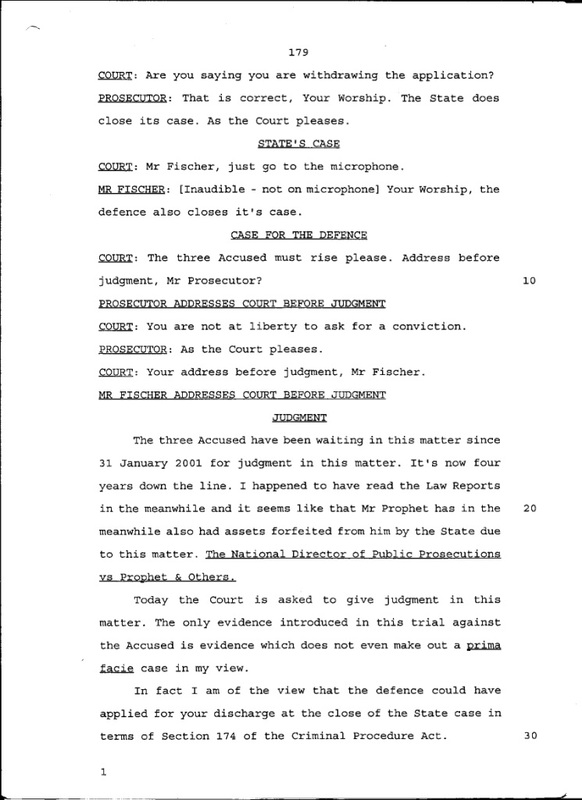 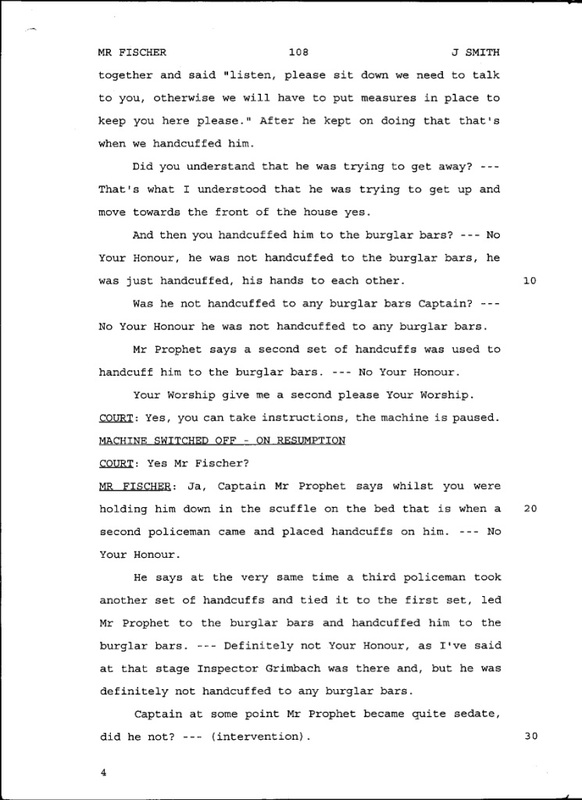 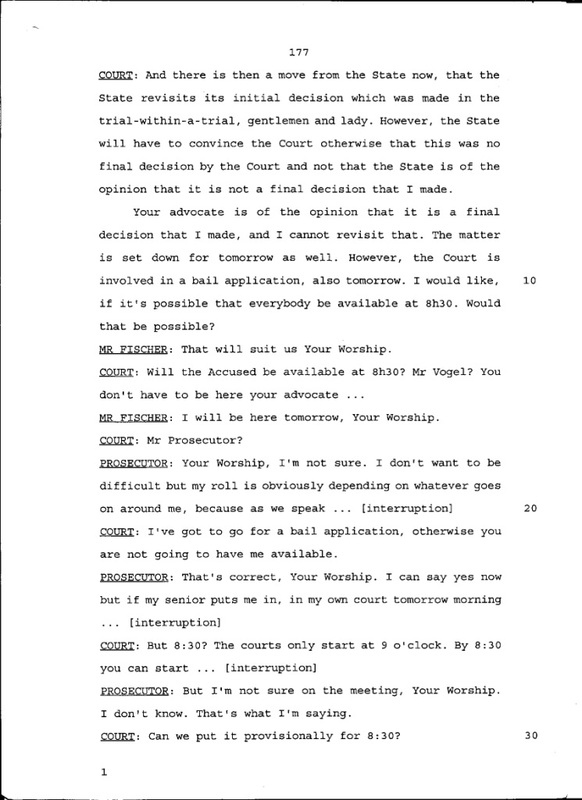 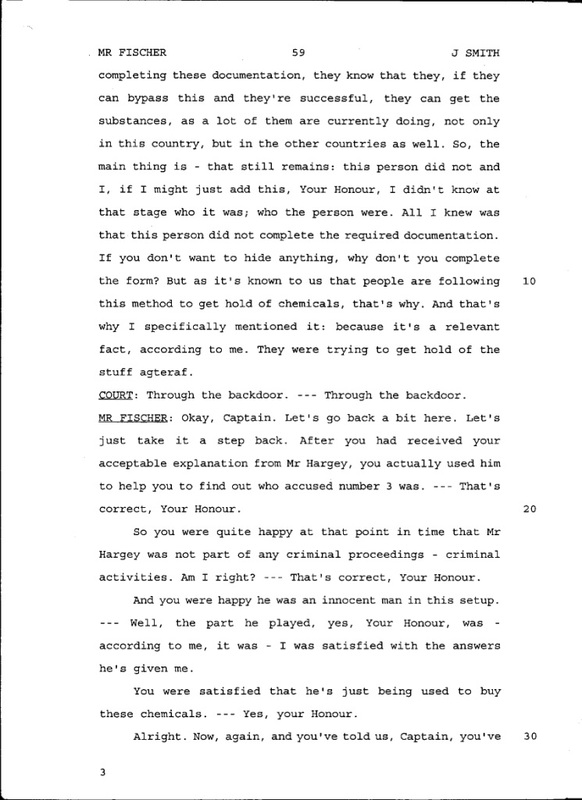 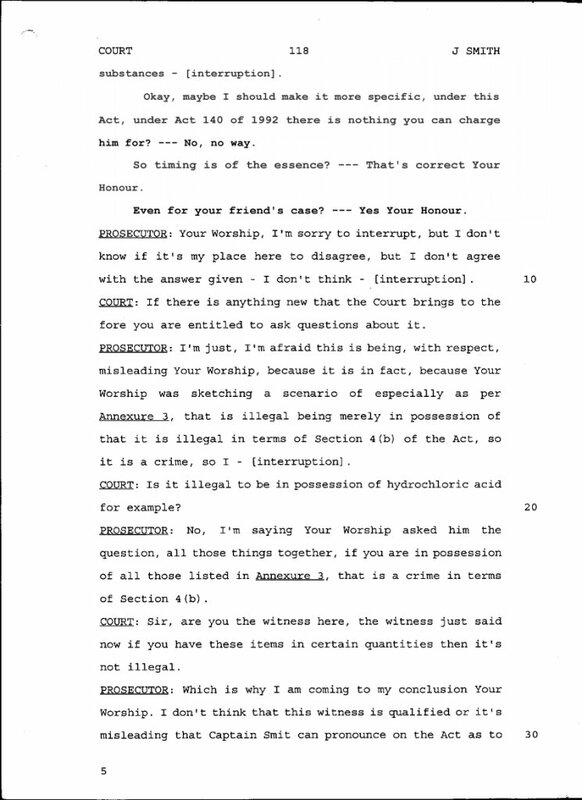 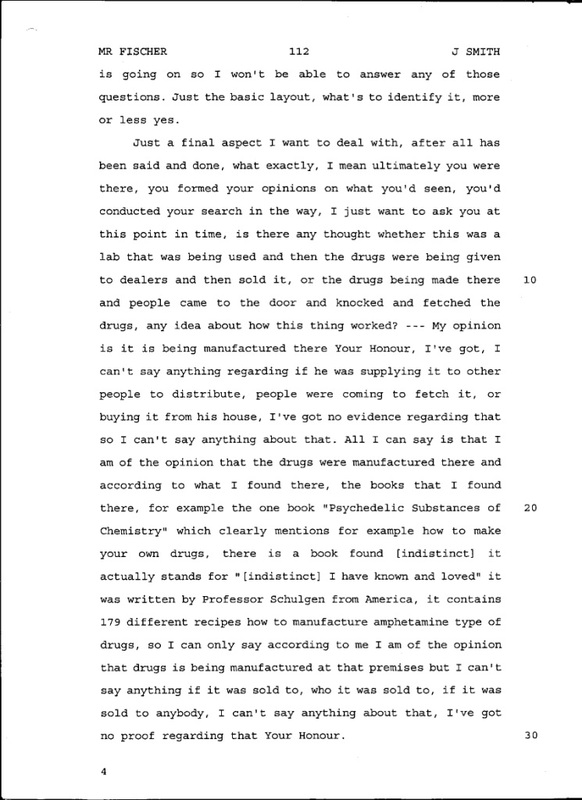 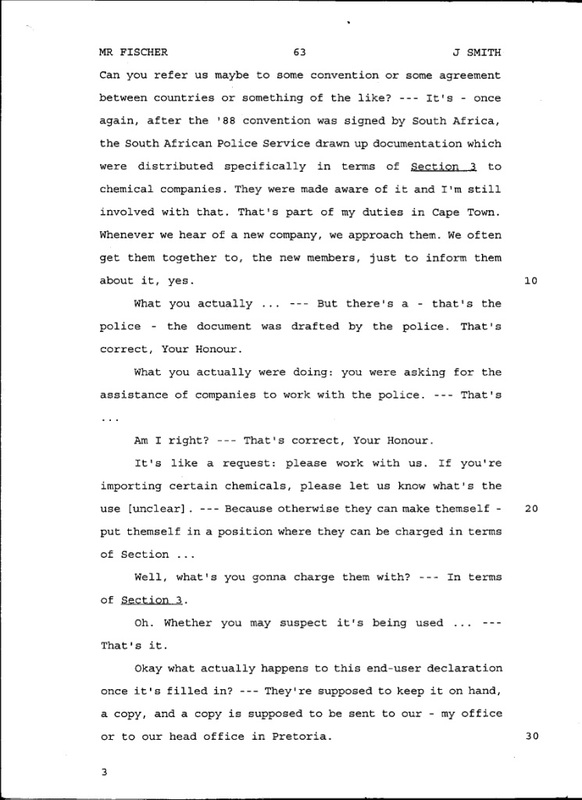 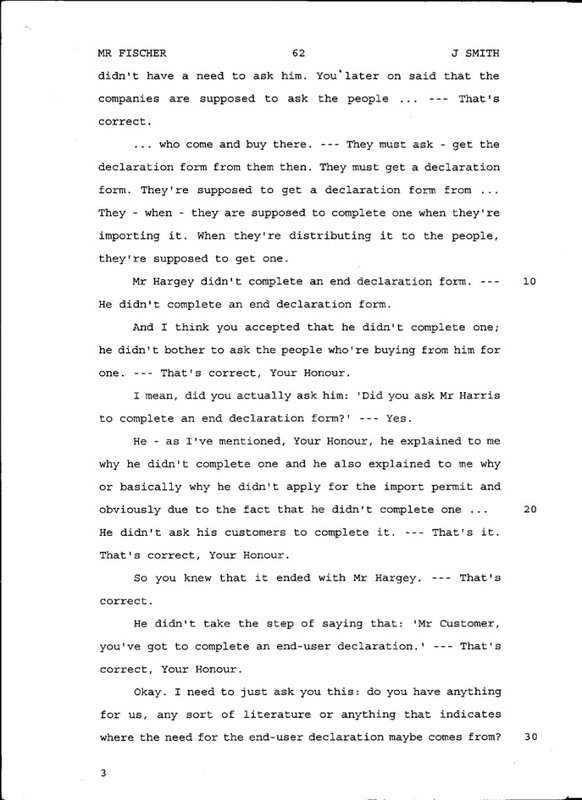 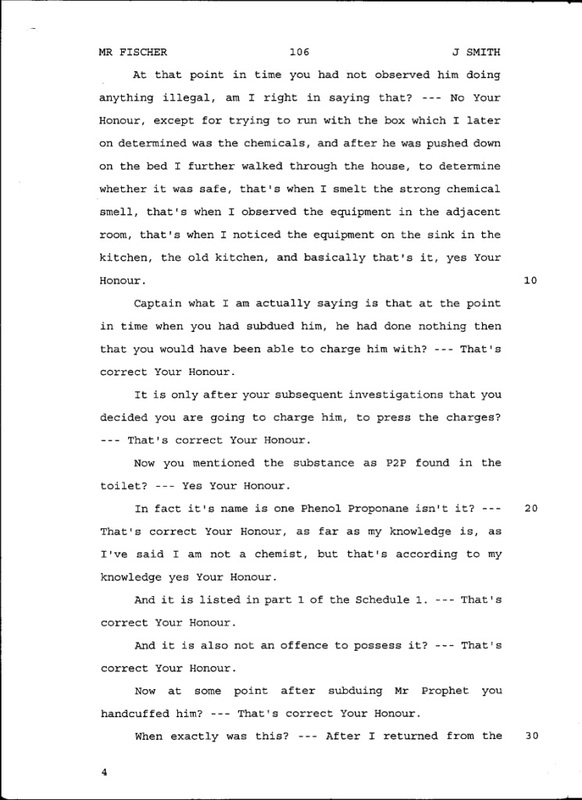 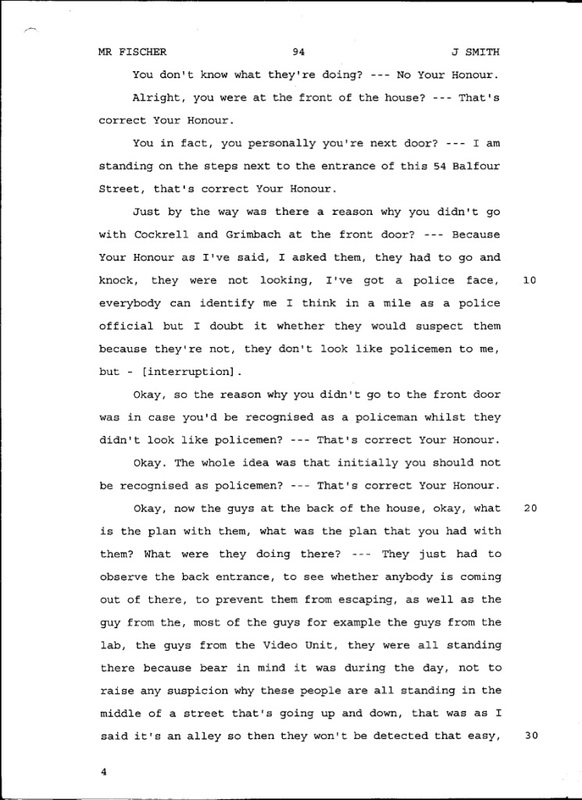 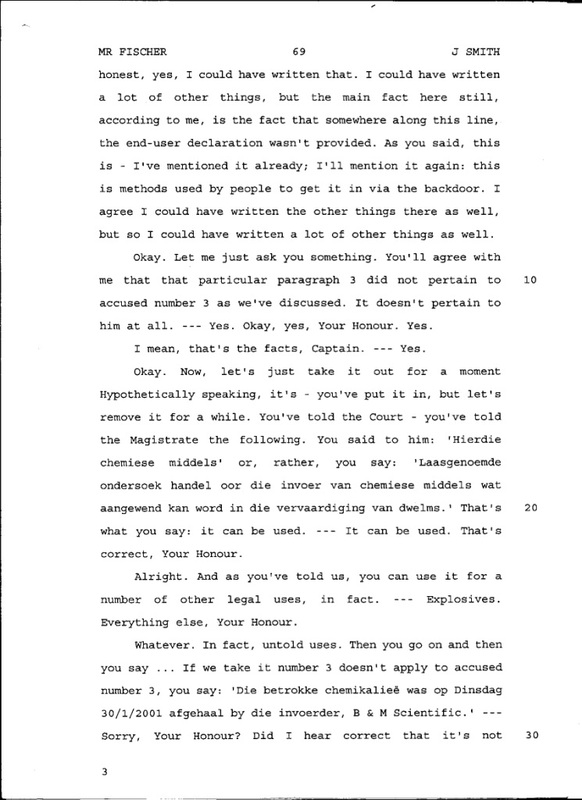 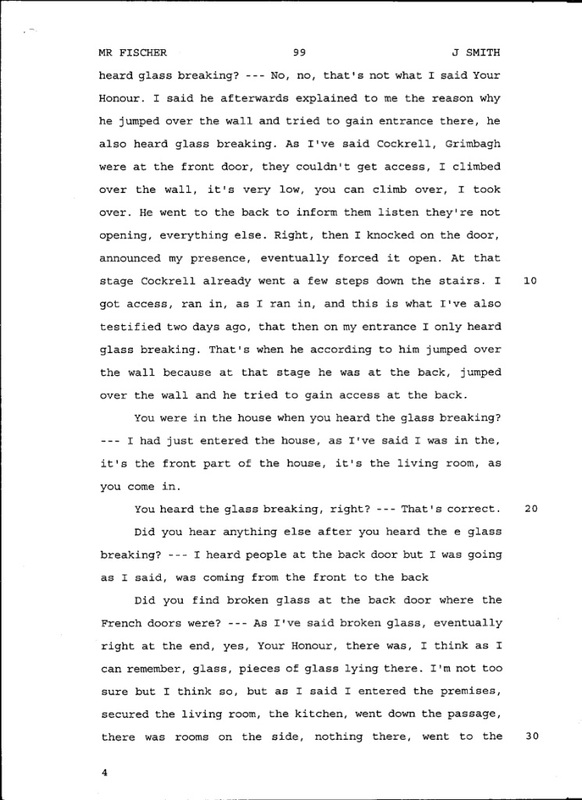 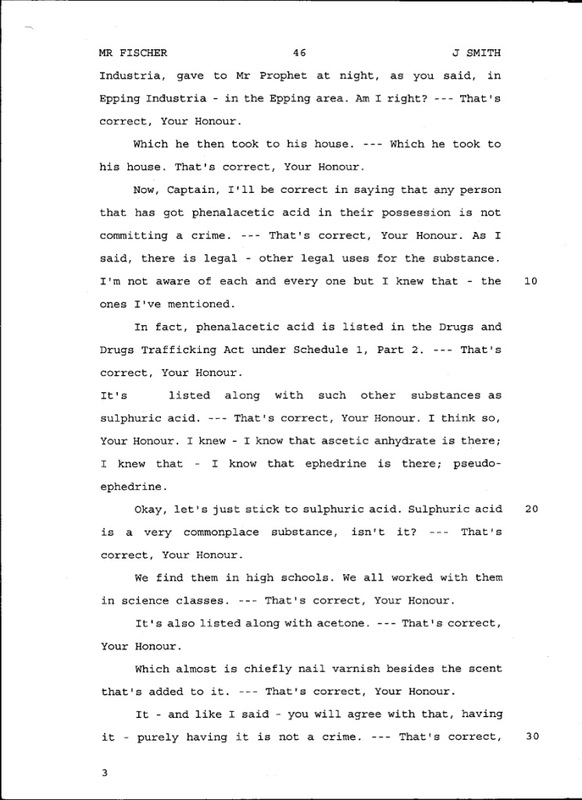 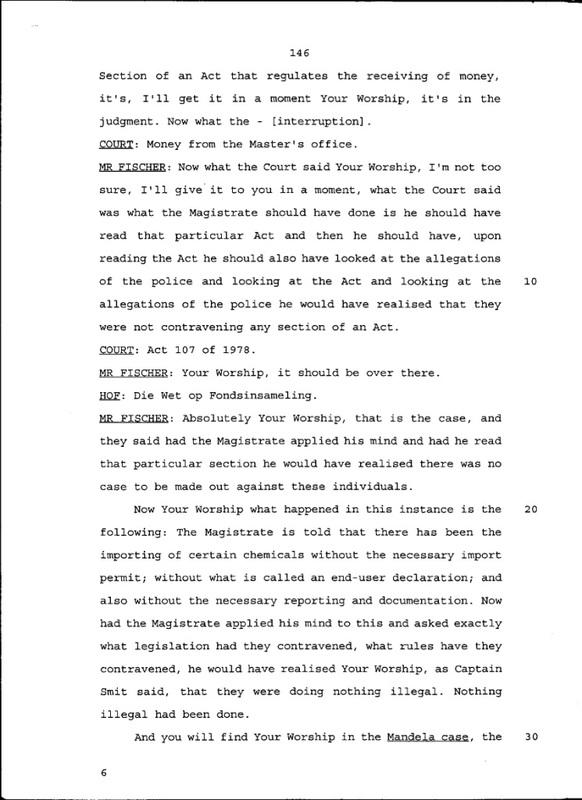 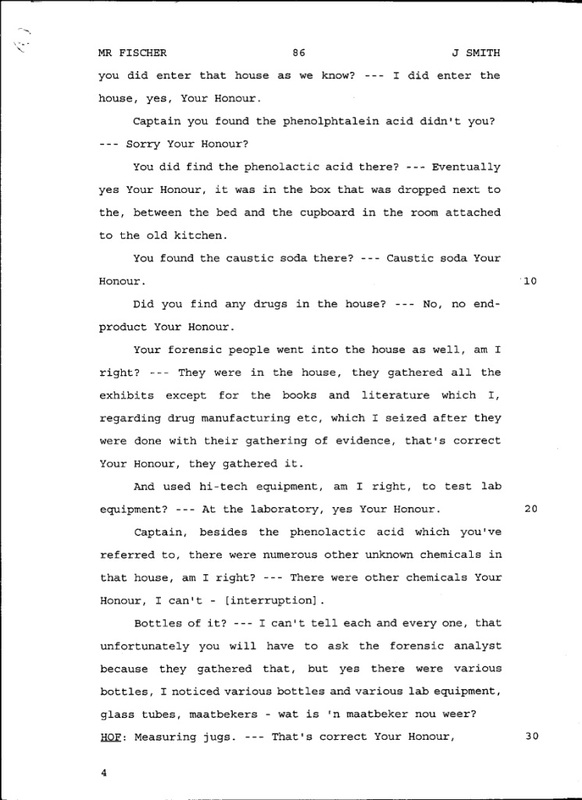 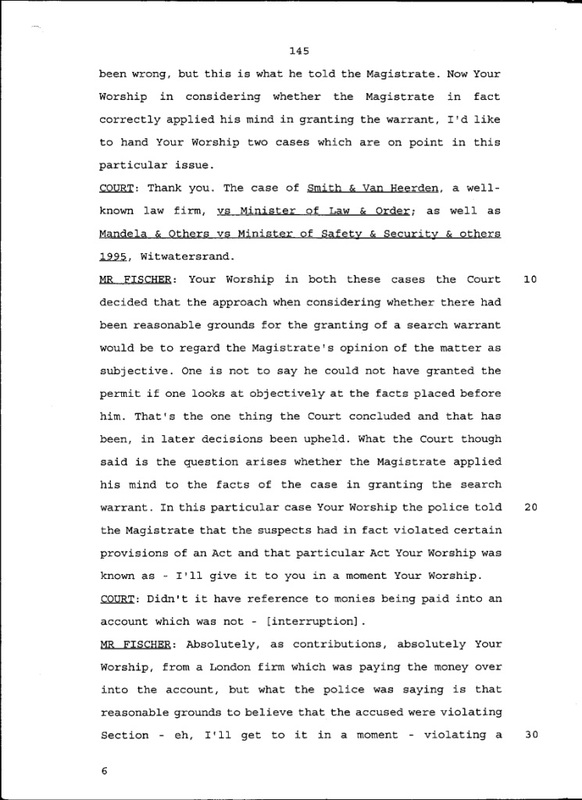 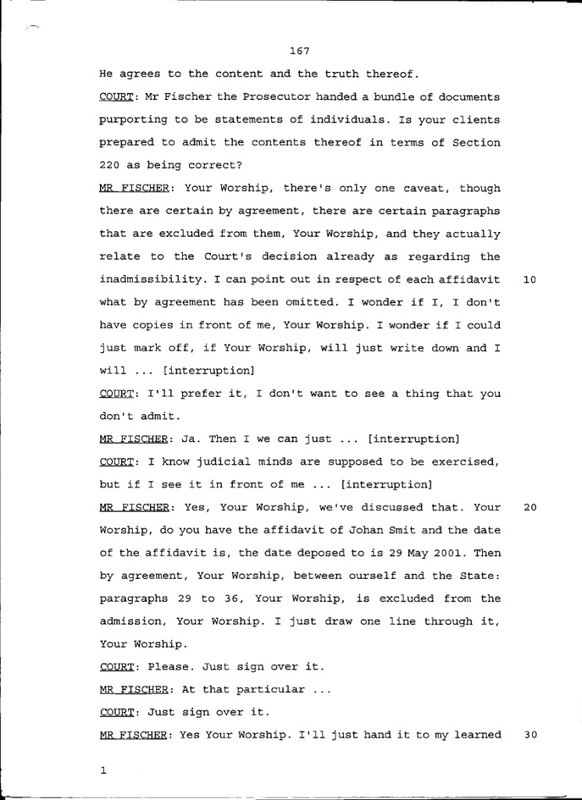 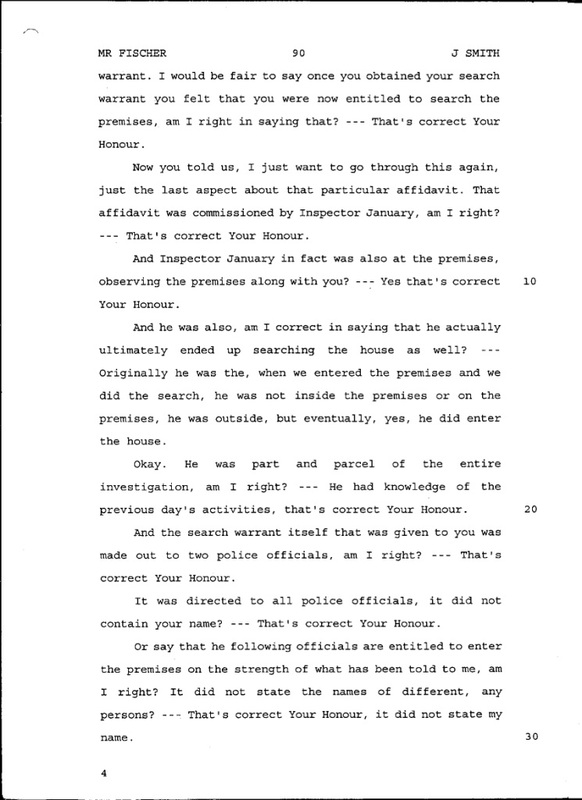 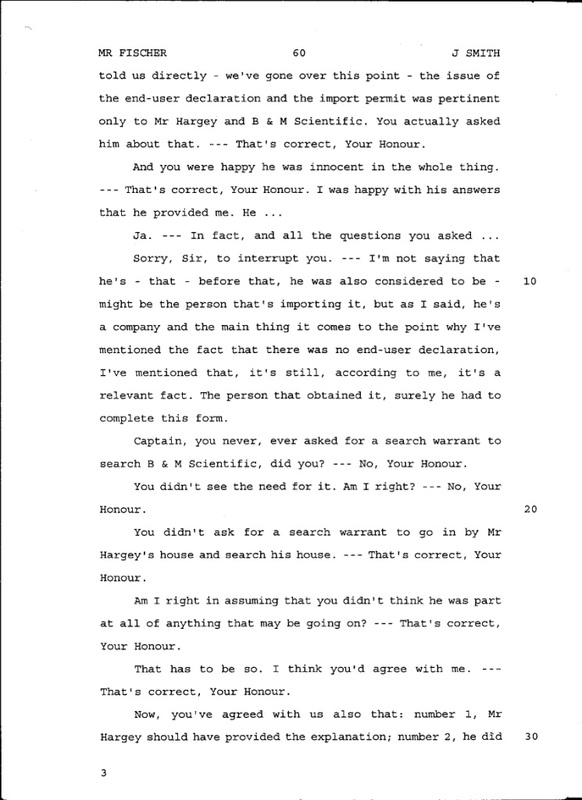 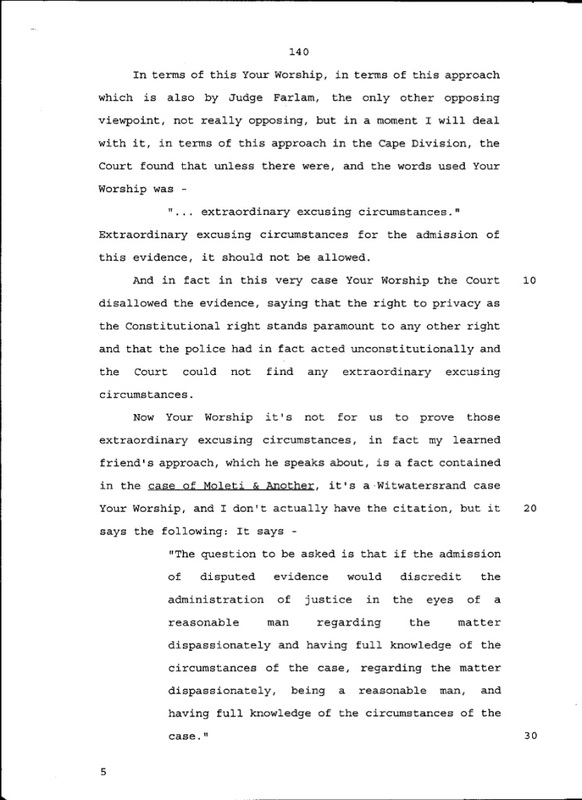 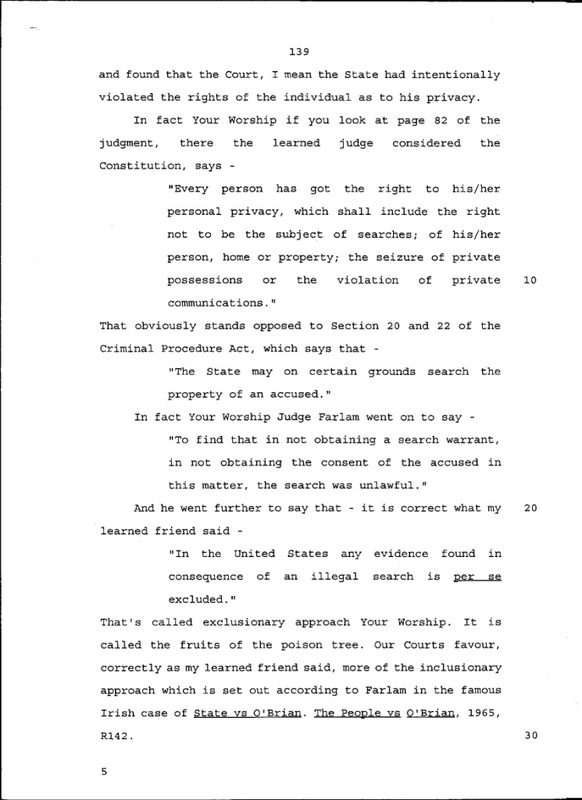 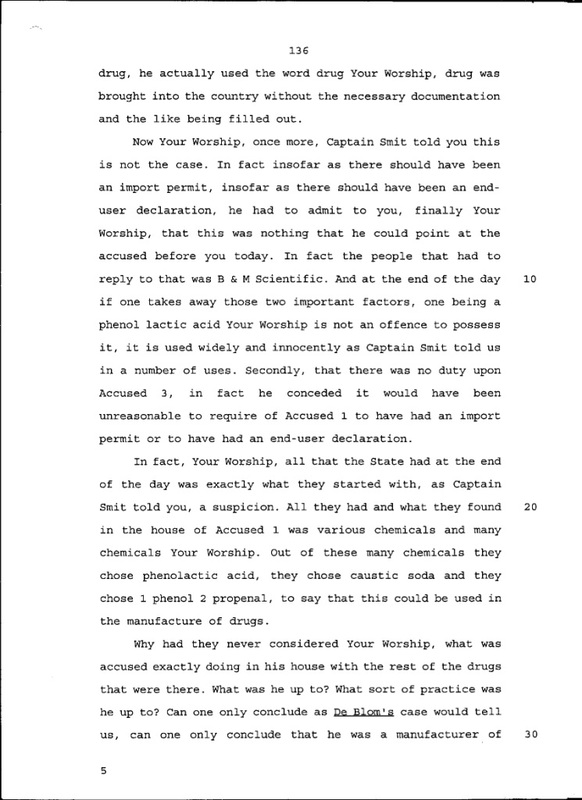 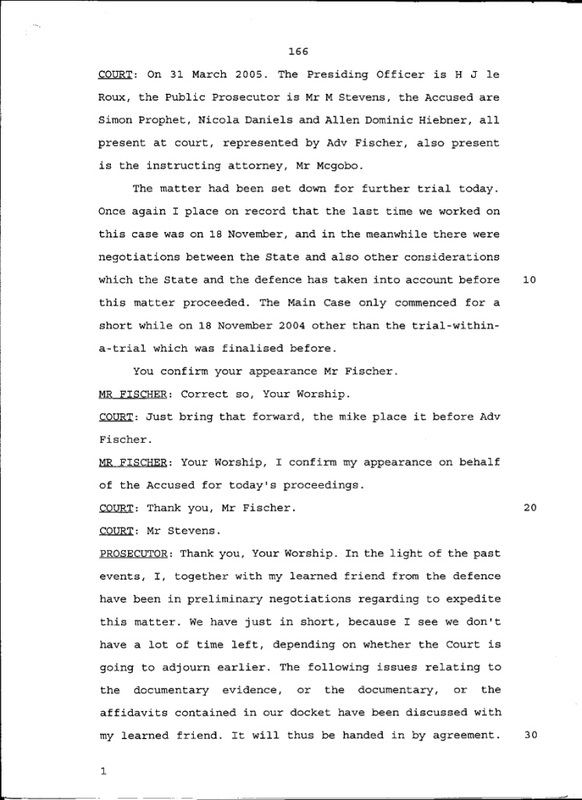 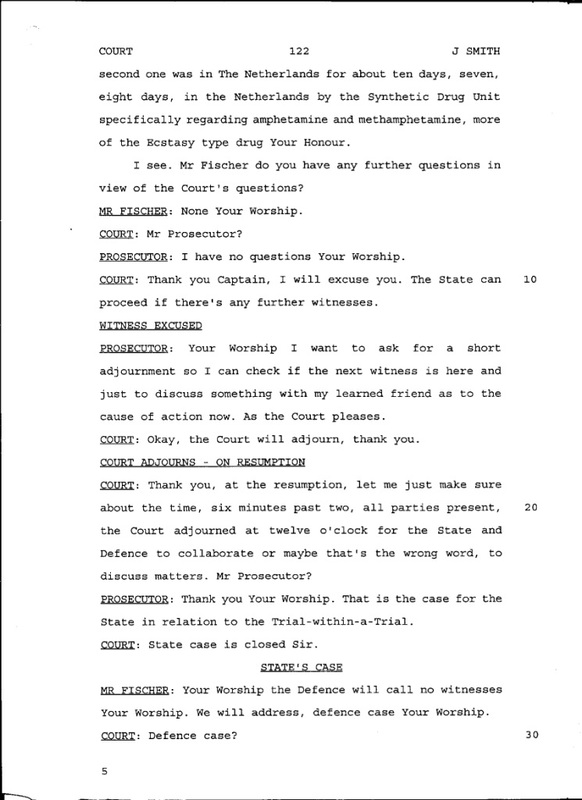 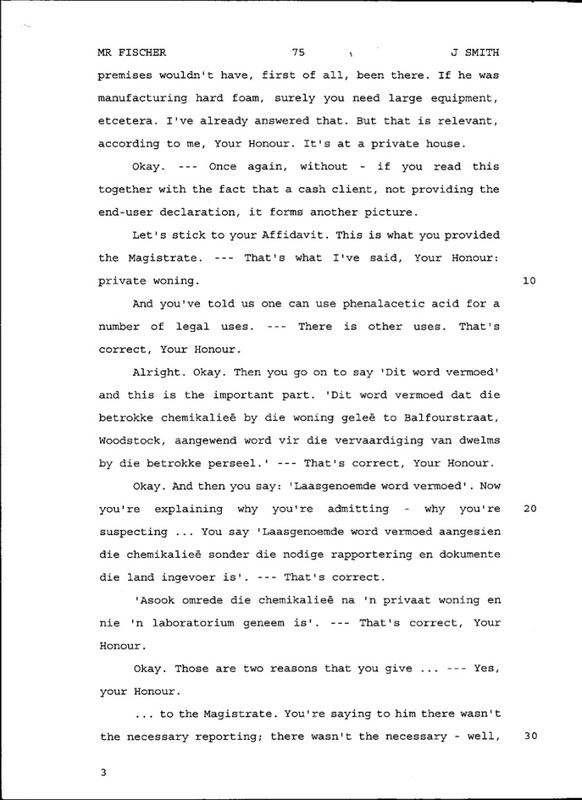 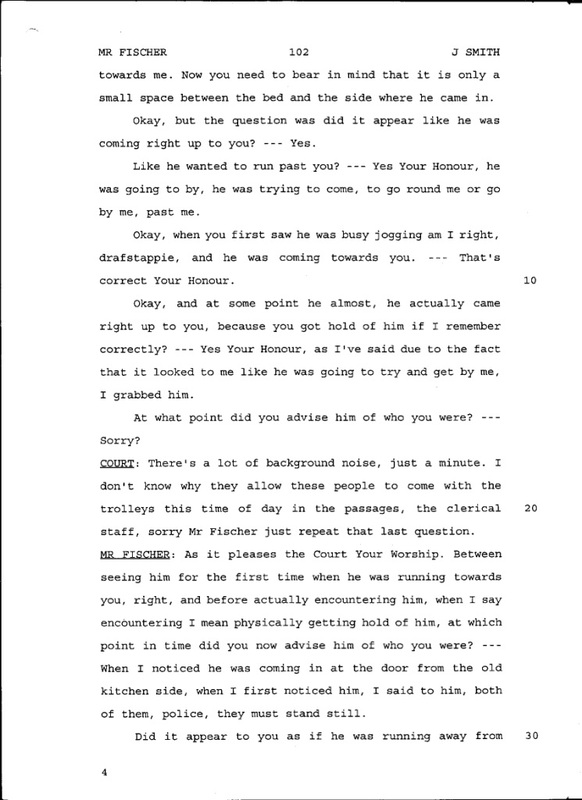 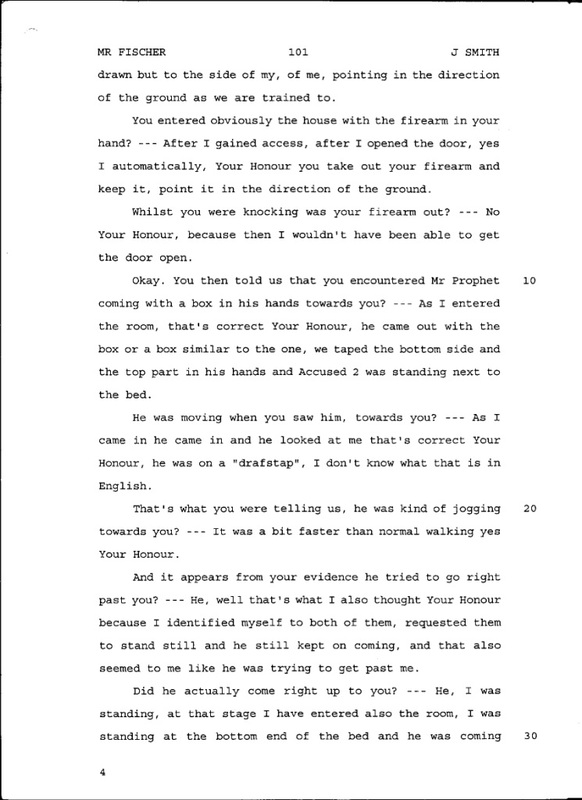 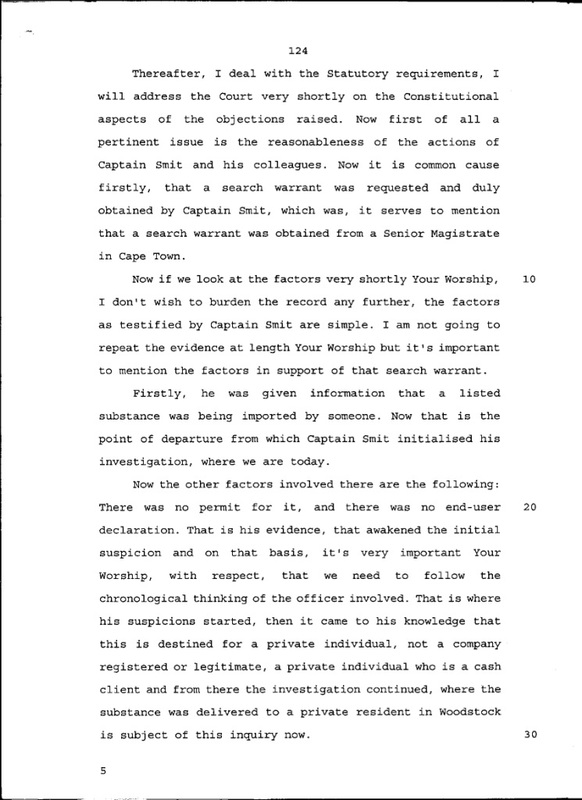 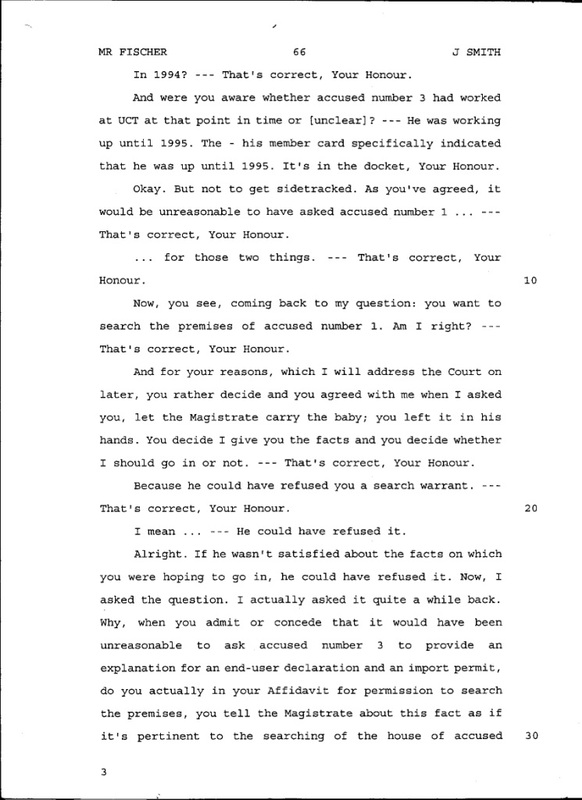 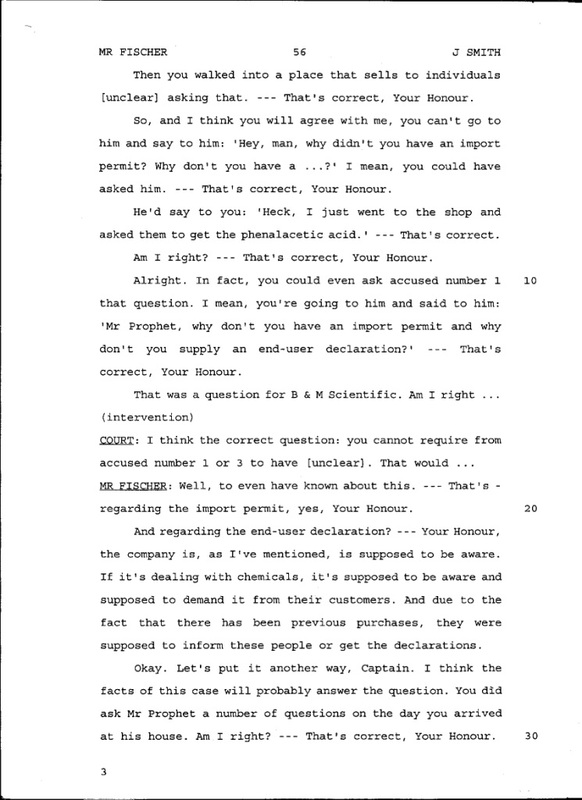 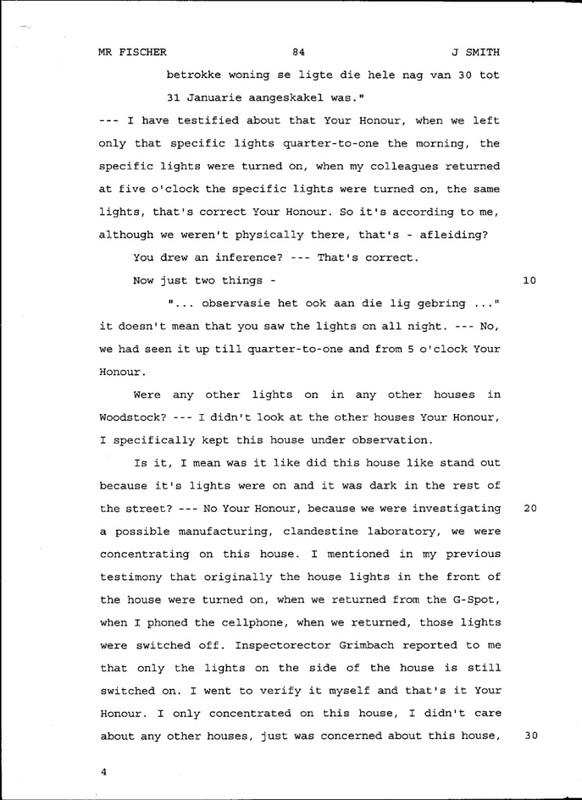 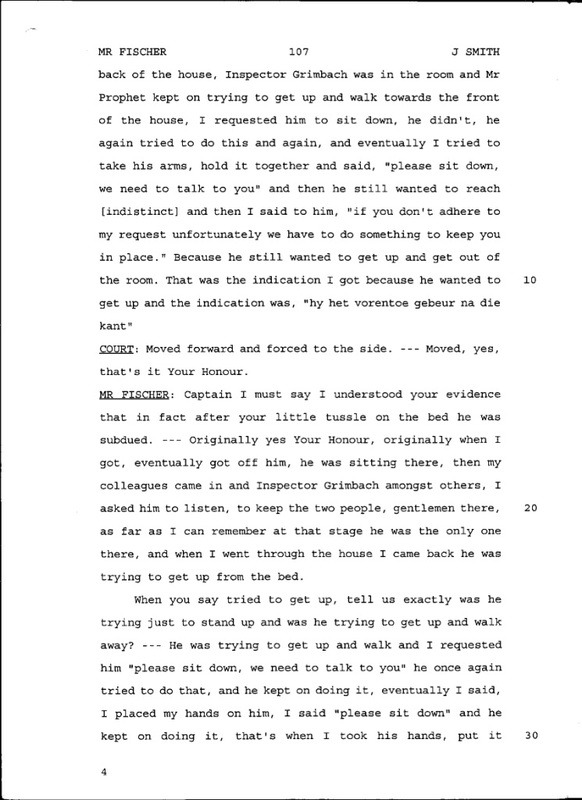 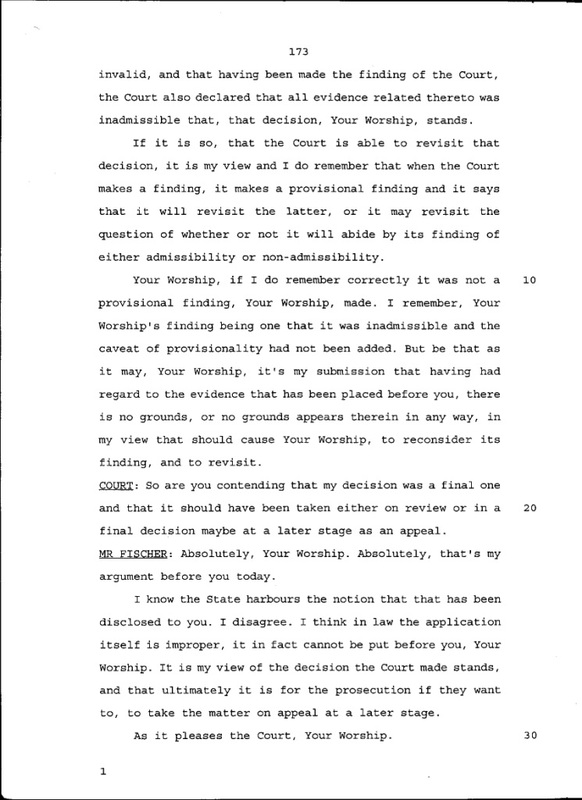 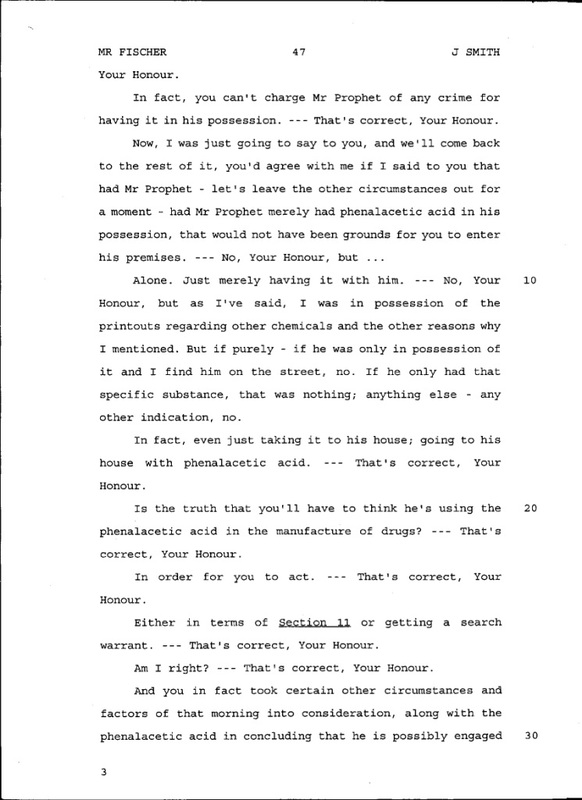 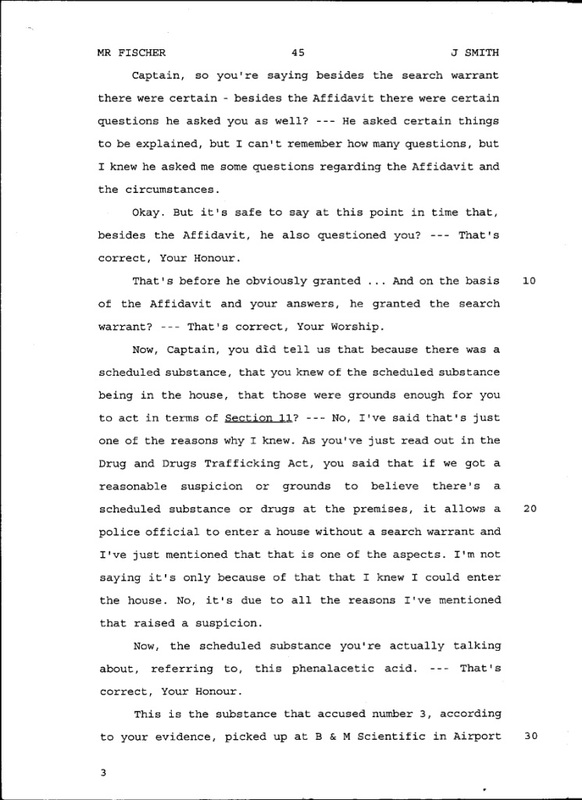 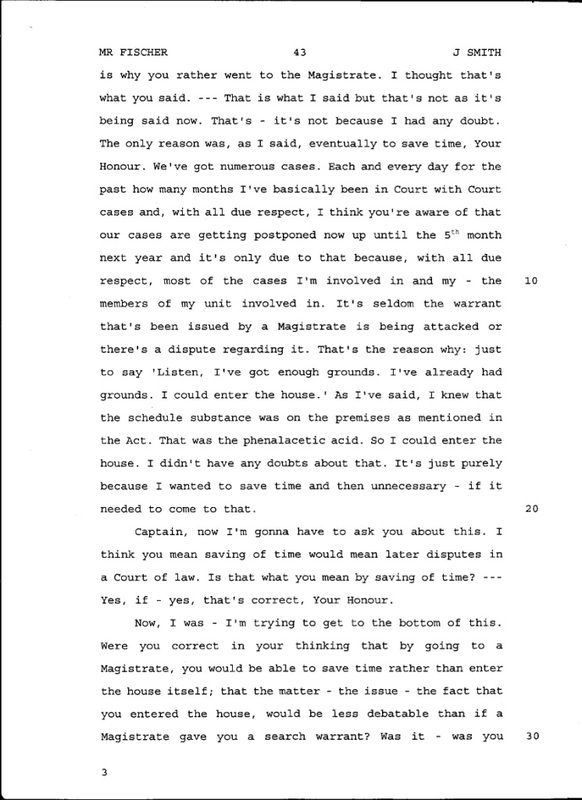 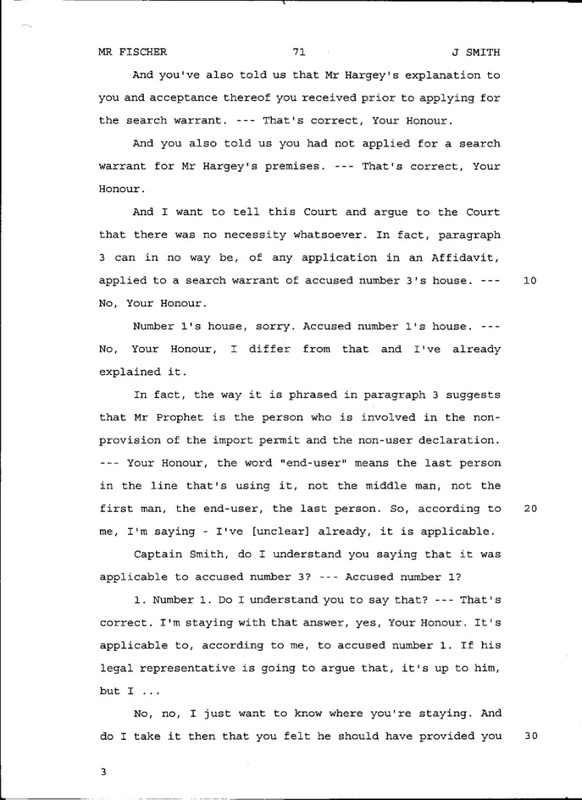 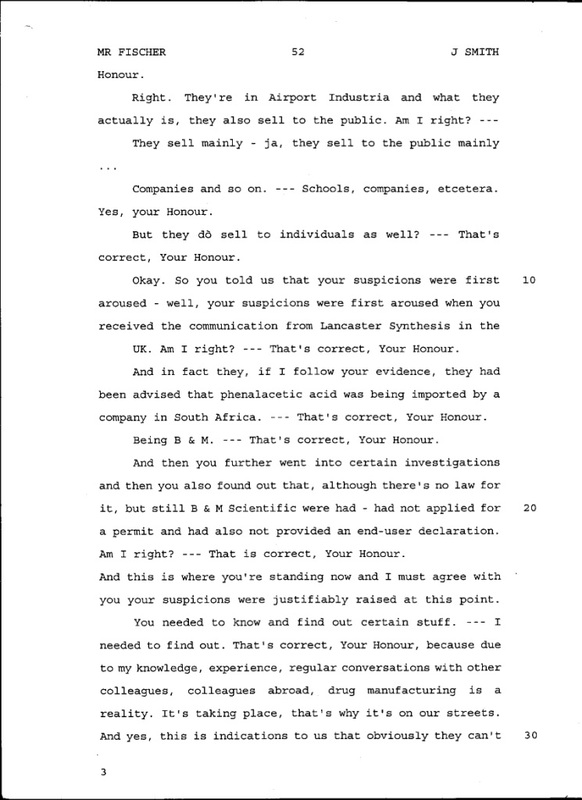 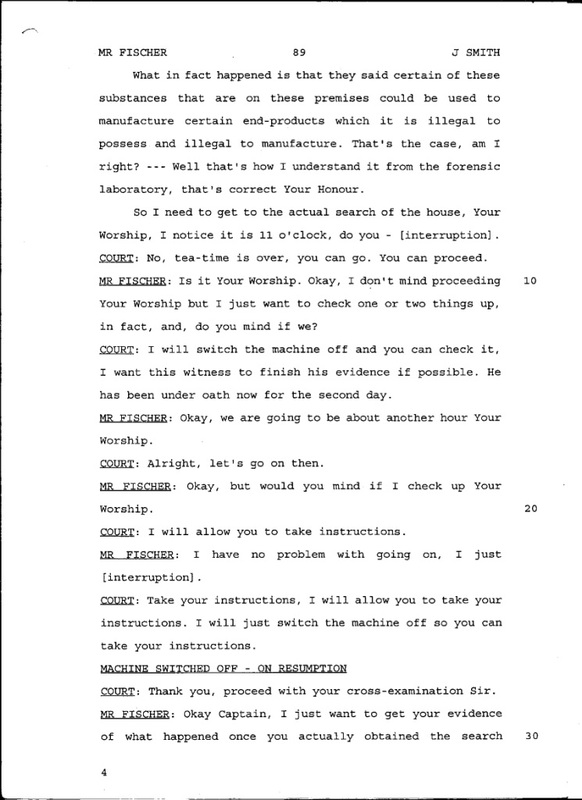 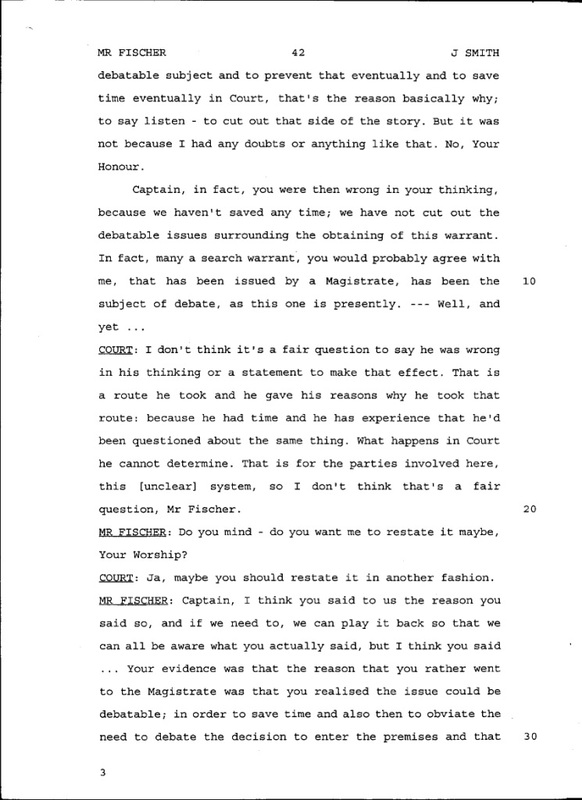 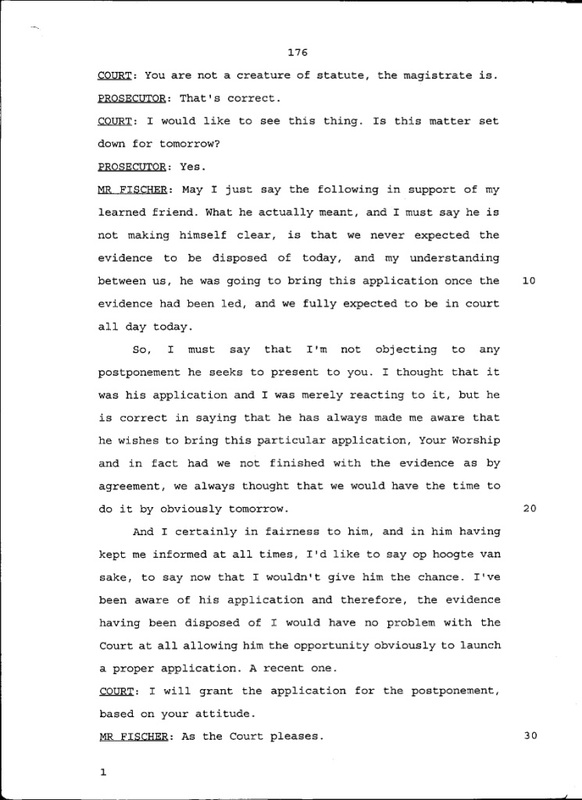 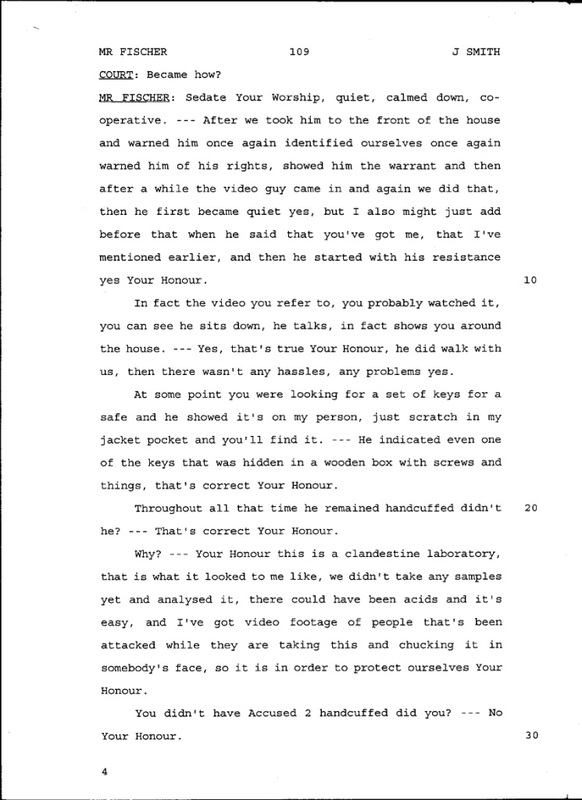 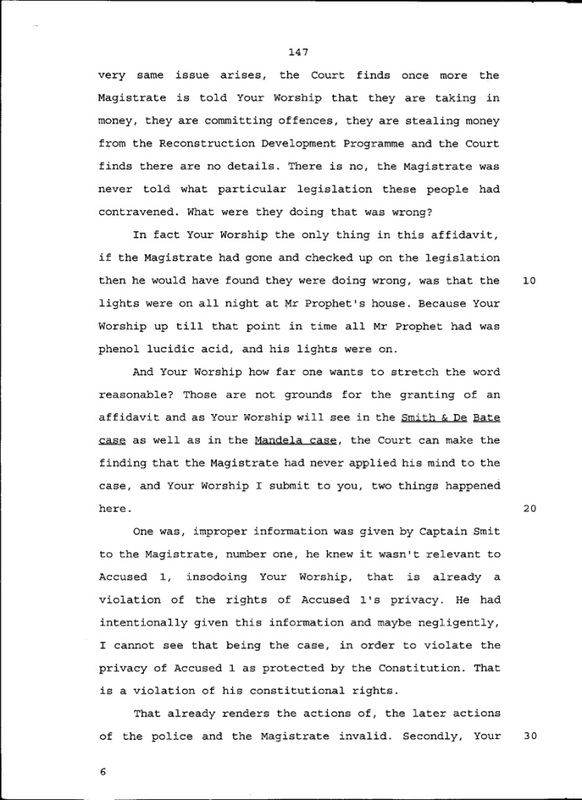 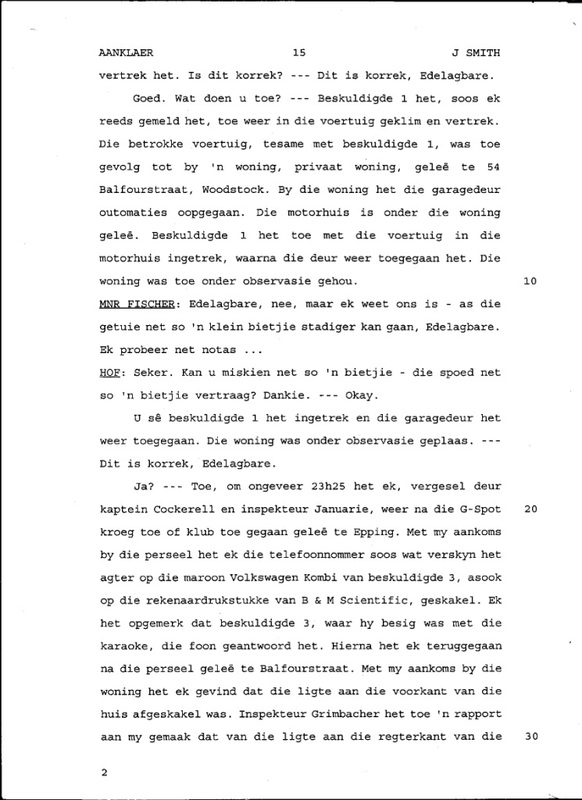 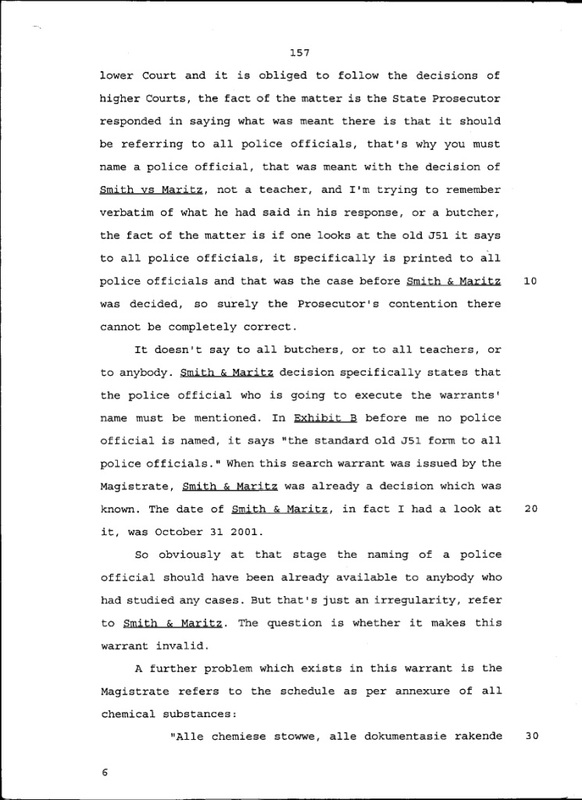 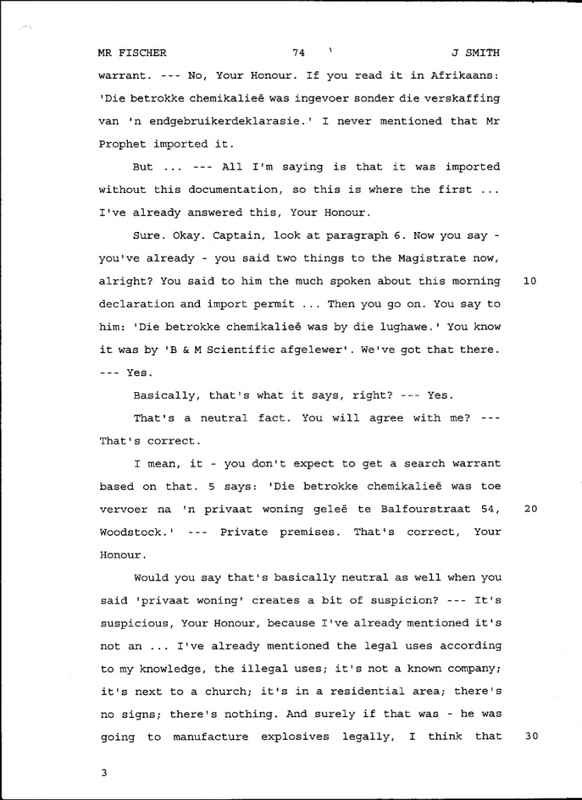 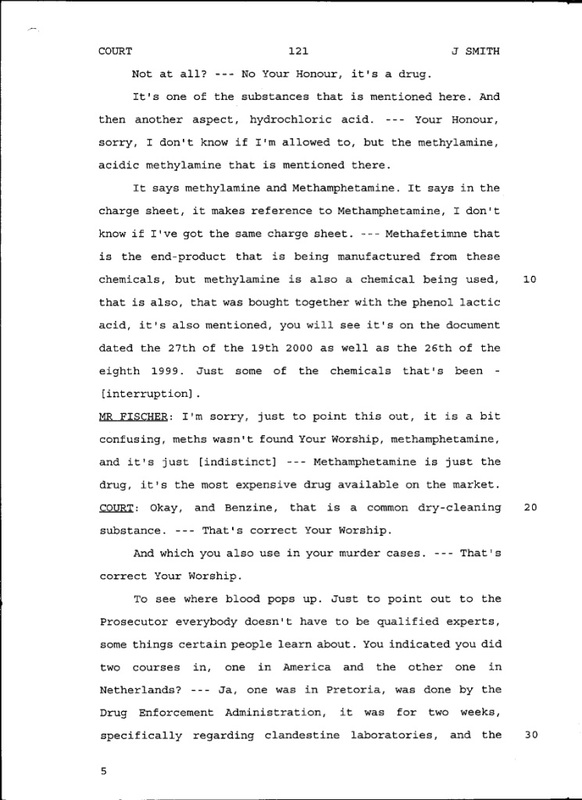 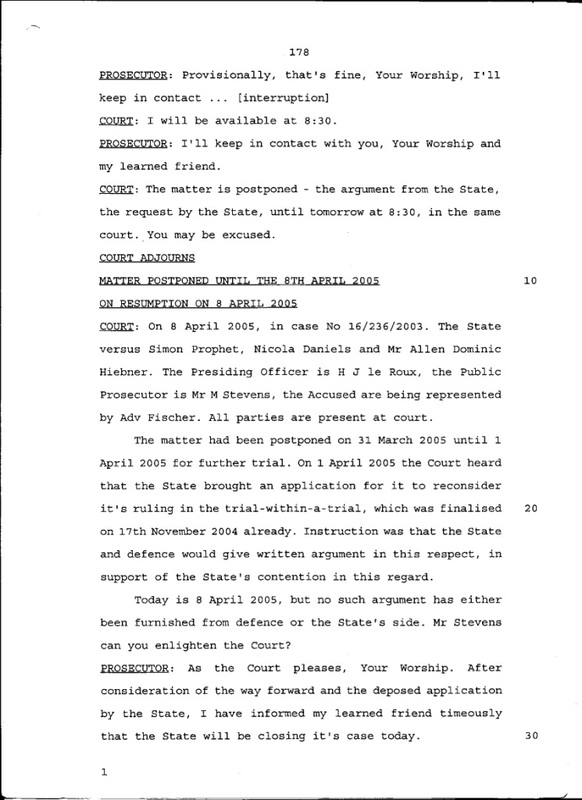 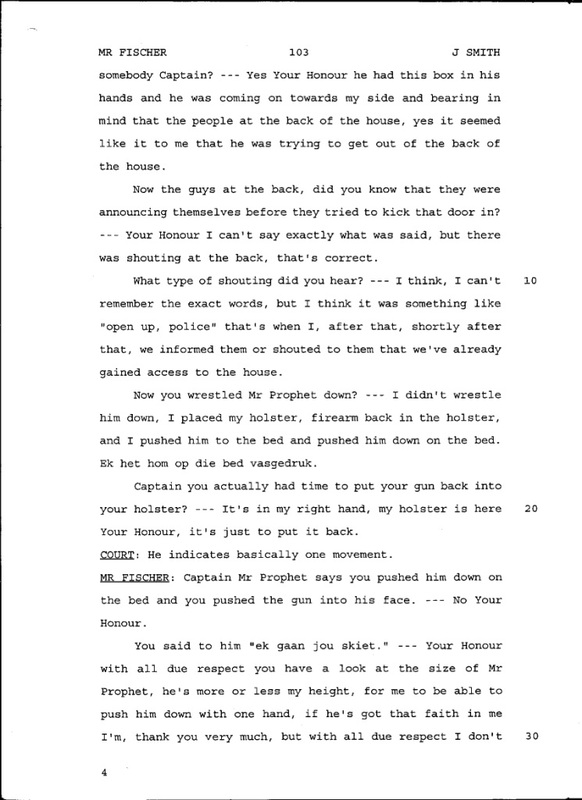 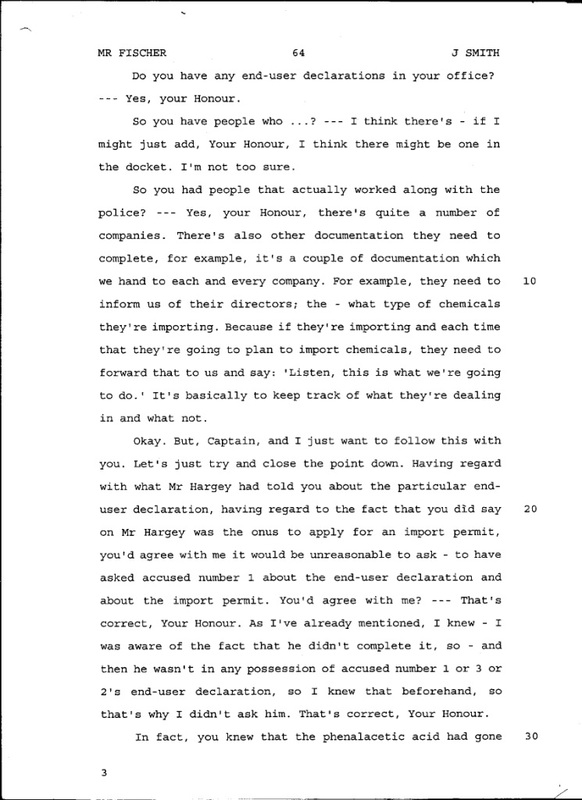 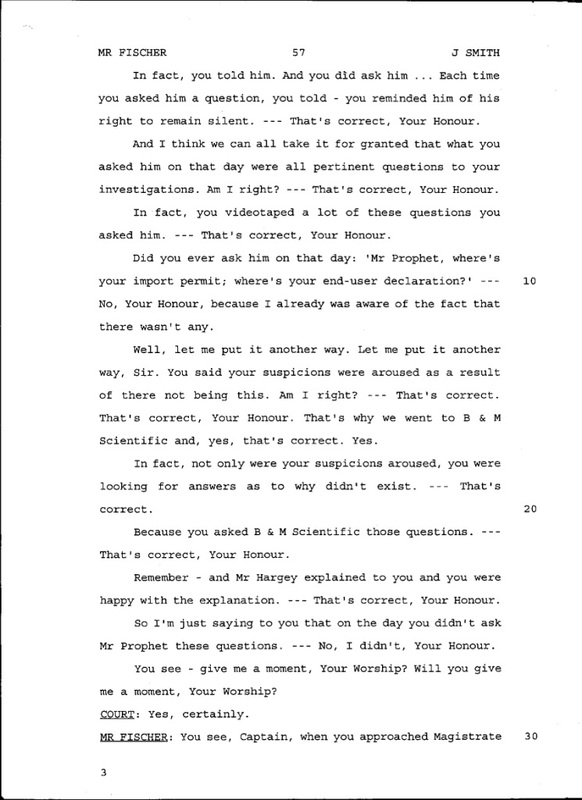 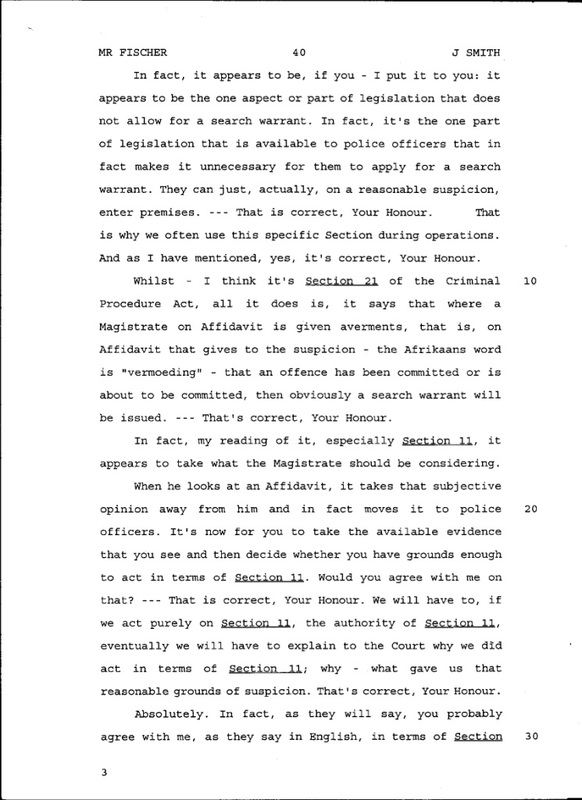 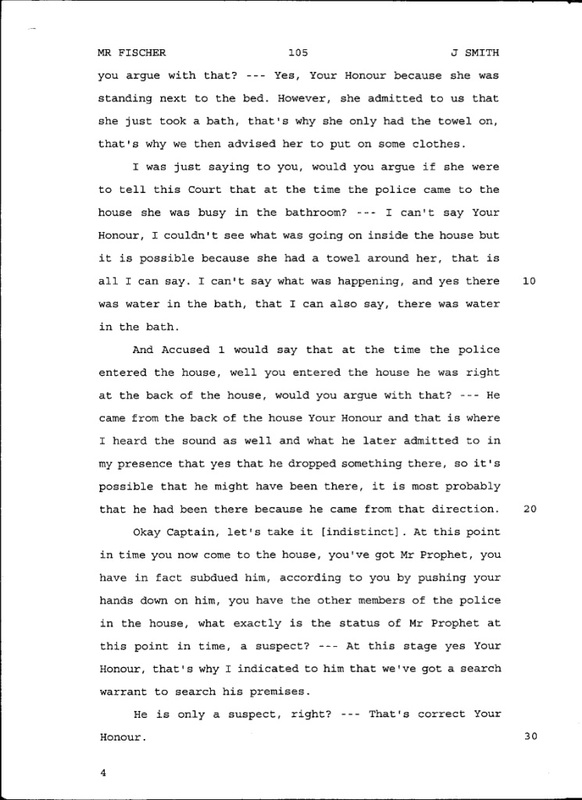 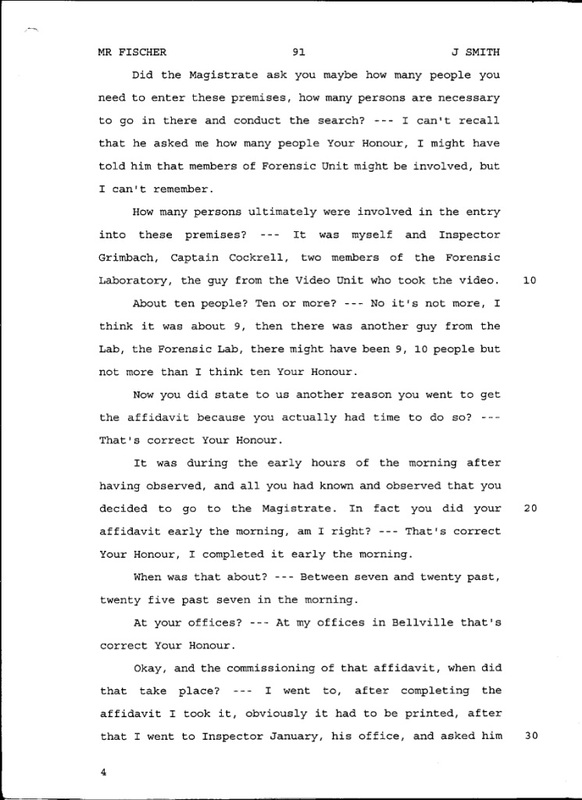 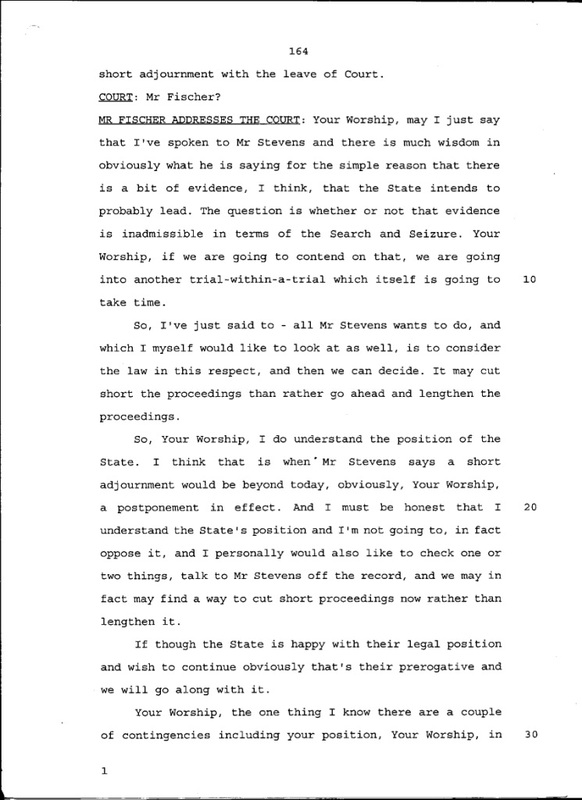 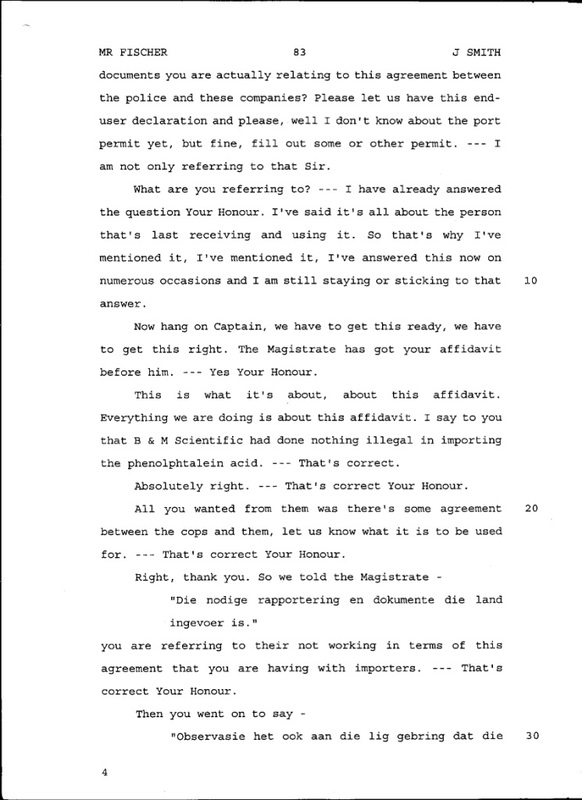 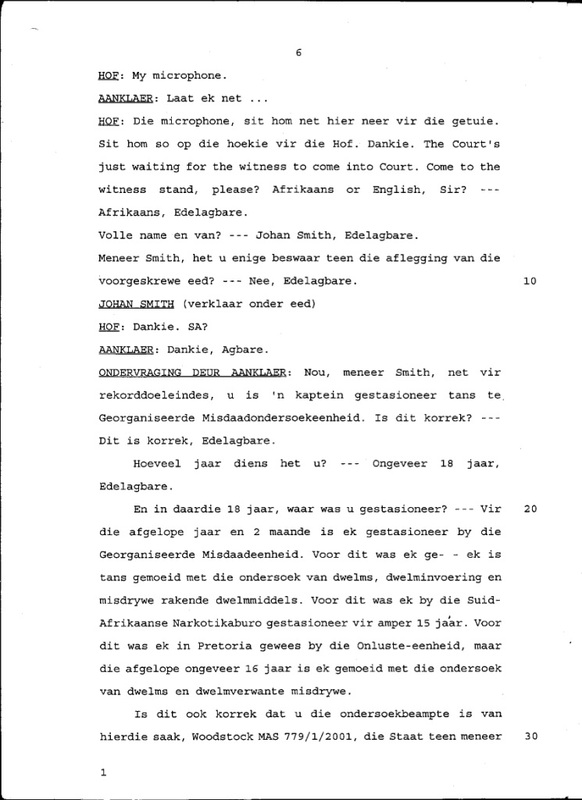 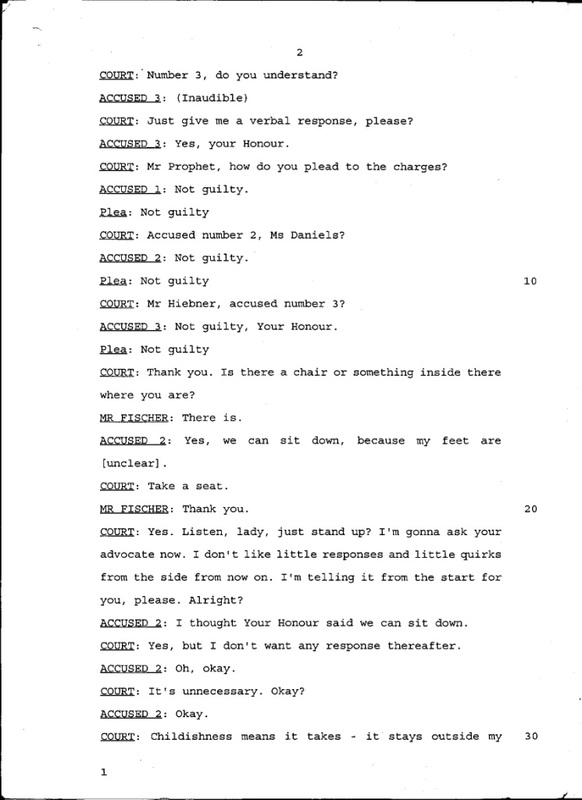 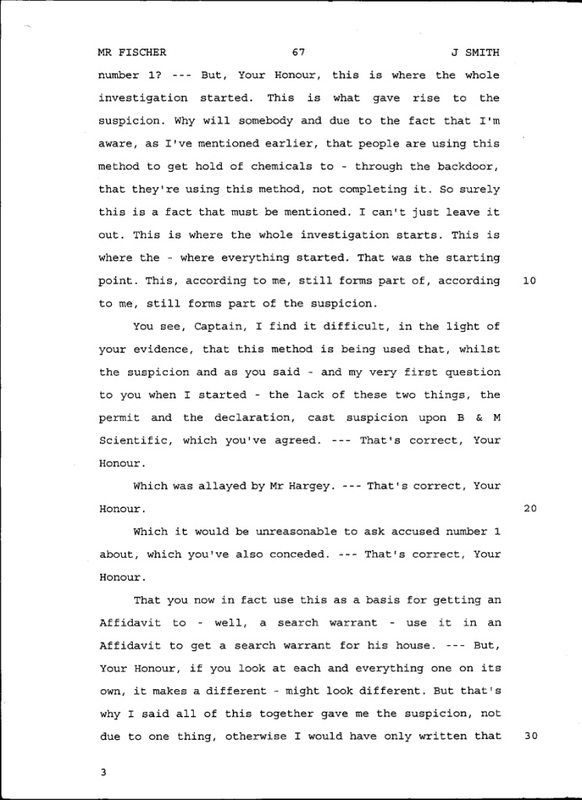 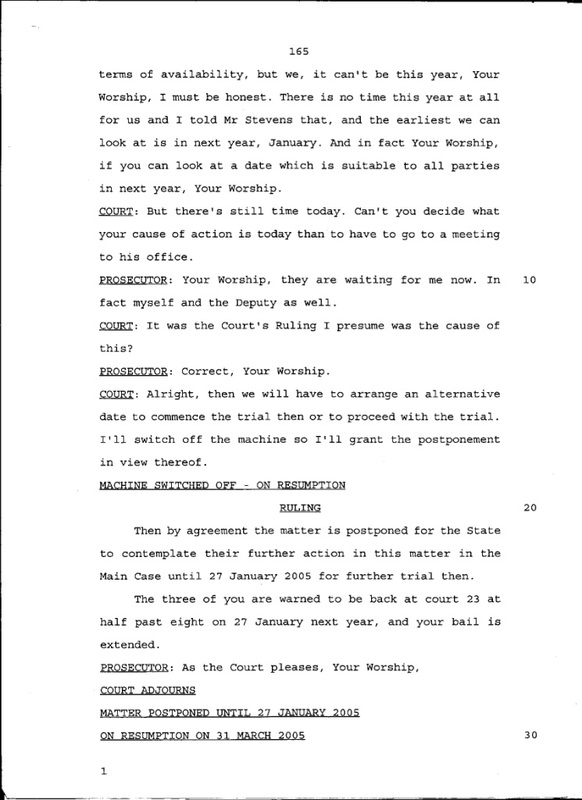 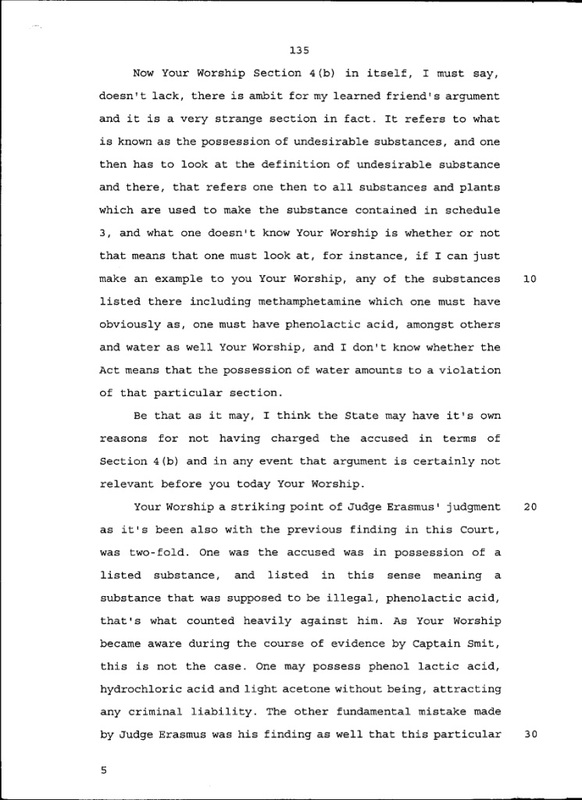 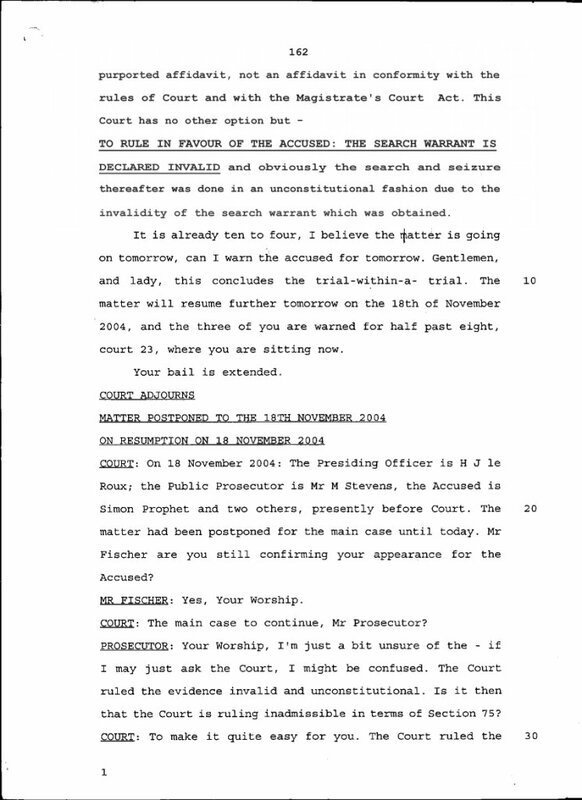 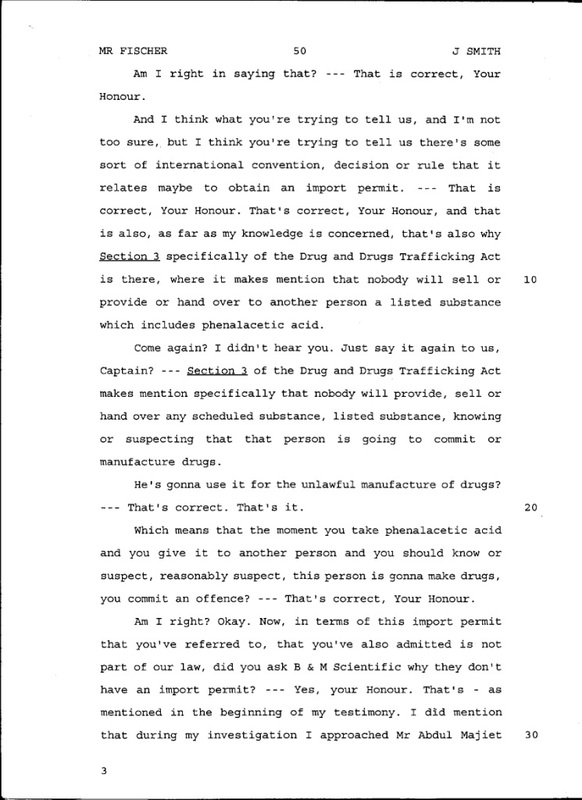 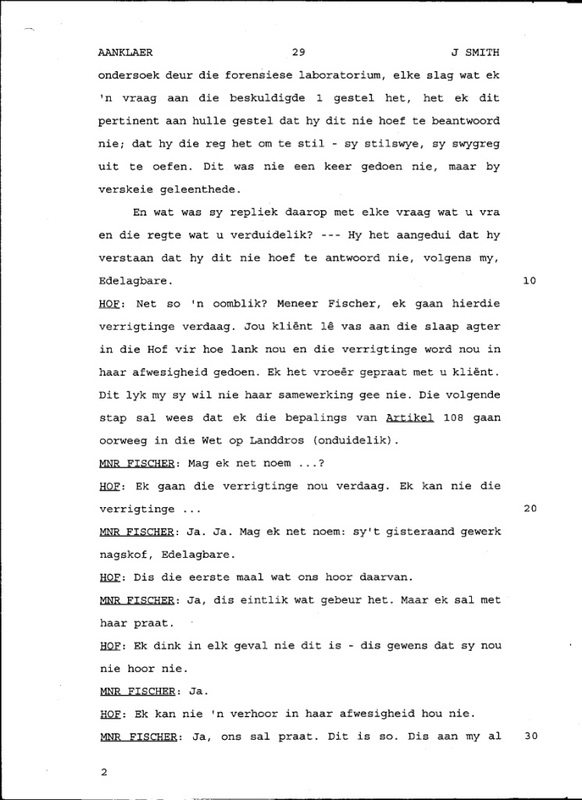 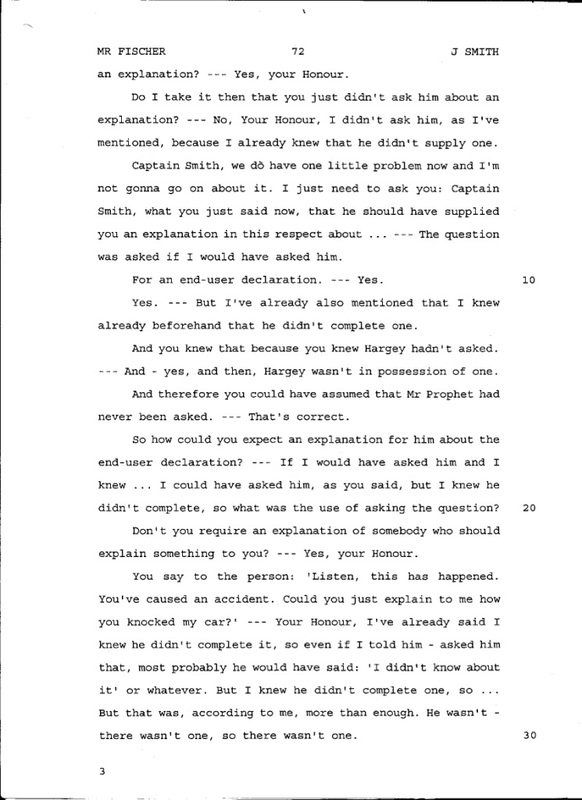 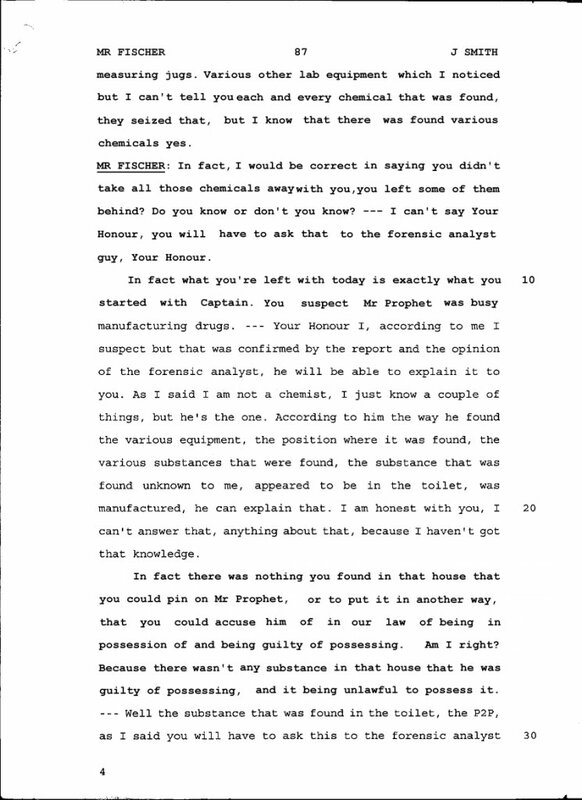 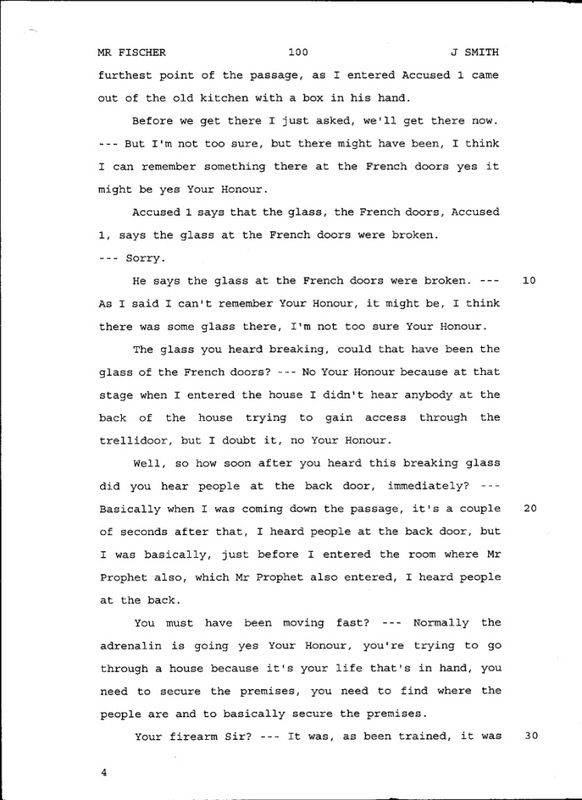 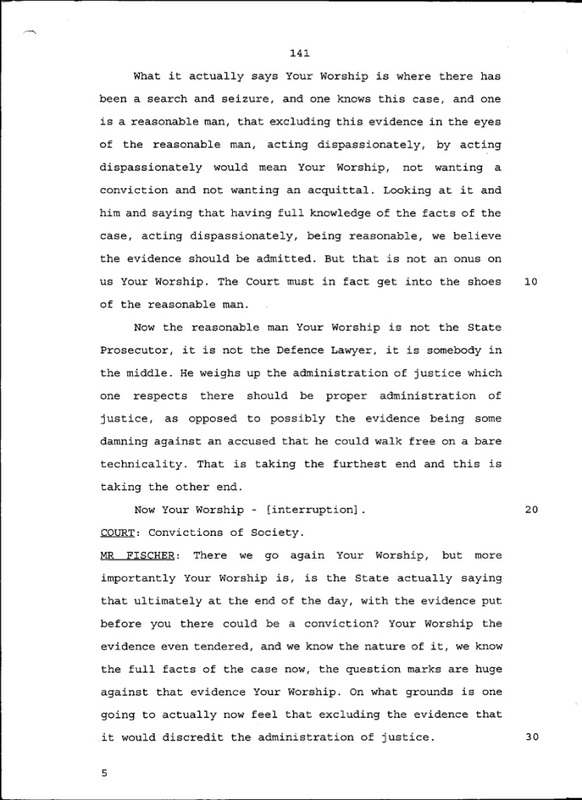 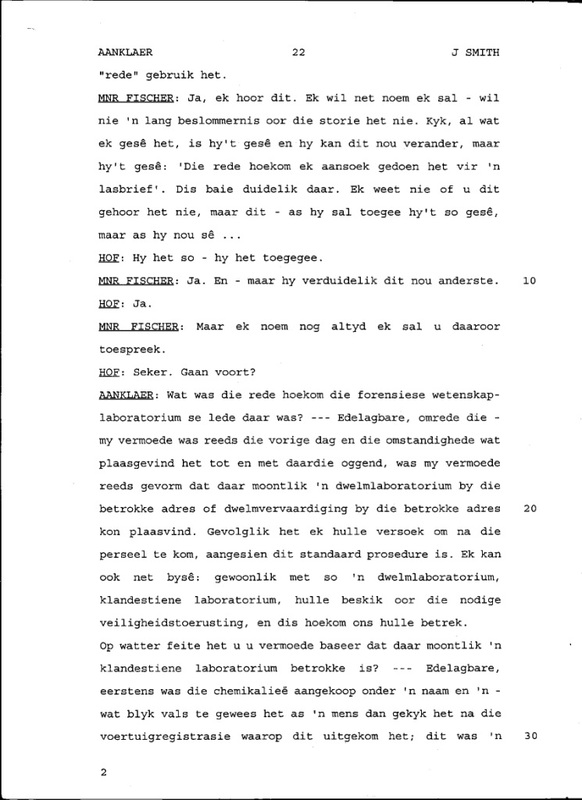 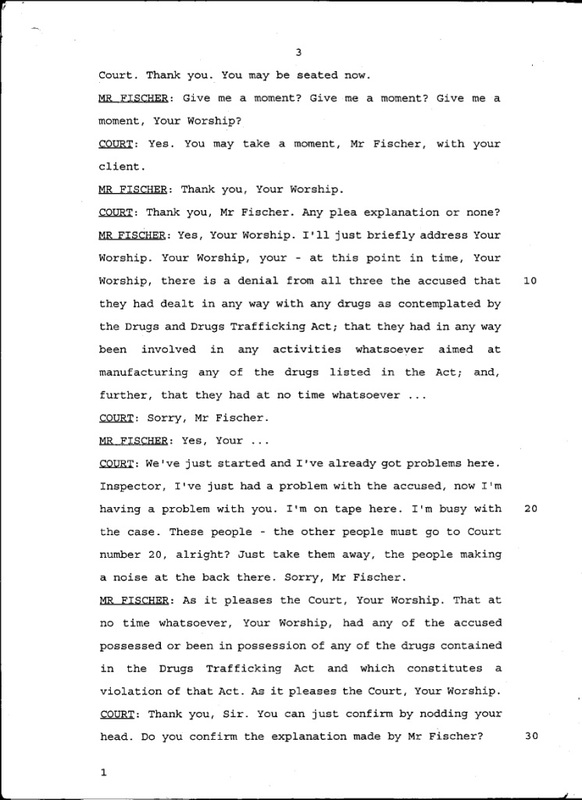 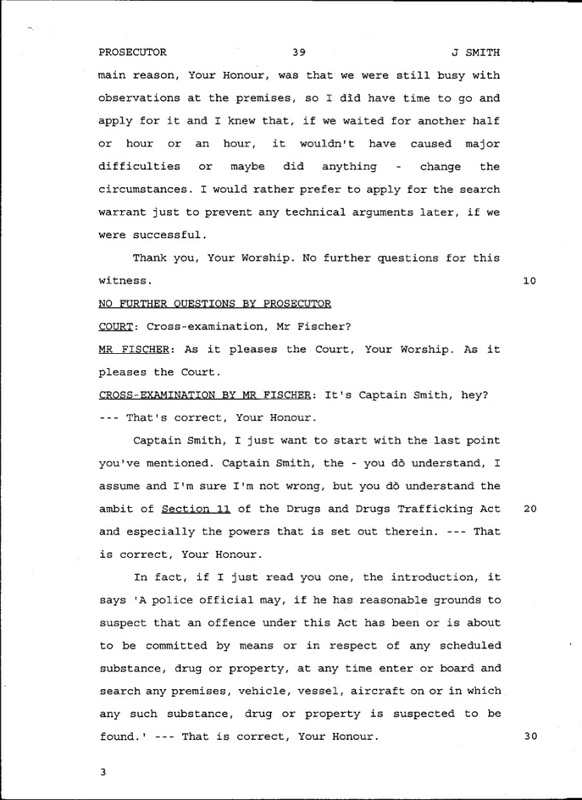 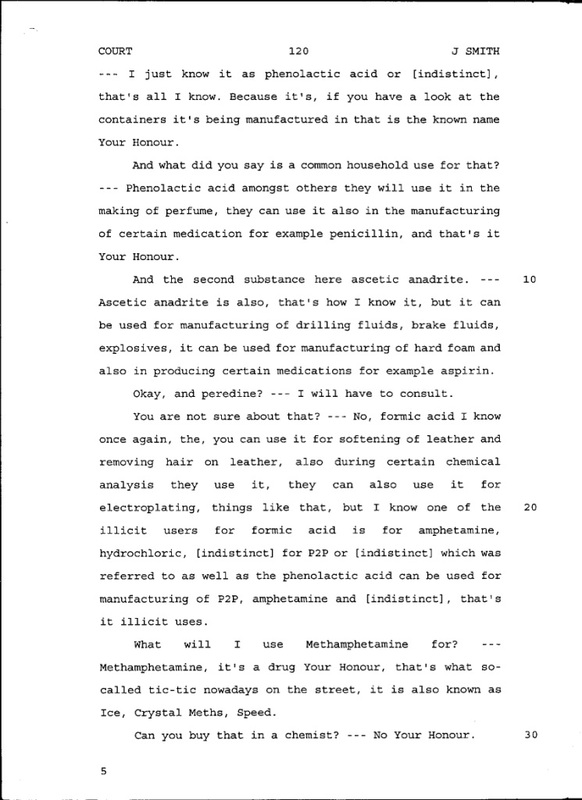 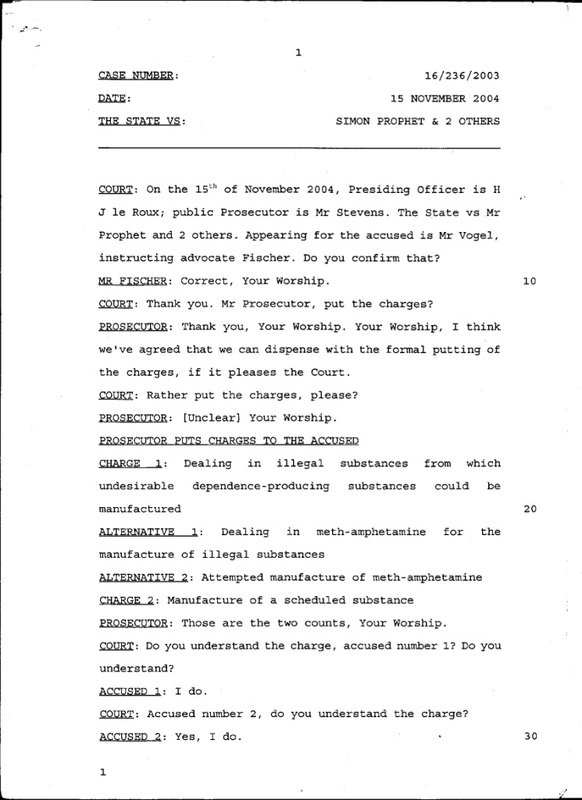 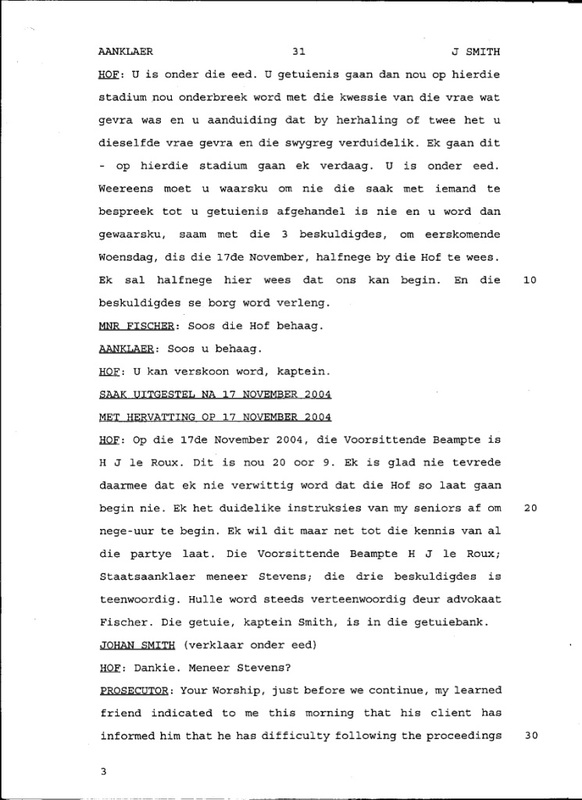 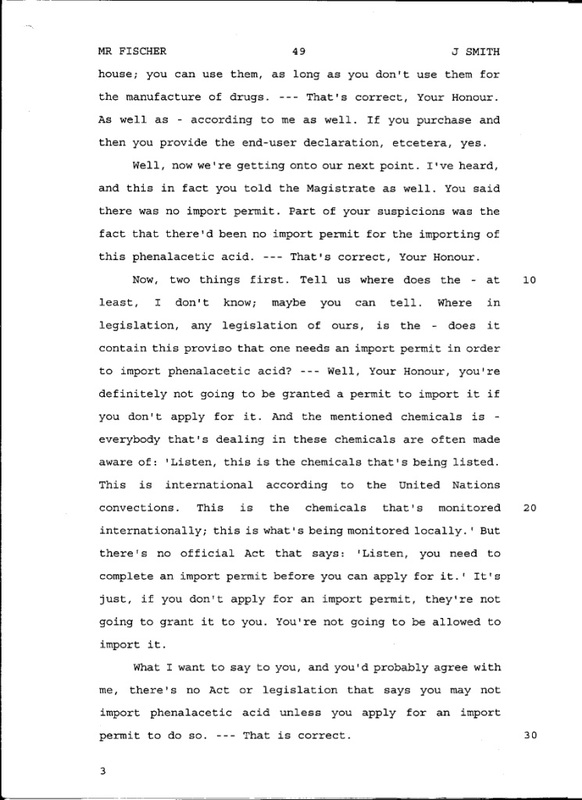 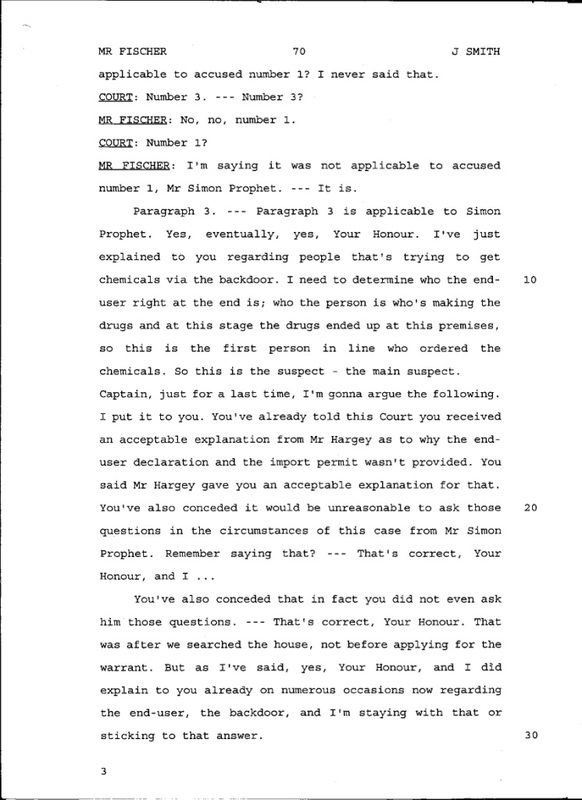 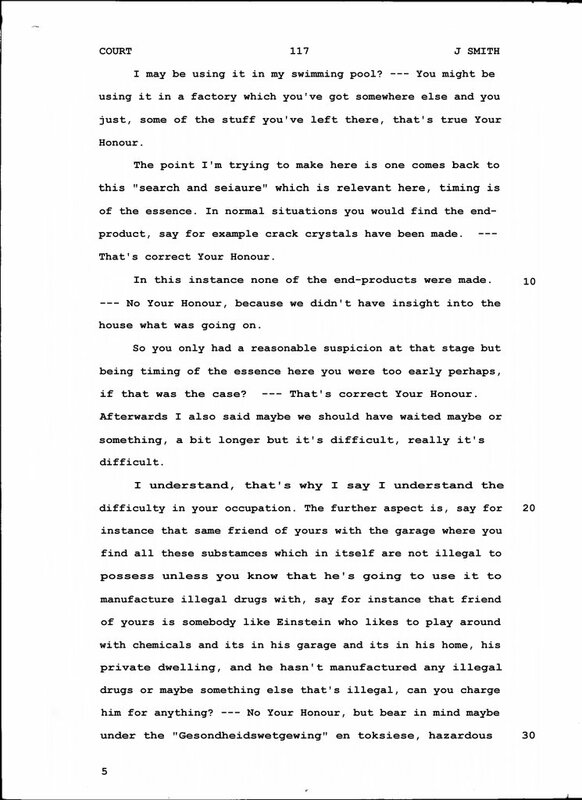 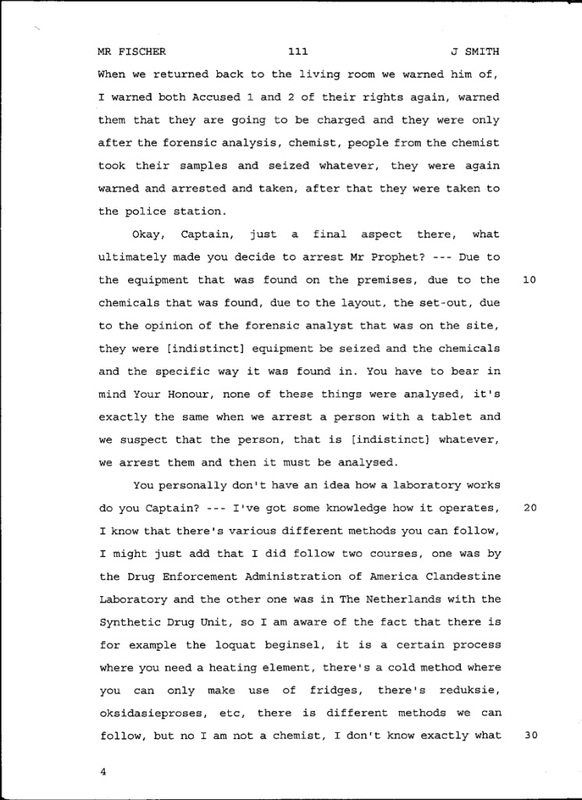 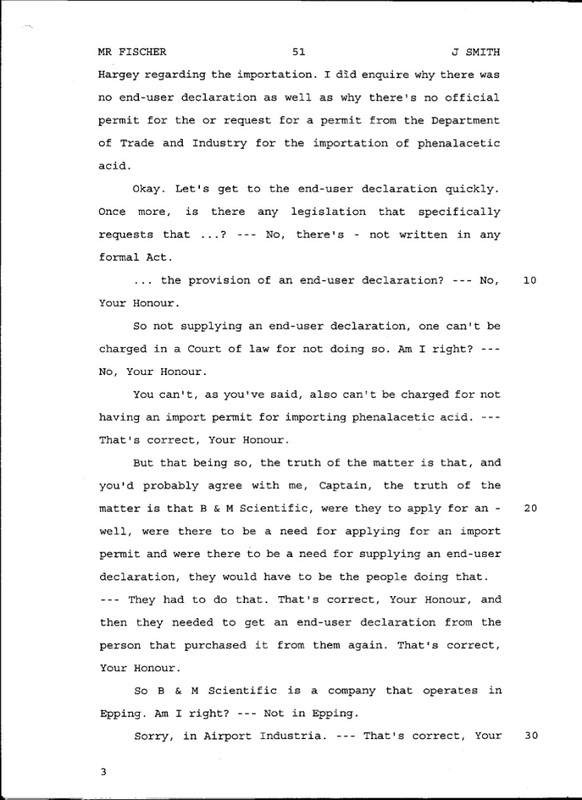 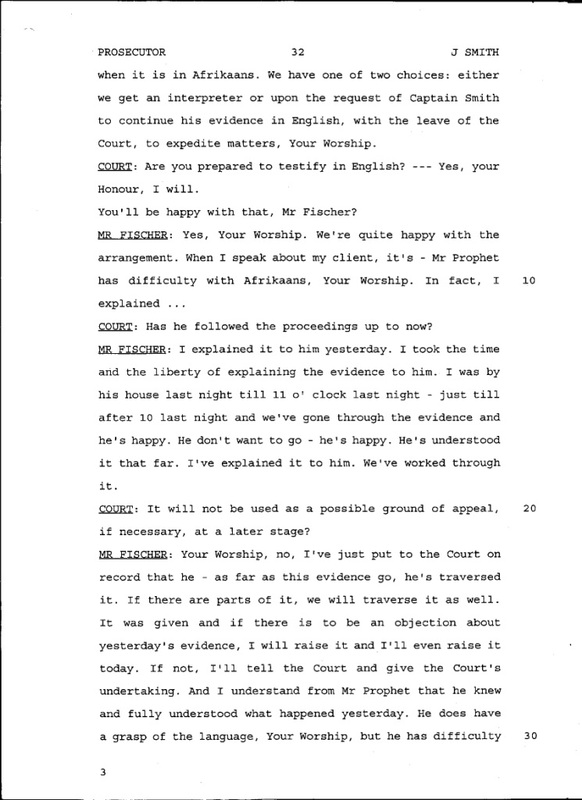 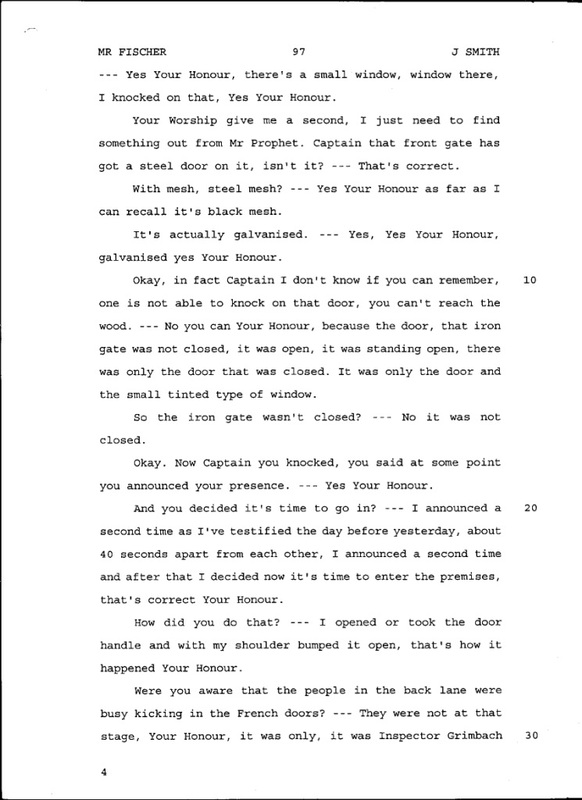 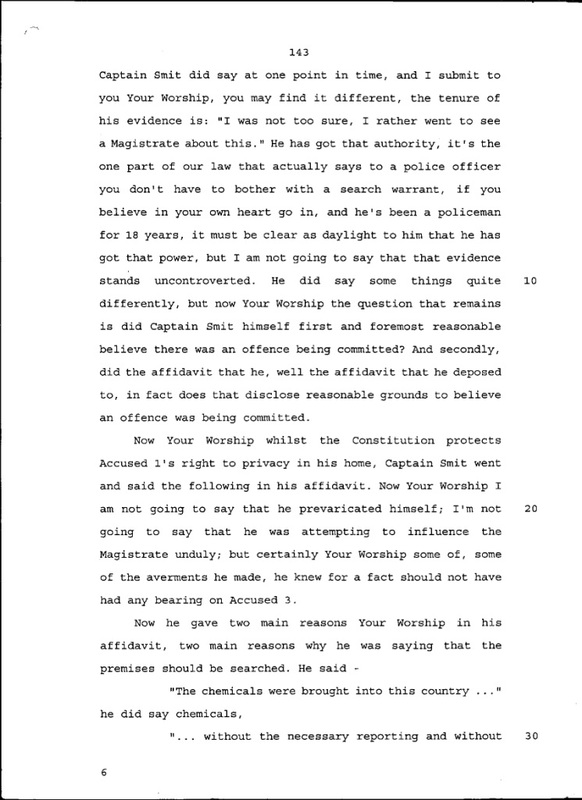 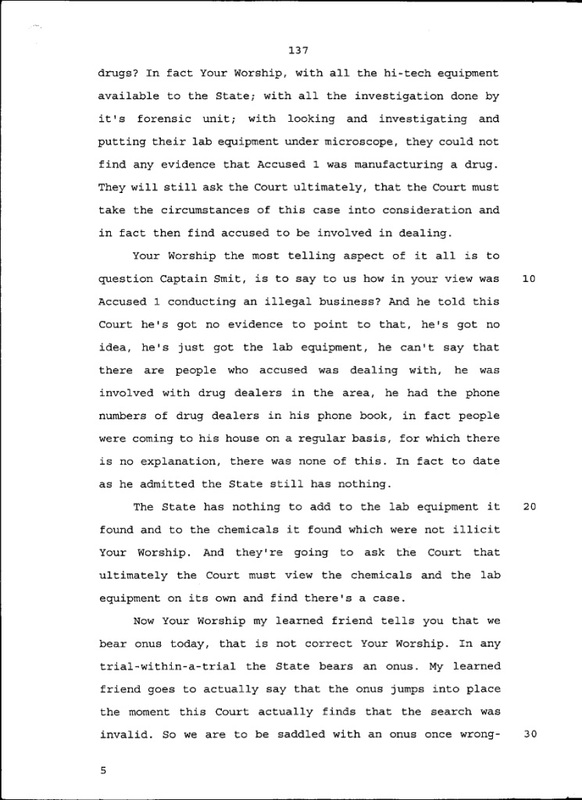 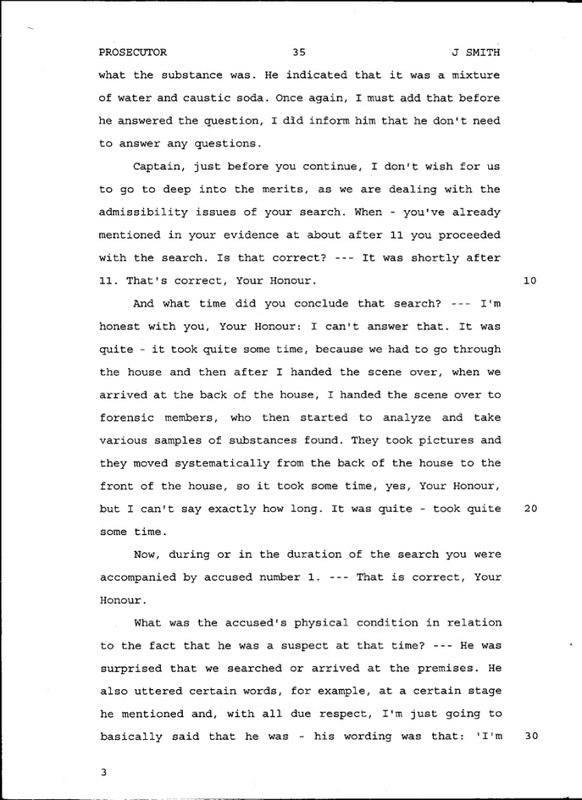 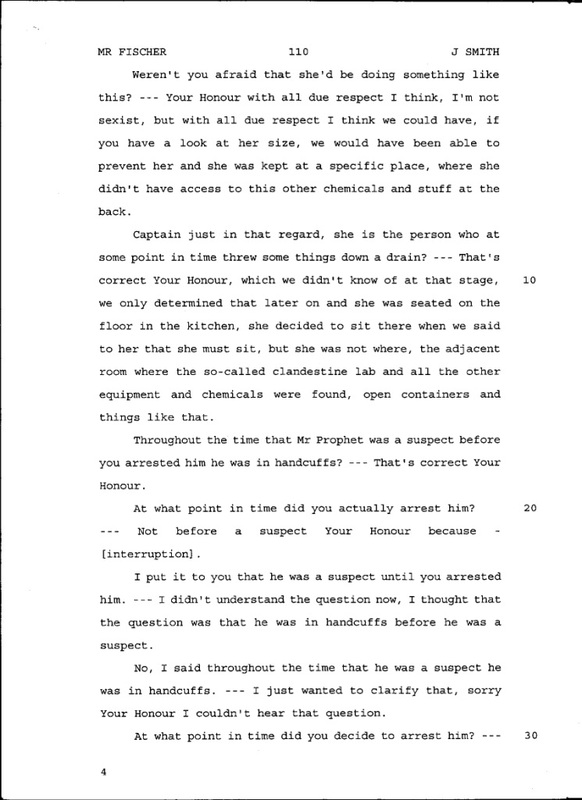 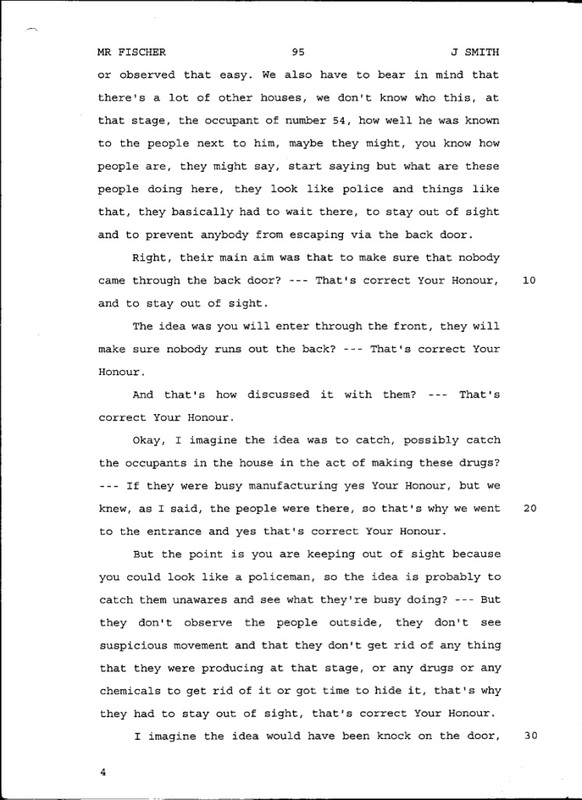 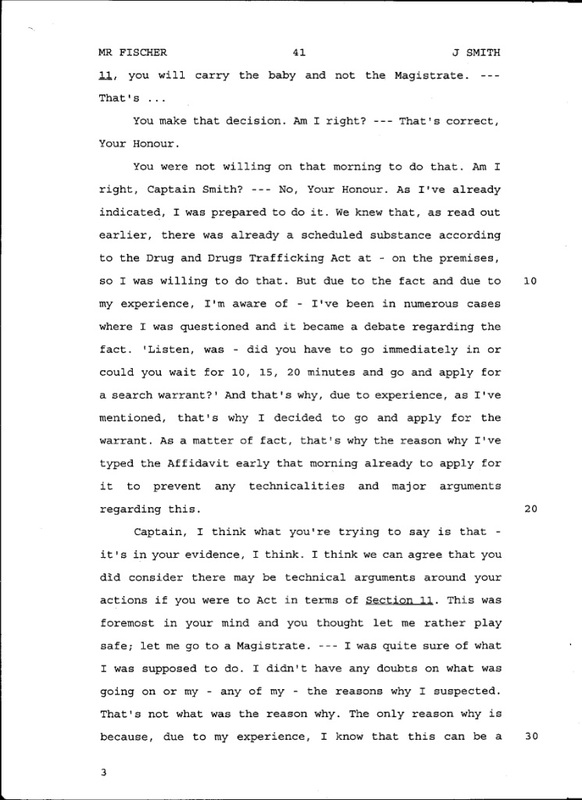 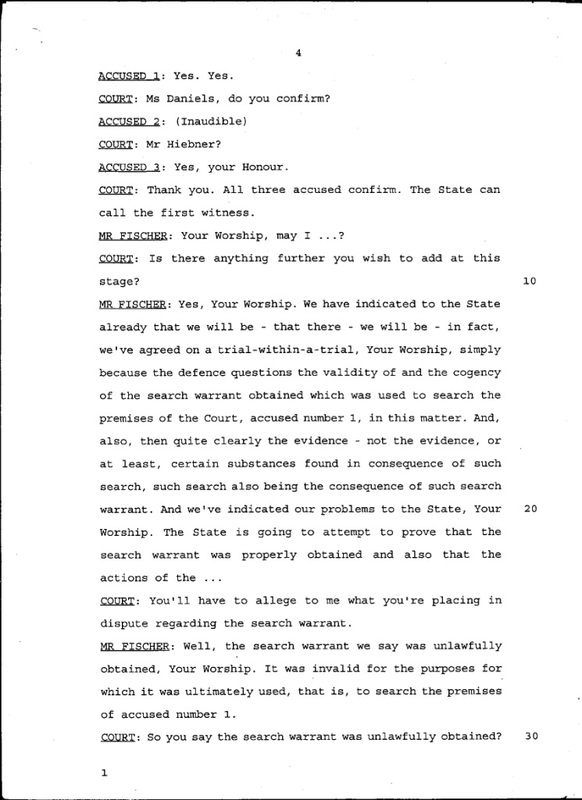 Look at the dates on the trial transcripts. 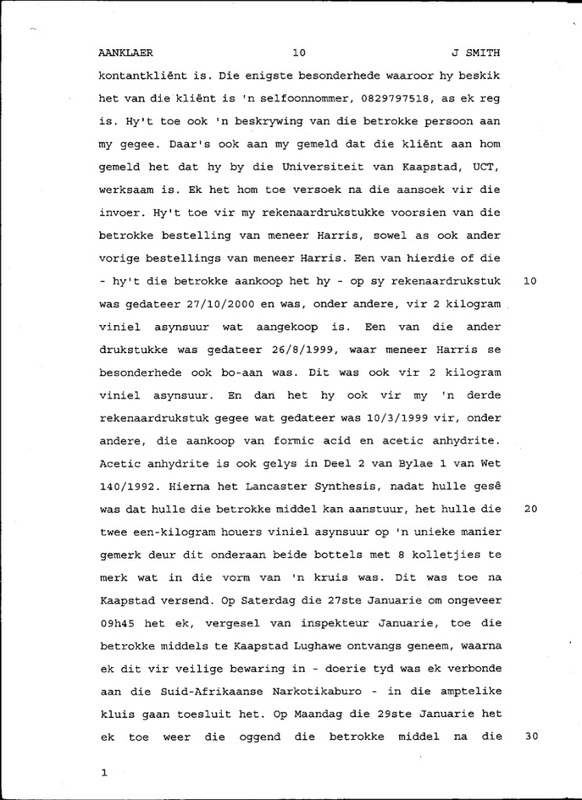 Erasmus colluded with the state to steal my home in 2003 during the first criminal trial and before the second criminal trial had had a chance to begin so at that time these documents did not exist. 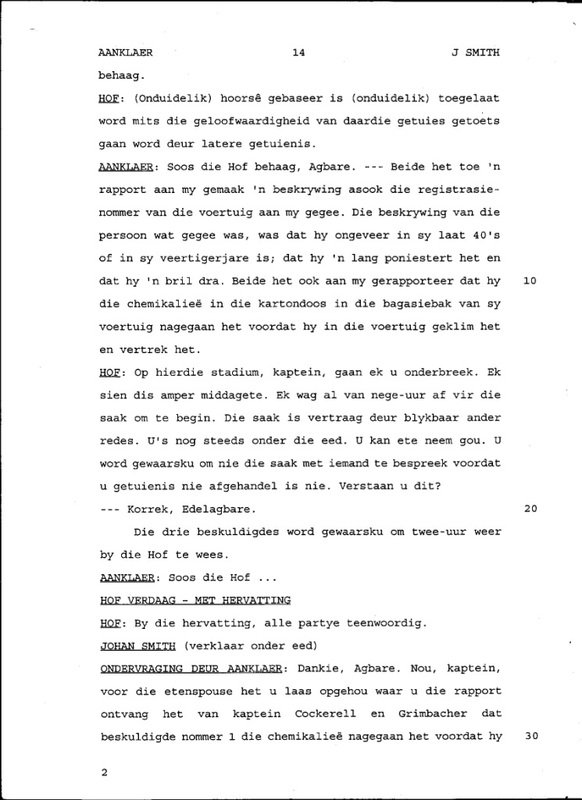 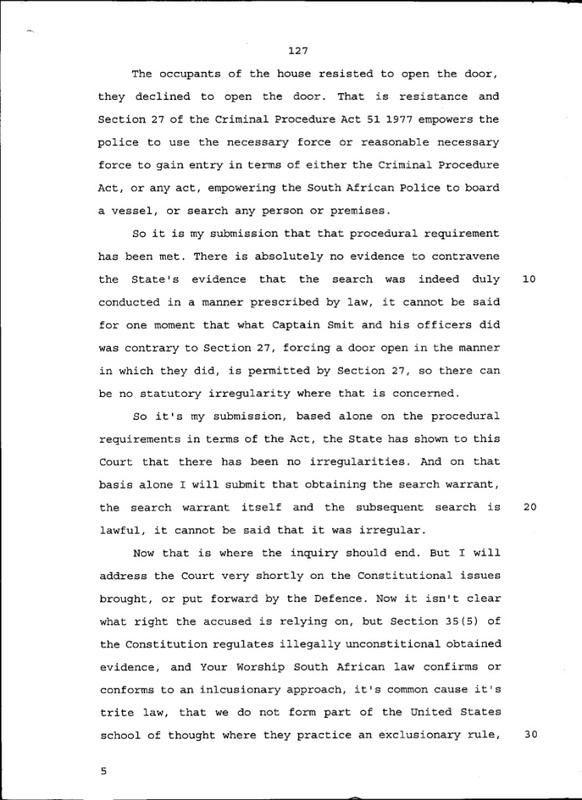 In violation of non derogable South African Constitutional laws and International laws, Judge Erasmus presumed my criminal guilt. 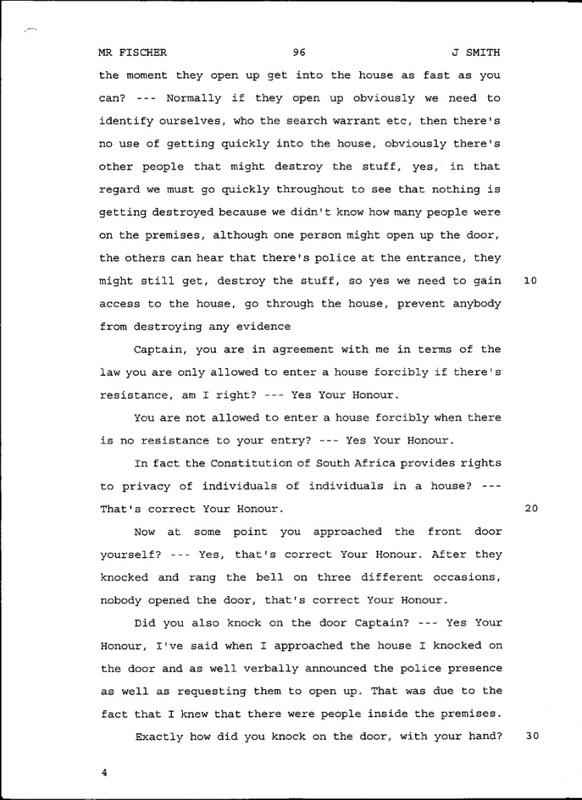 He trampled my dignity into the dirt and my home was stolen from me and in violation of Constitutional law, the Constitutional Court also participated in these same violations by allowing the wrong judgment to continue to happen. 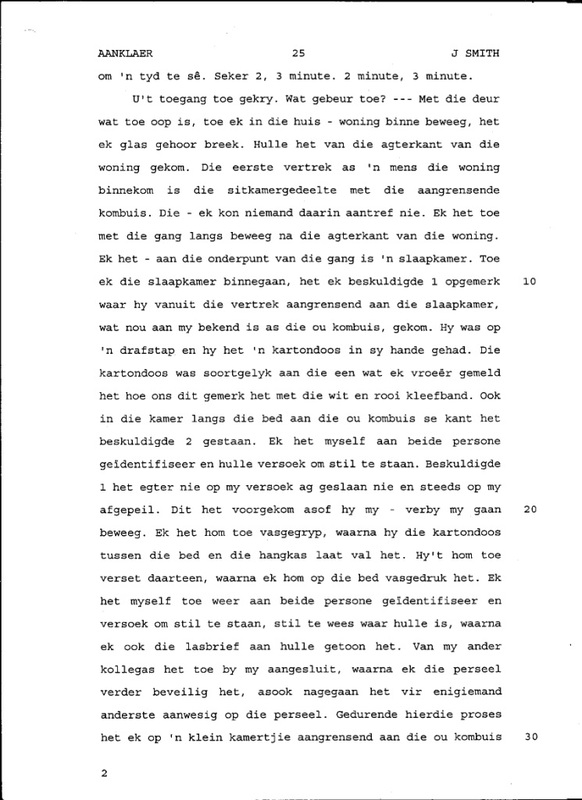 I have been mutilated and maligned by a South African justice system gone horribly askew. 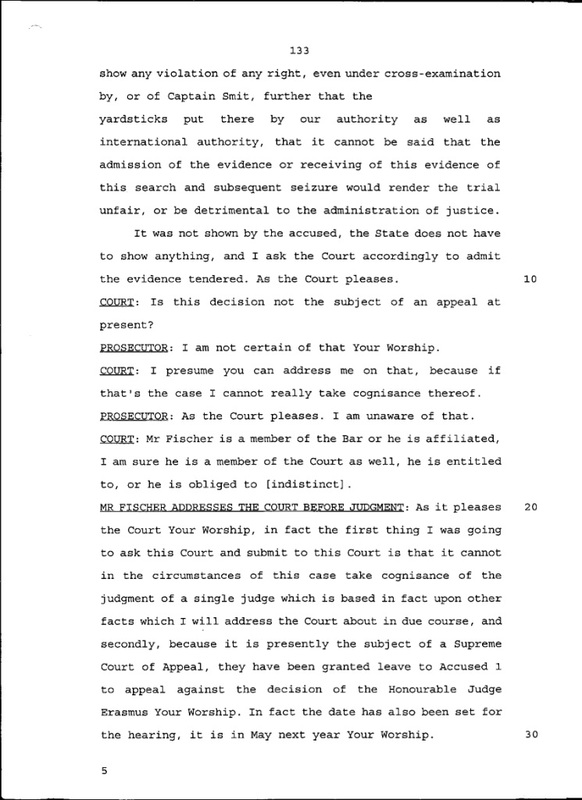 Such a conspiracy involving so many judges is tantamount to acts of legal treason. 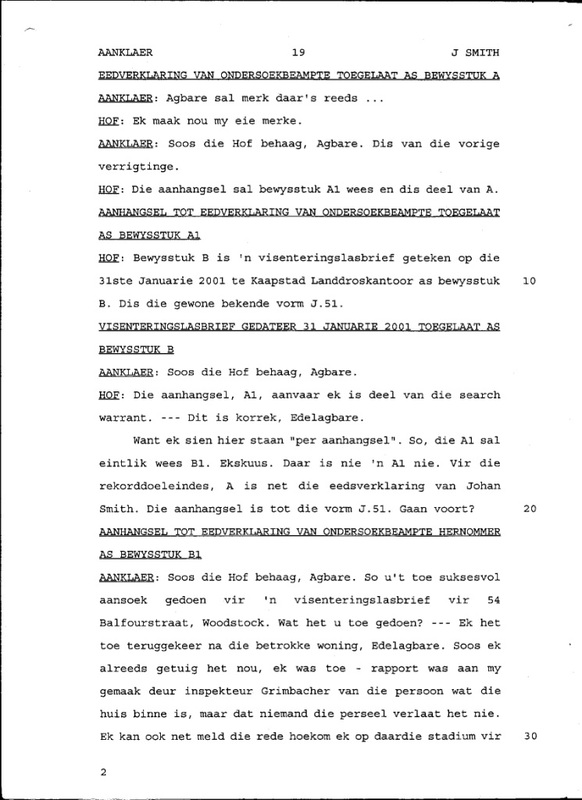 This below is presented to put straight all the lies published by Media 24 and to put straight the lies coming from state advocates and civil court judges. 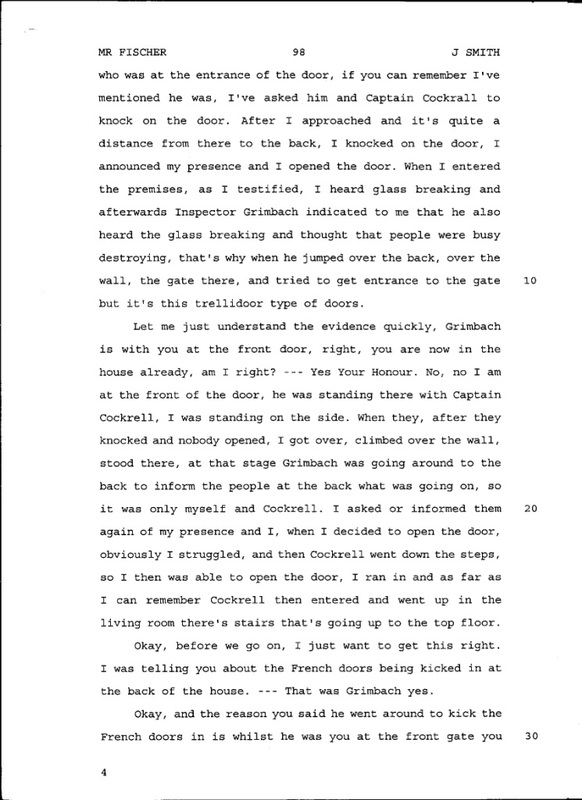 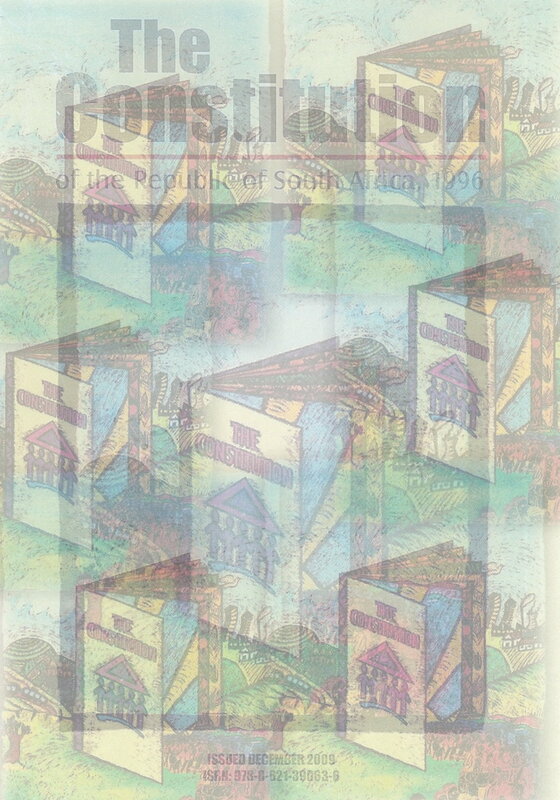 (The numbered pages below are from page number 1 to page number 181 and are presented here as jpg images. 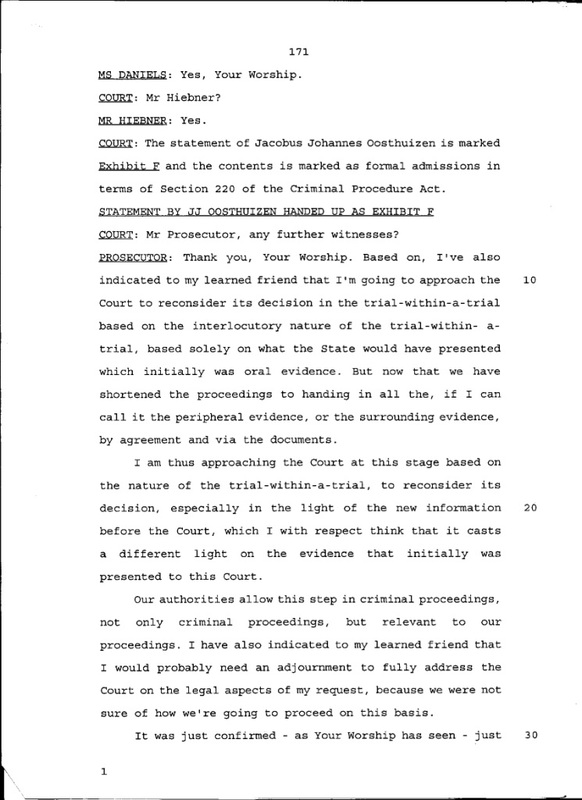 The transcripts of the third trial reveal my innocence and I have no criminal record. 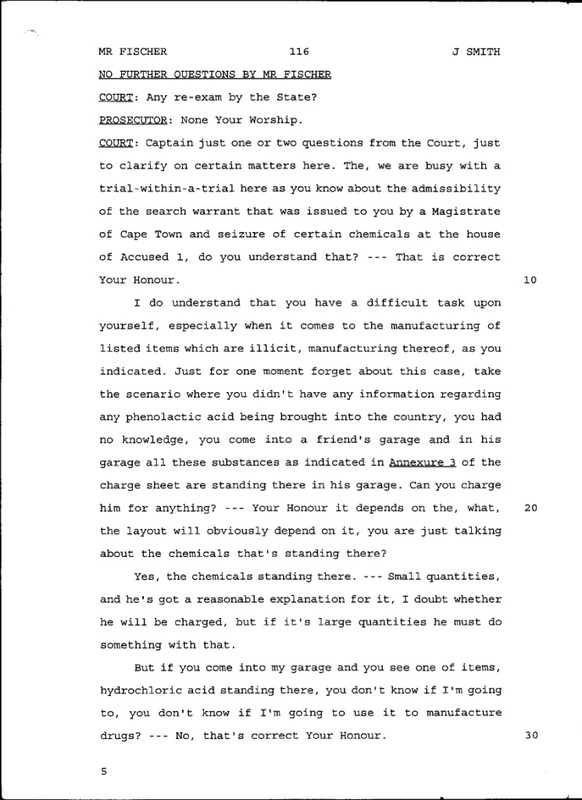 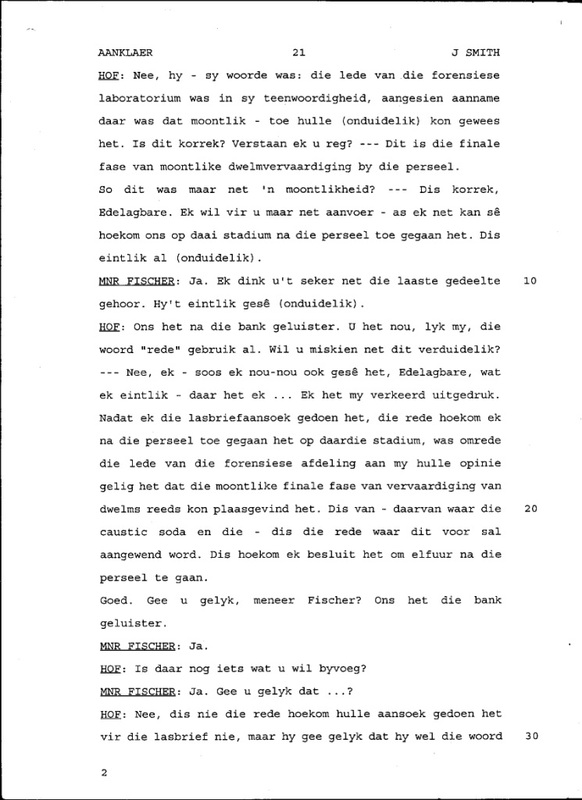 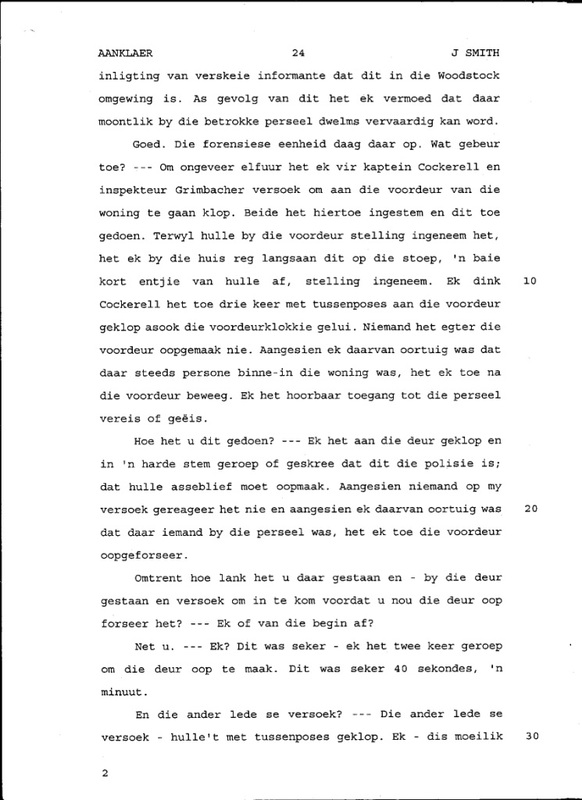 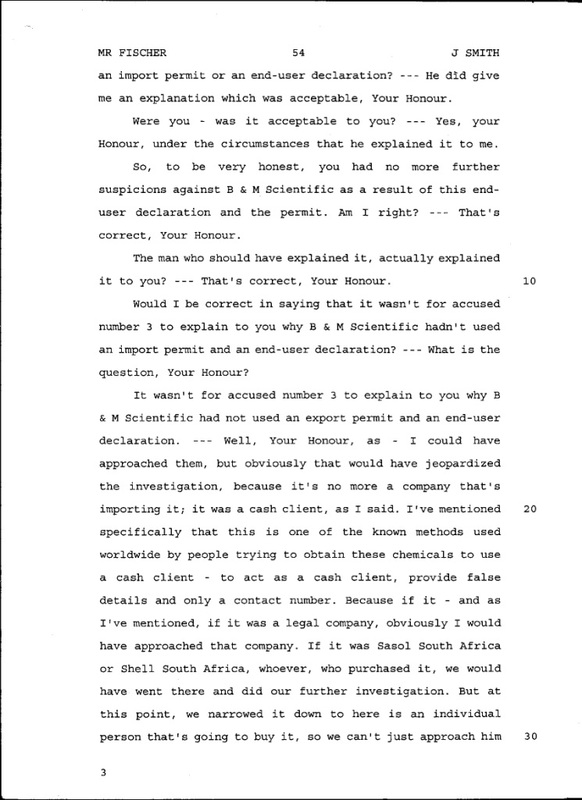 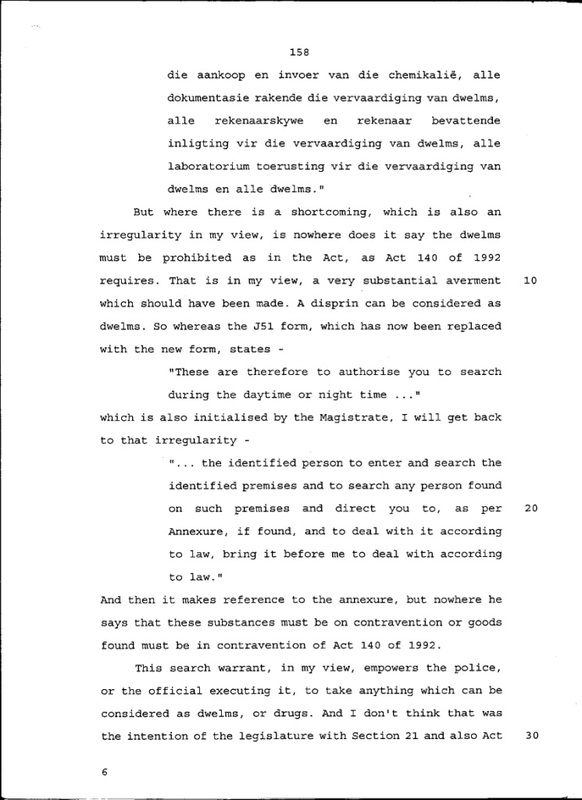 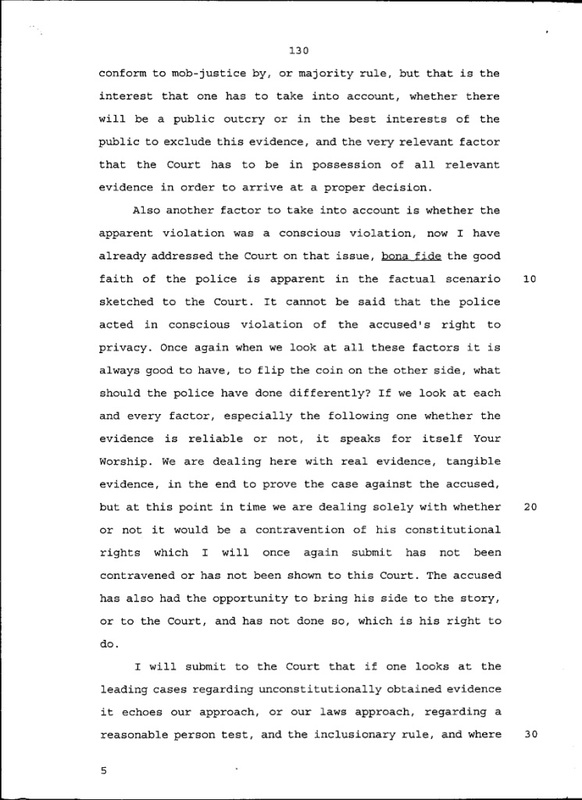 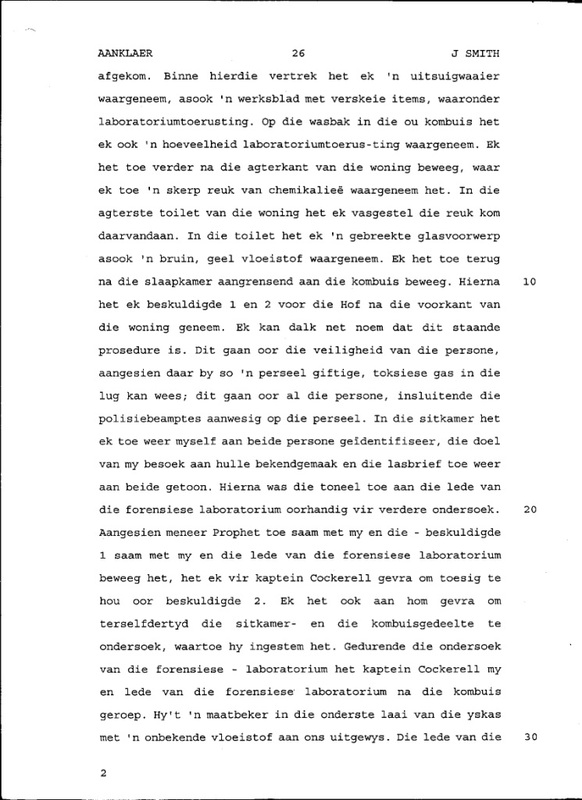 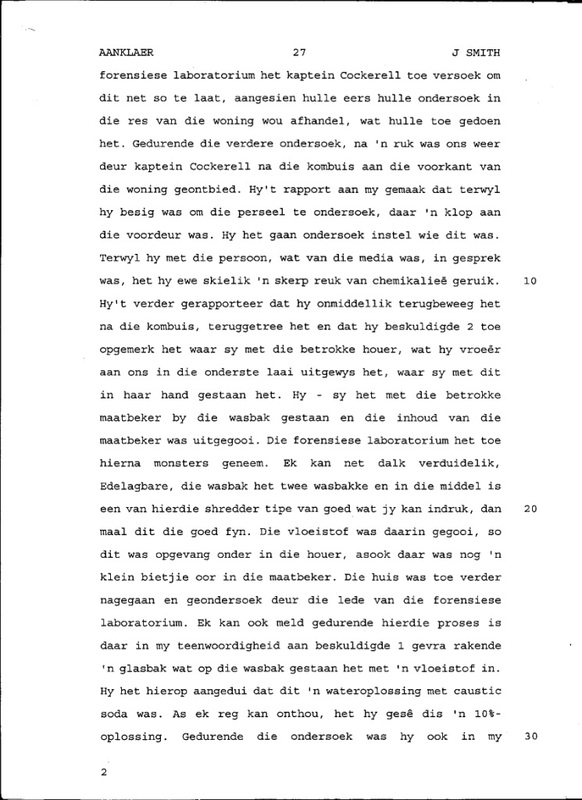 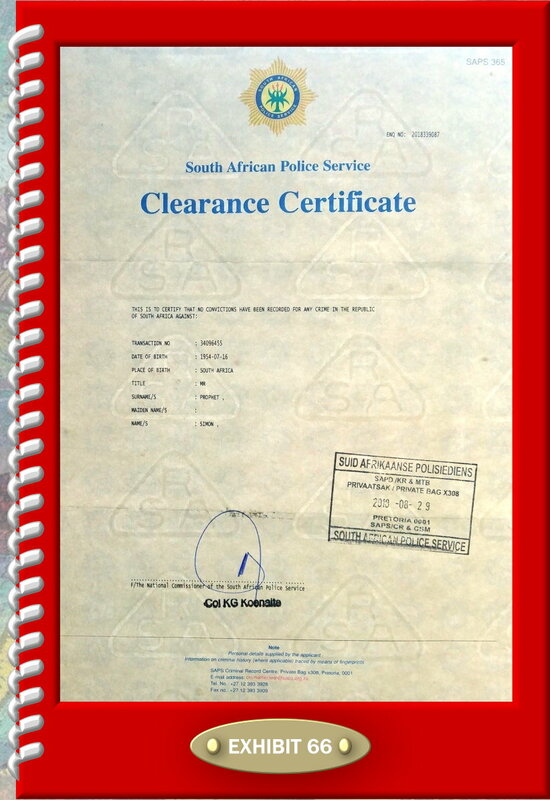 The South African government may loathe the idea of me being a criminal suspect but that does not entitle the courts of South Africa to appease the government and, on grounds of suspicion, to punish me by depriving me of my dignity, my home, my business, my cars, my personal possessions and throwing me into the street with nothing but the clothes on my back. Obviously something is seriously rotten and I am not going to lie down and leave it.